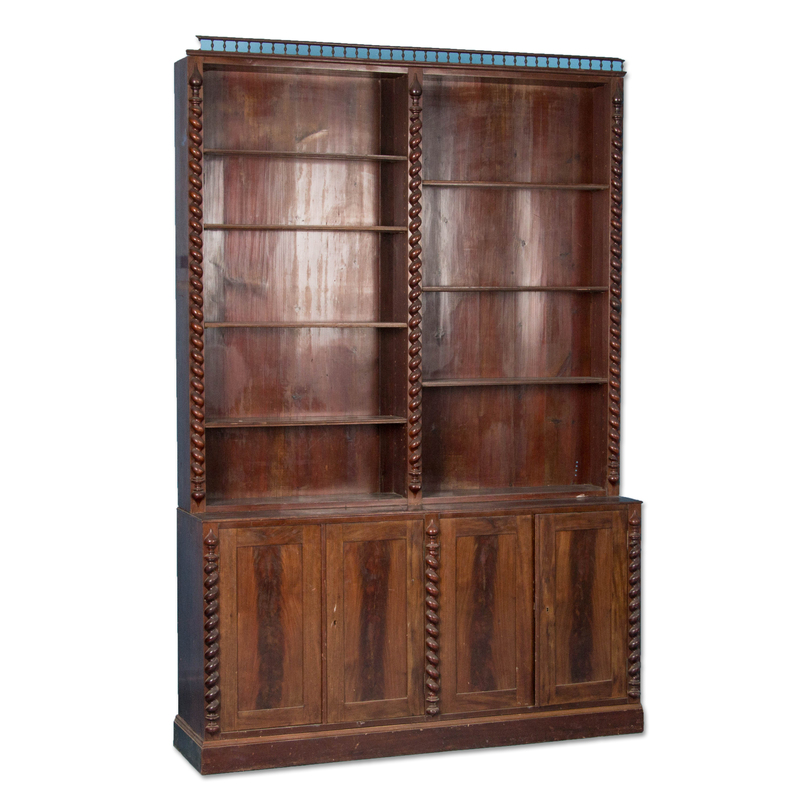 Antique American walnut bookcase with 4 glass doors and adjustable shelves, circa 1860 to 1880. 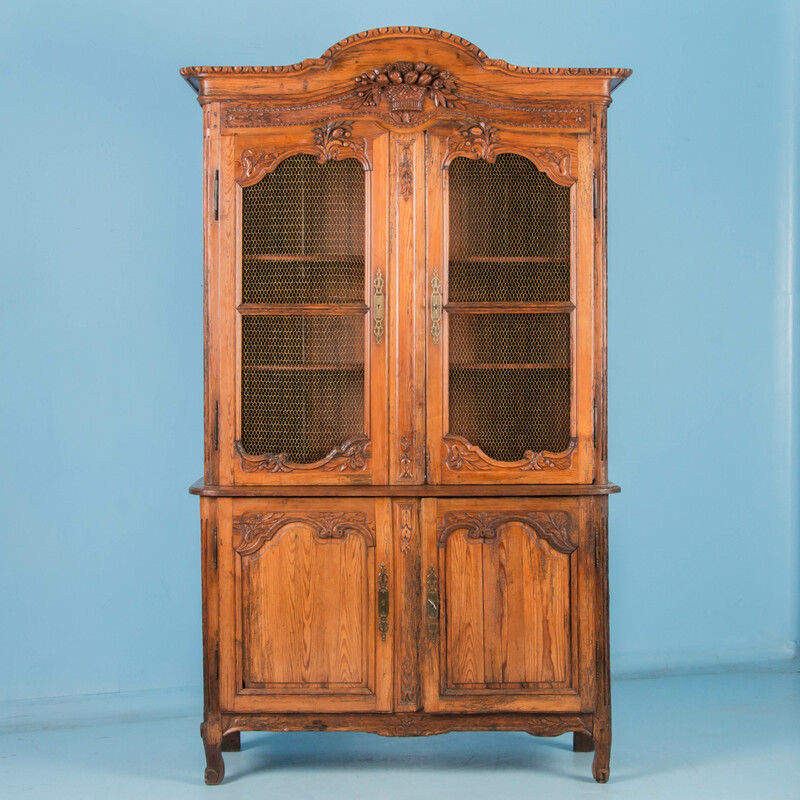 Antique carved pine 2 piece provencial bookcase cabinet from France, circa 1790-1810, with a pair of glass doors on top and a pair of cupboard doors below. 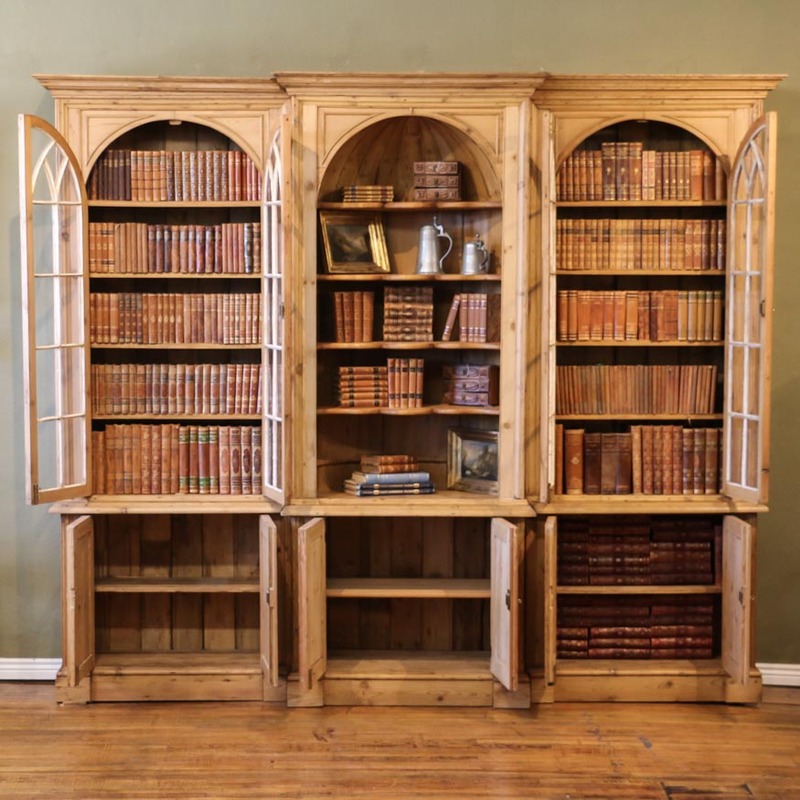 Glass front bookcase made in two parts. 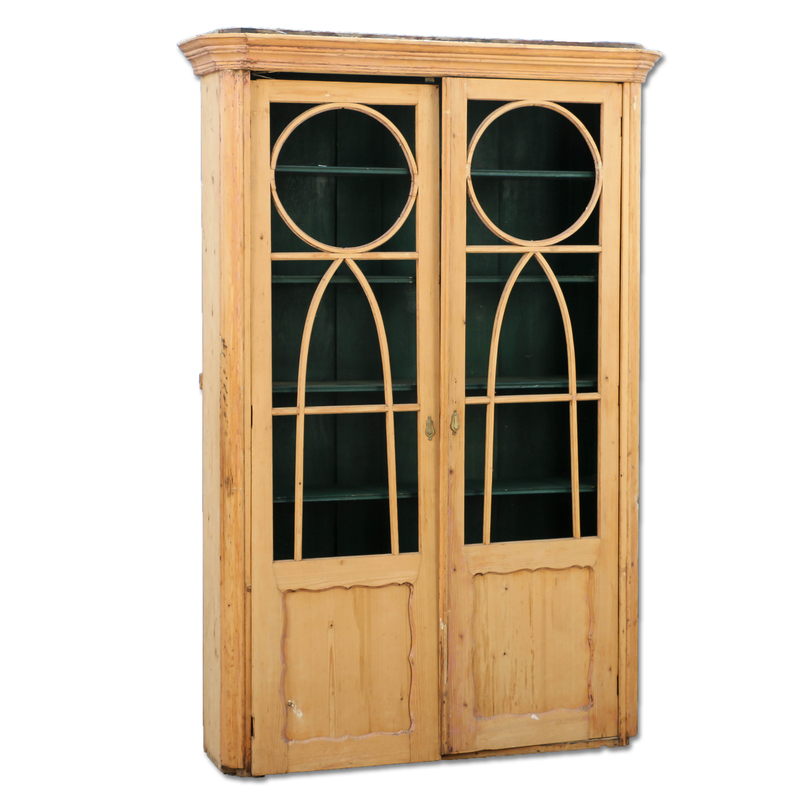 The upper and lower sections feature a pair of barley twist columns on either side of two glass doors above, and cupboard doors below. 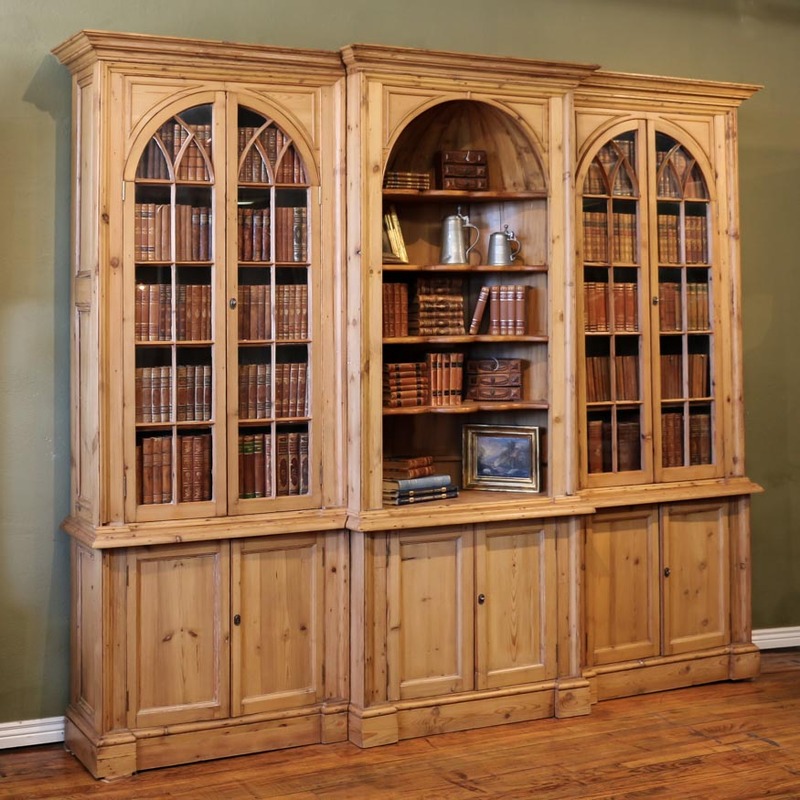 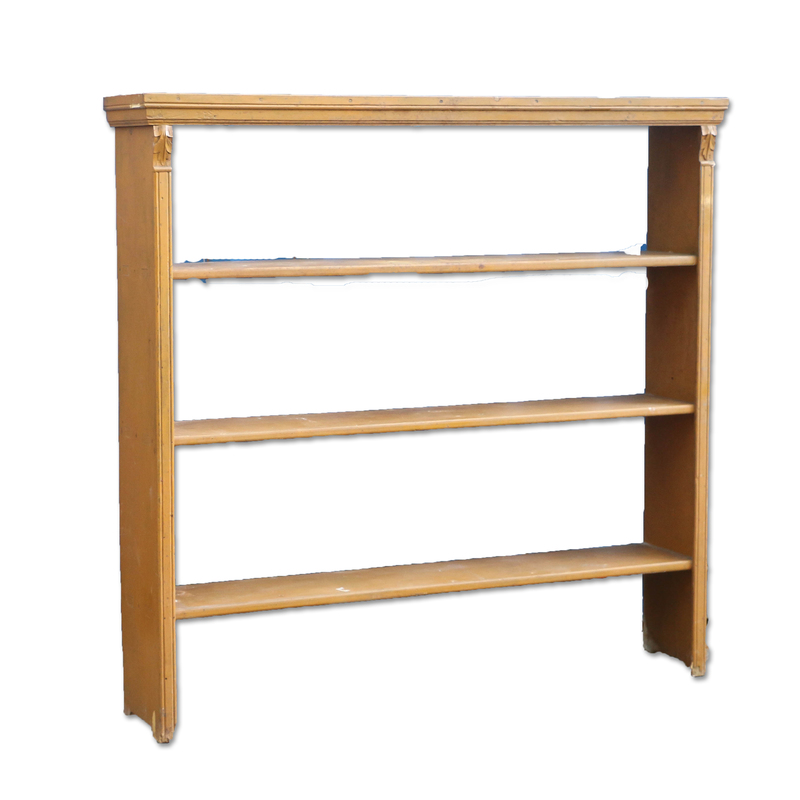 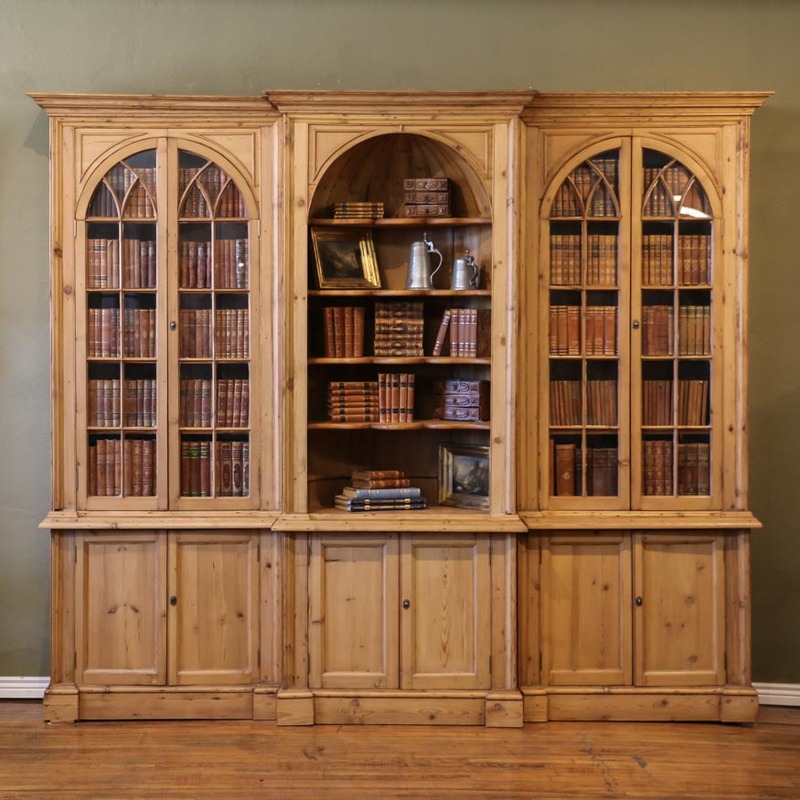 Antique glass front bookcase with adjustable shelves featuring a heavily molded crown supported by two large barley twist columns. 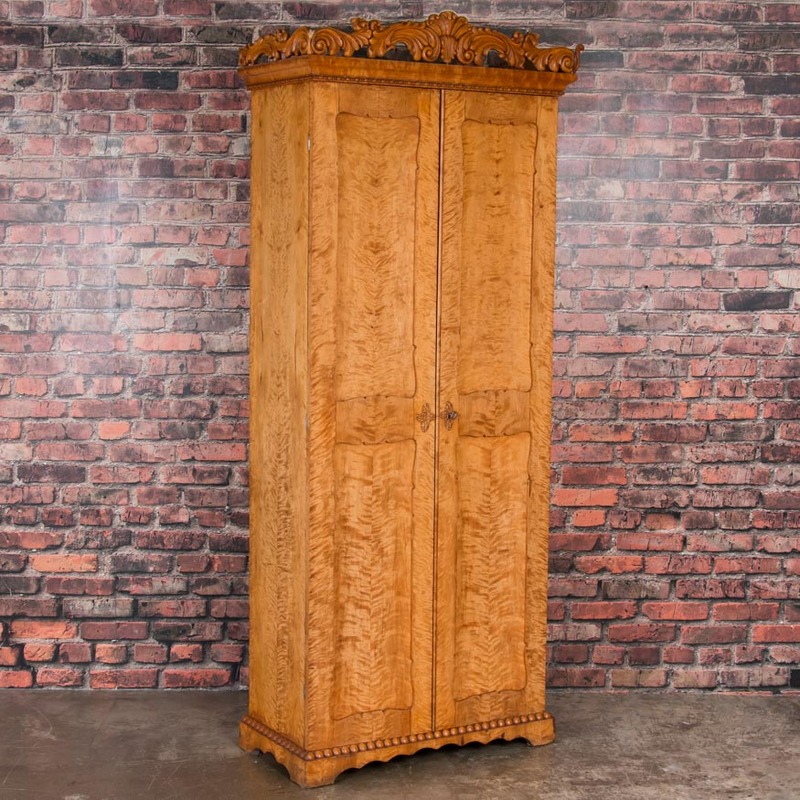 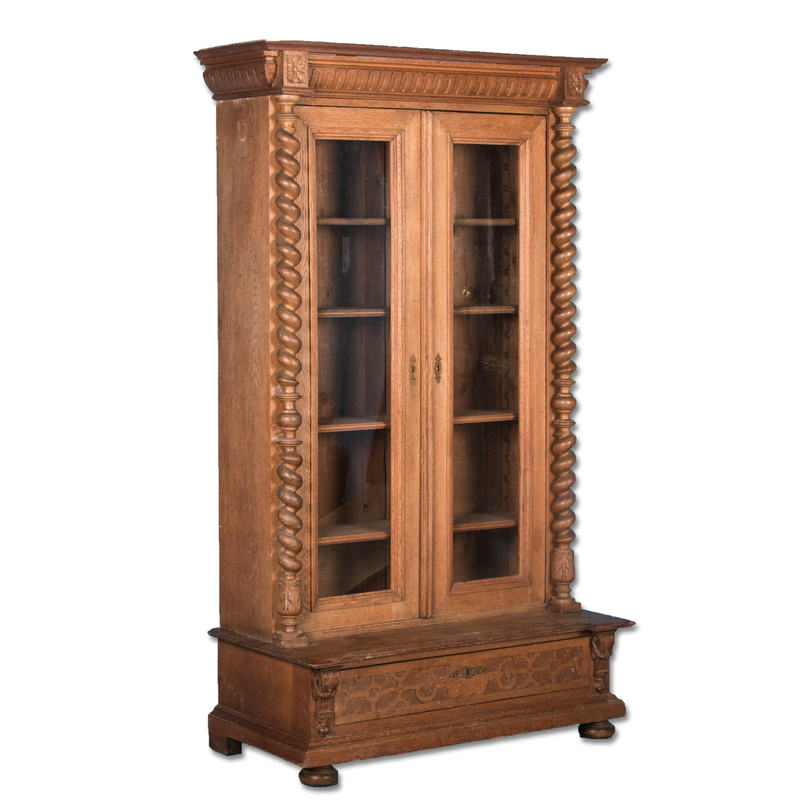 Fantastic oak Renaissance Revival bookcase heavily carved with 2 glass doors and adjustable shelves, circa 1880 from Germany. 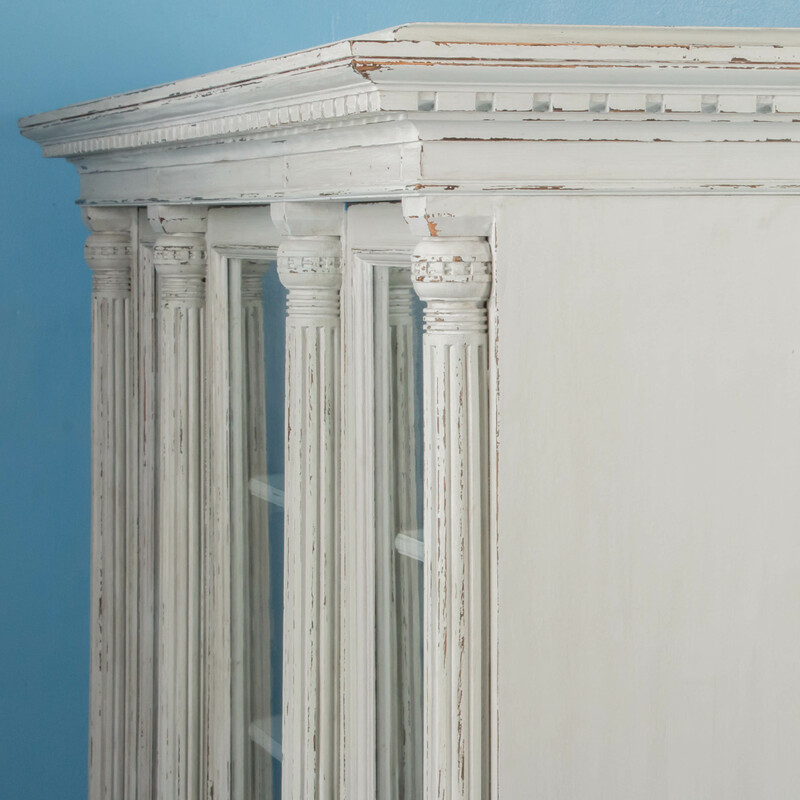 This piece breaks down which makes moving or shipping much easier. 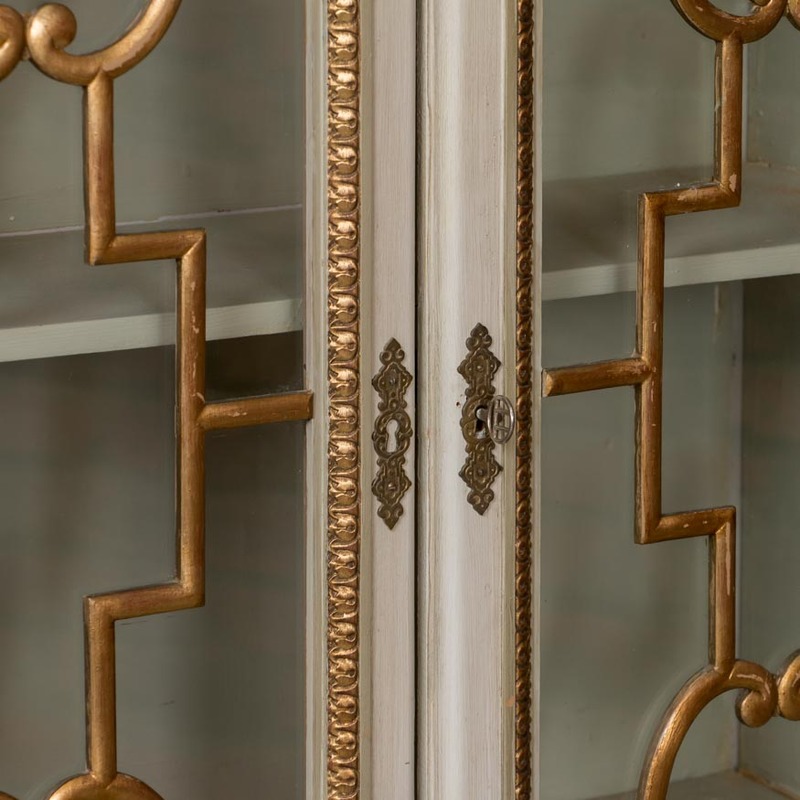 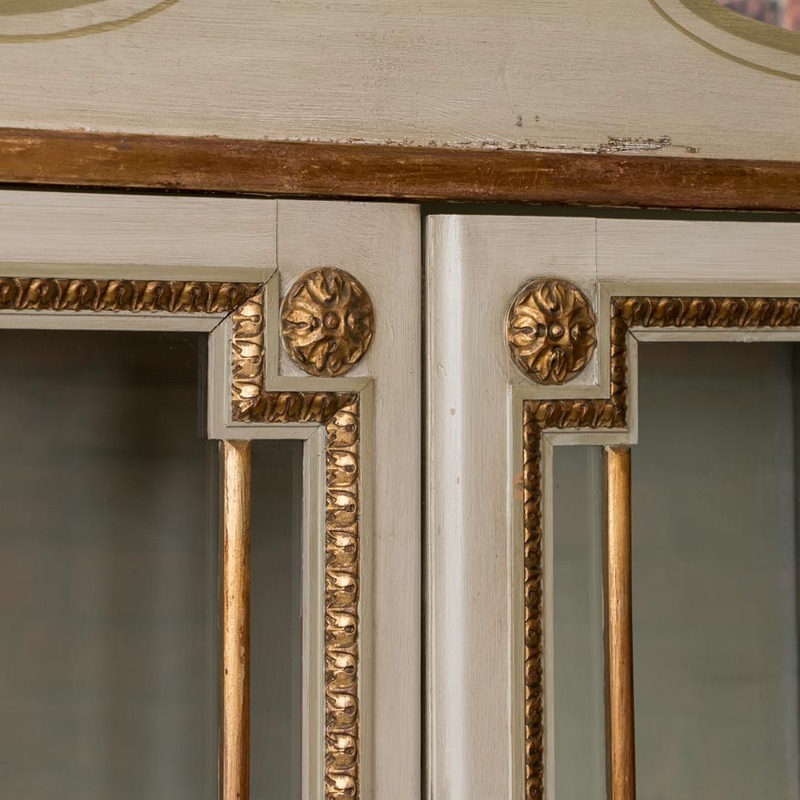 Dramatic and tall, this Louis XV French Buffet Deux Corps will make a grand statement. 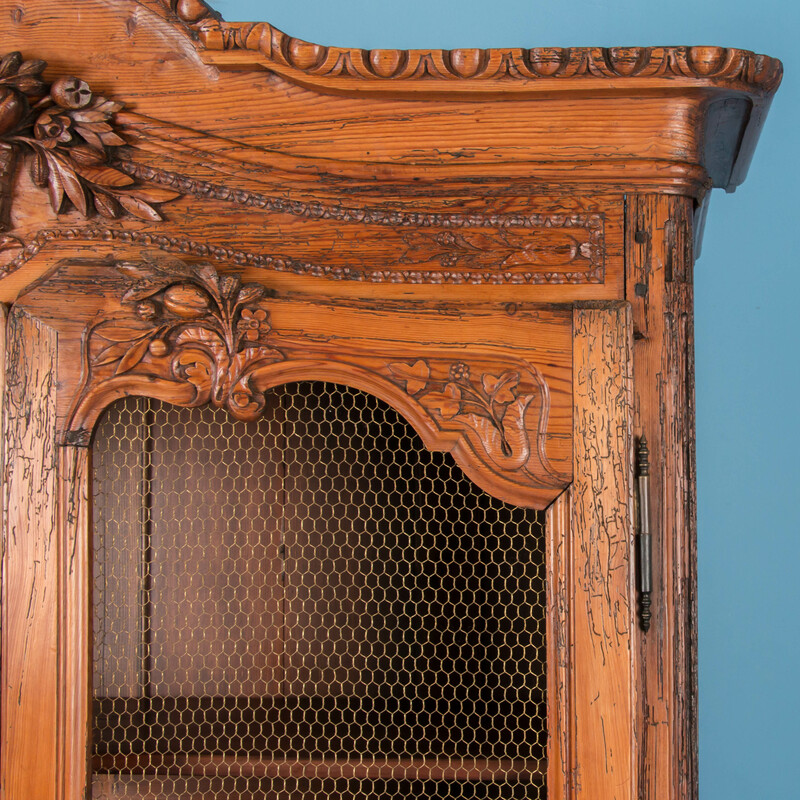 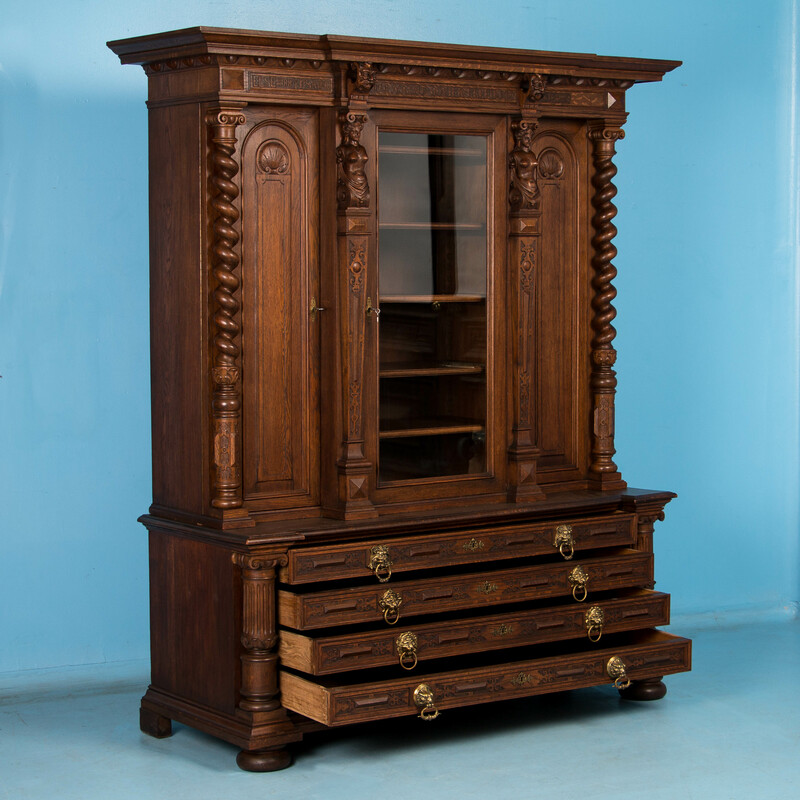 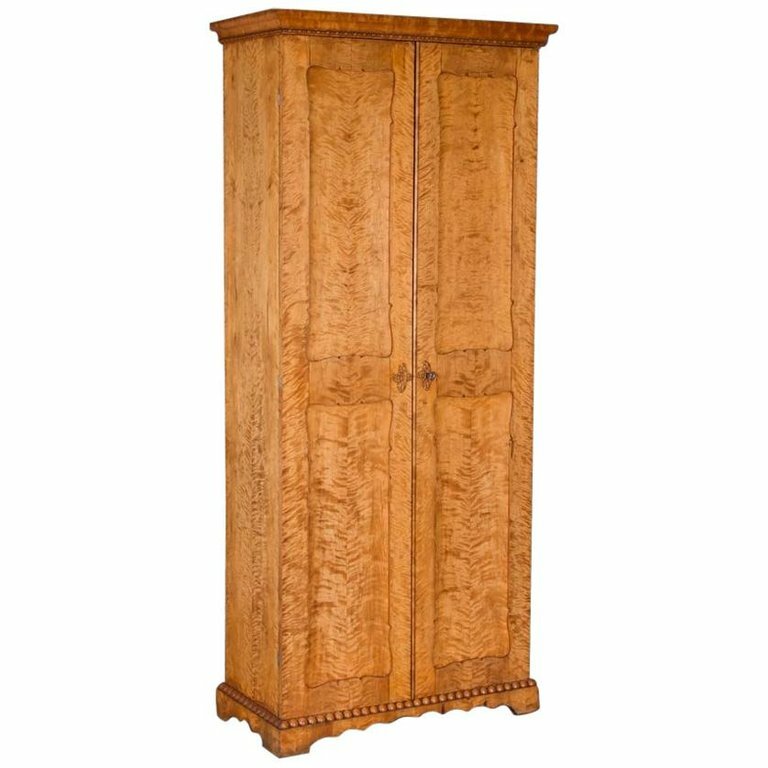 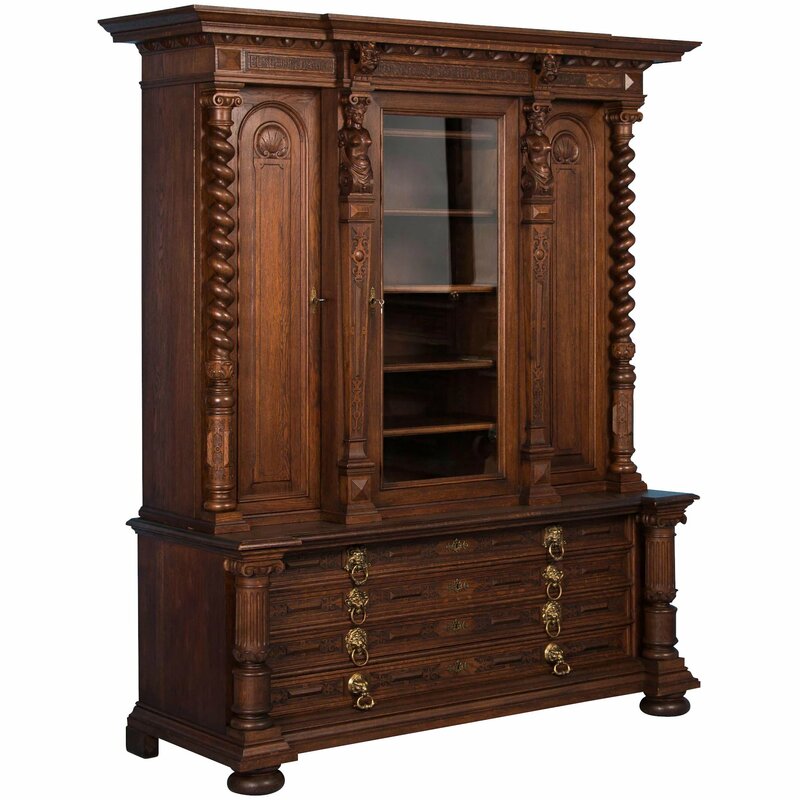 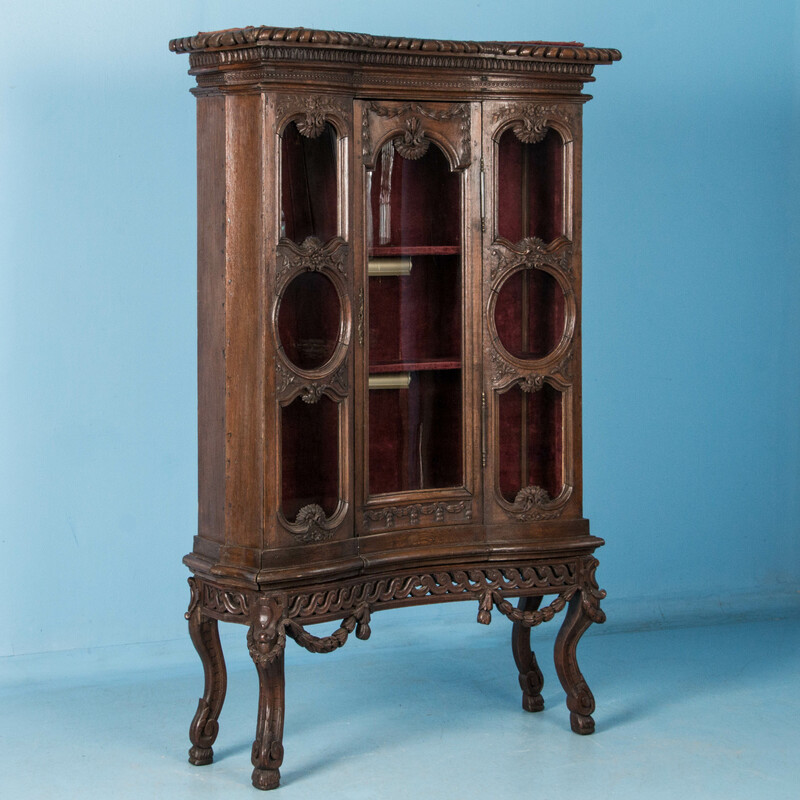 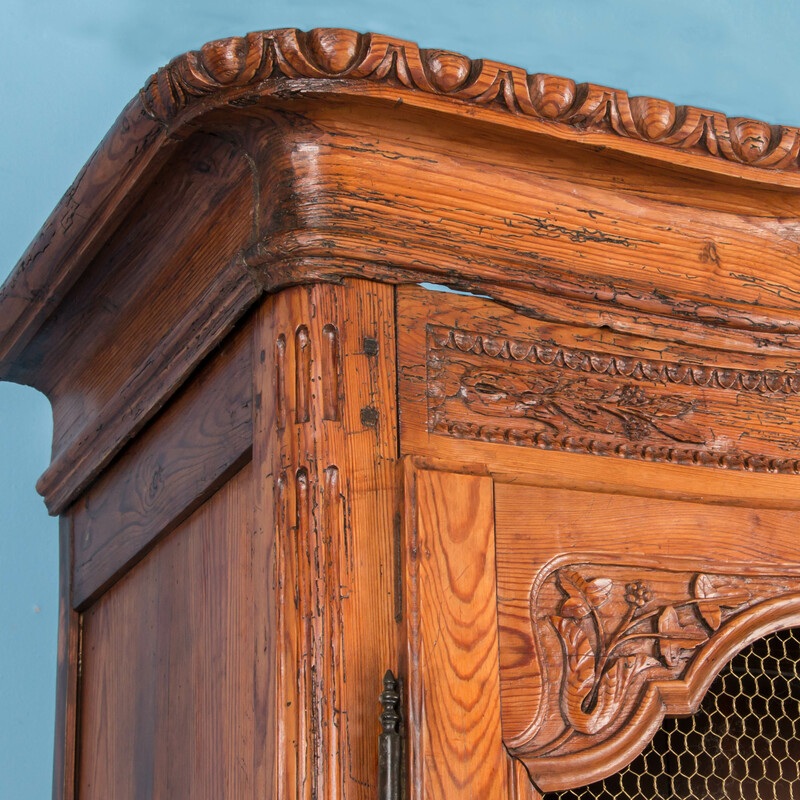 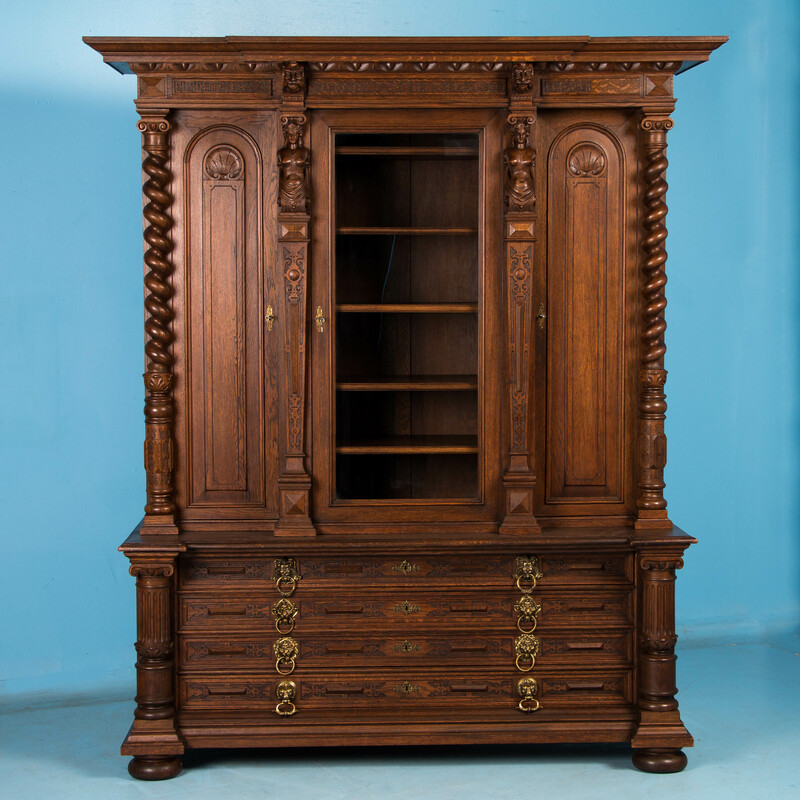 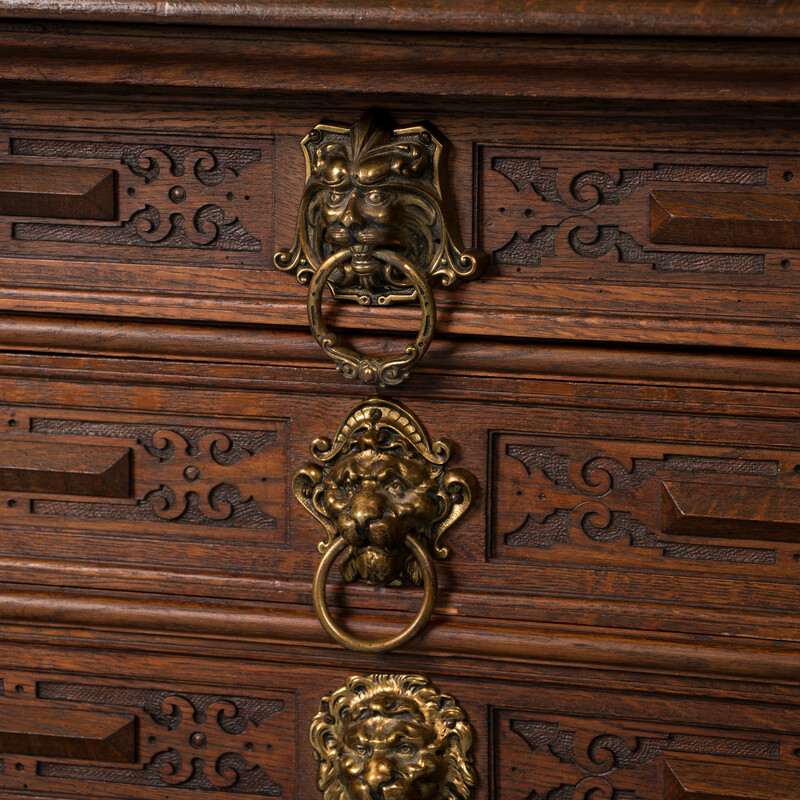 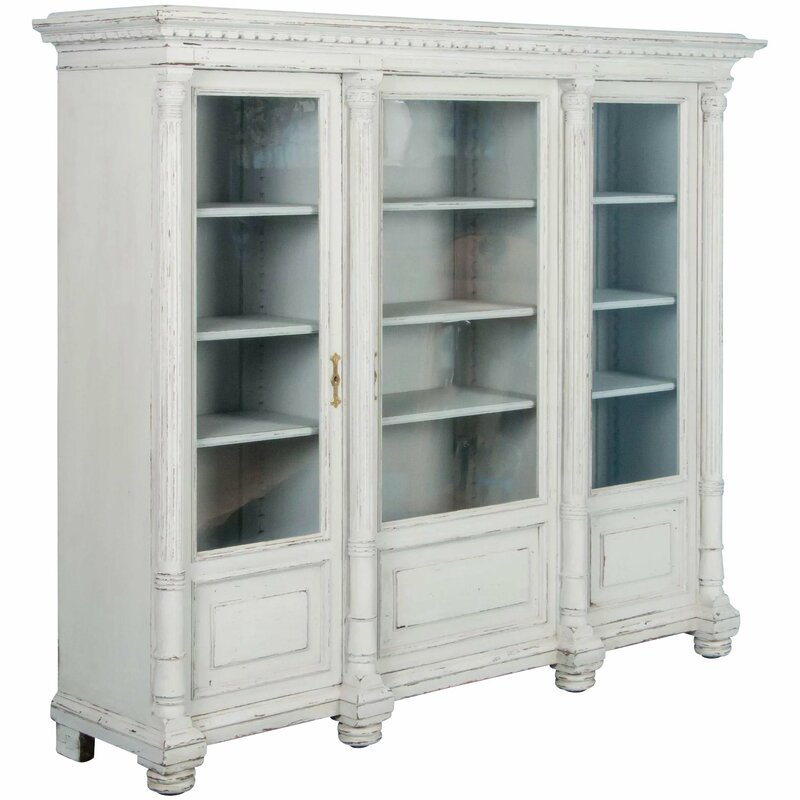 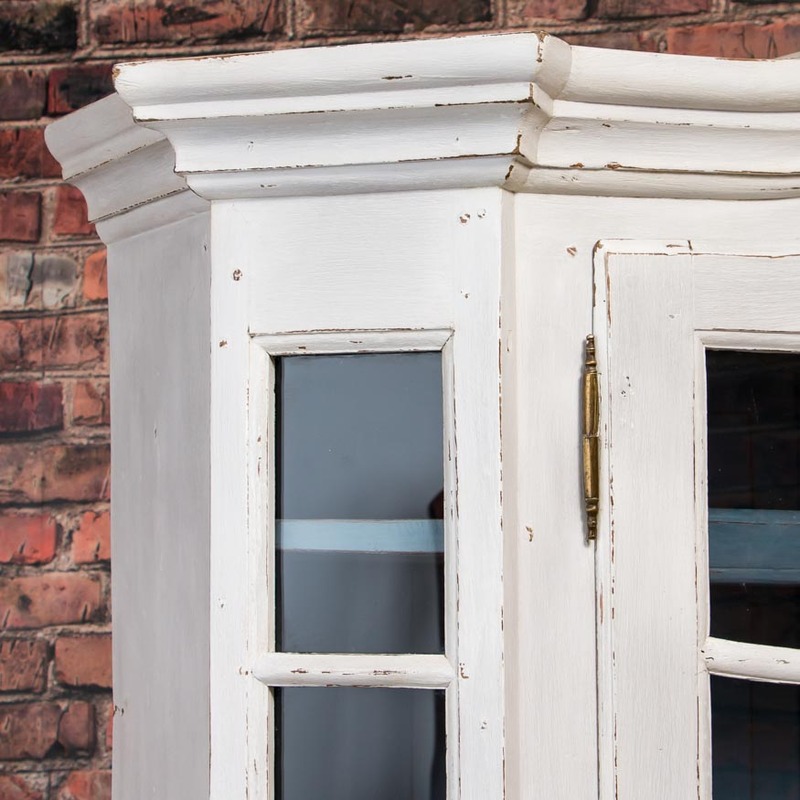 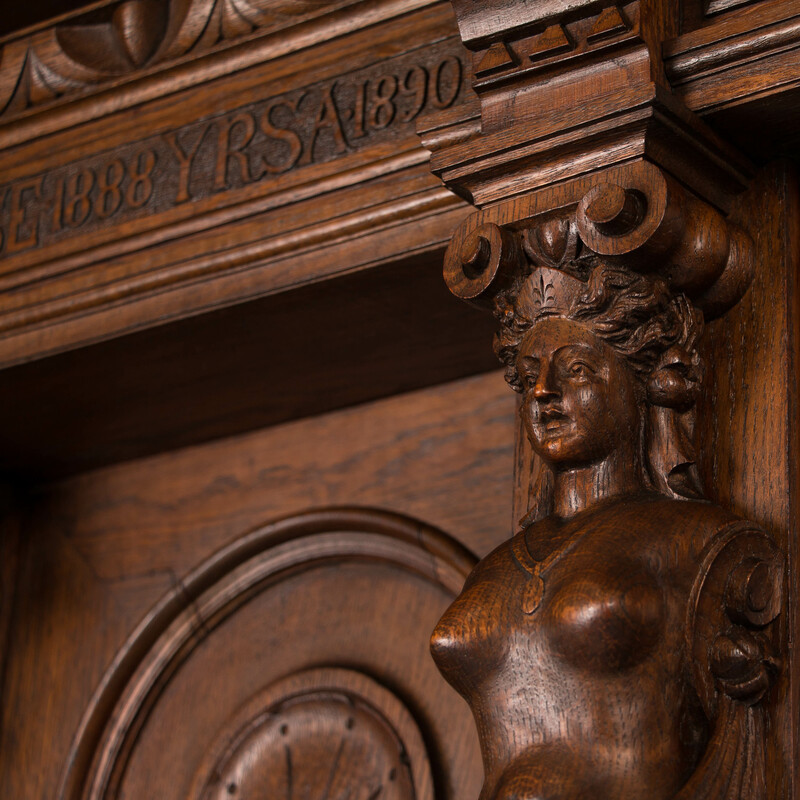 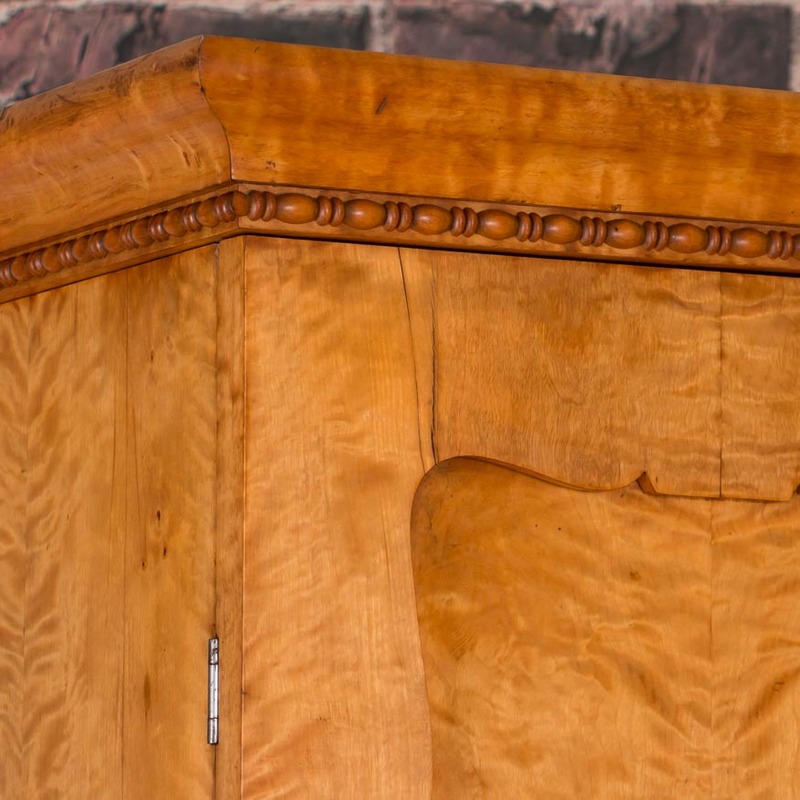 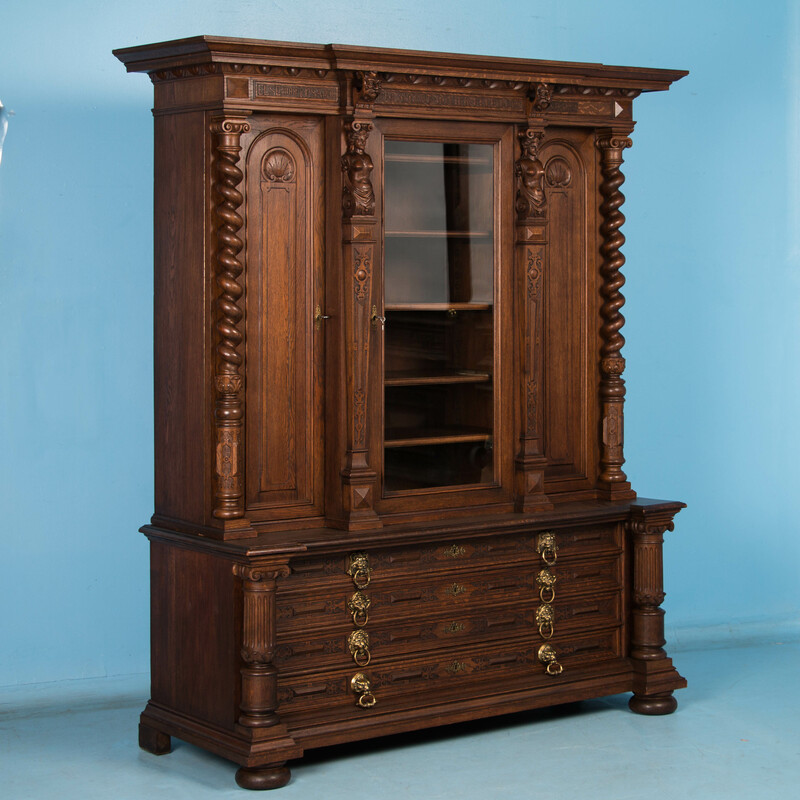 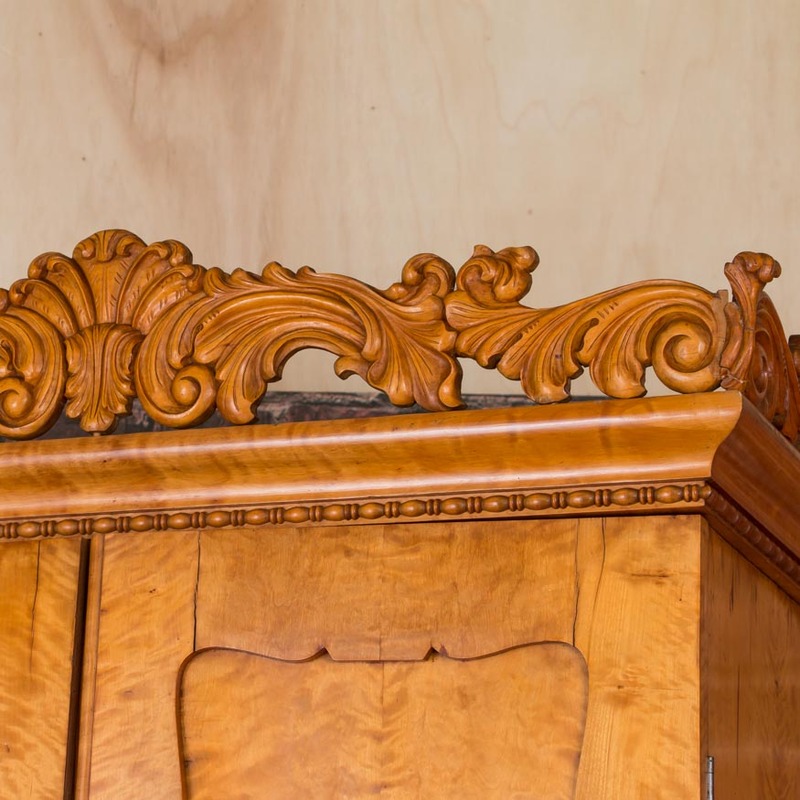 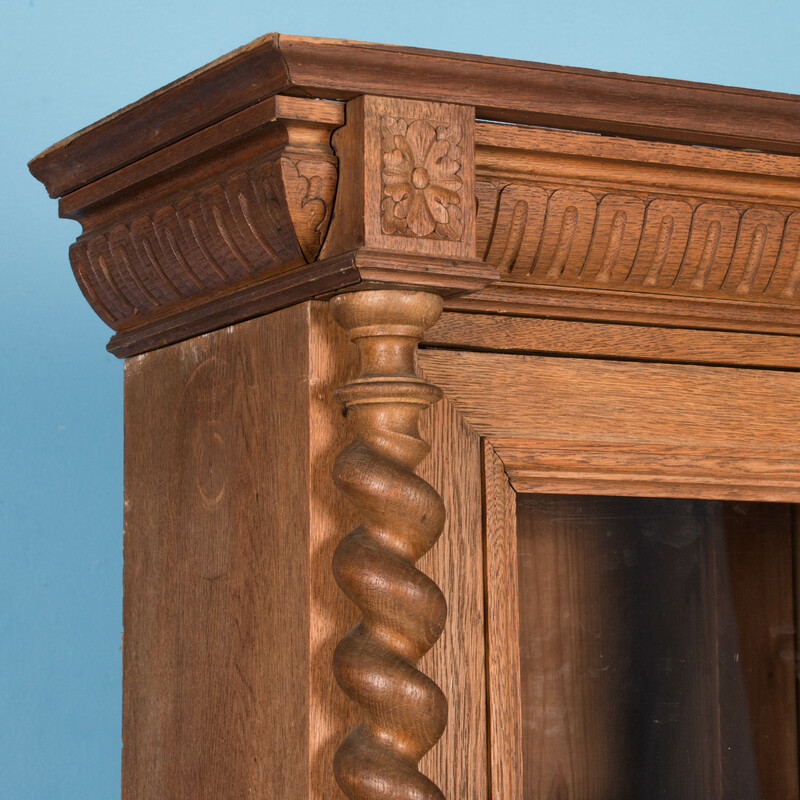 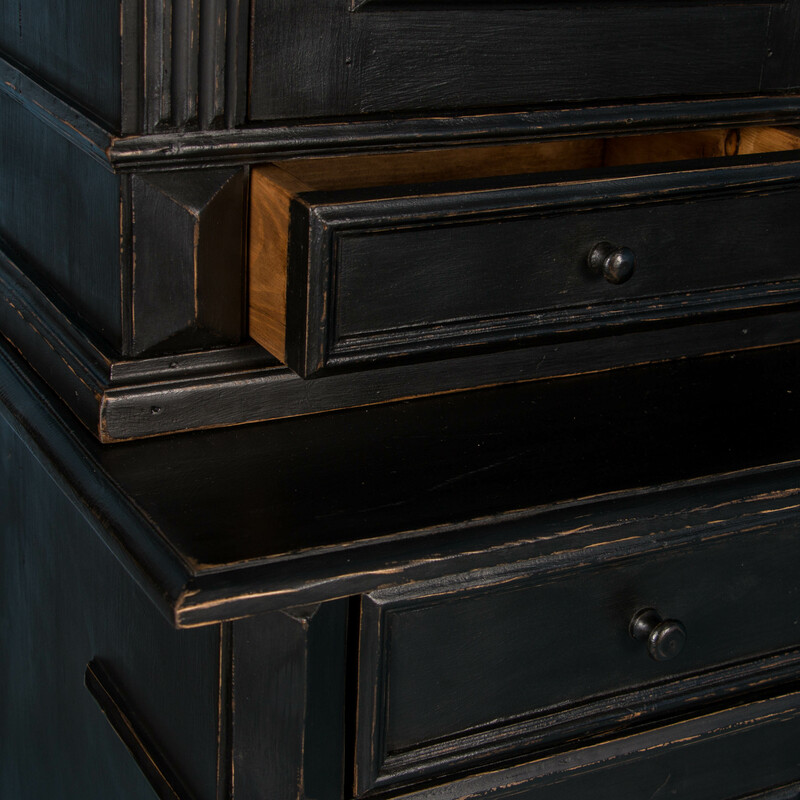 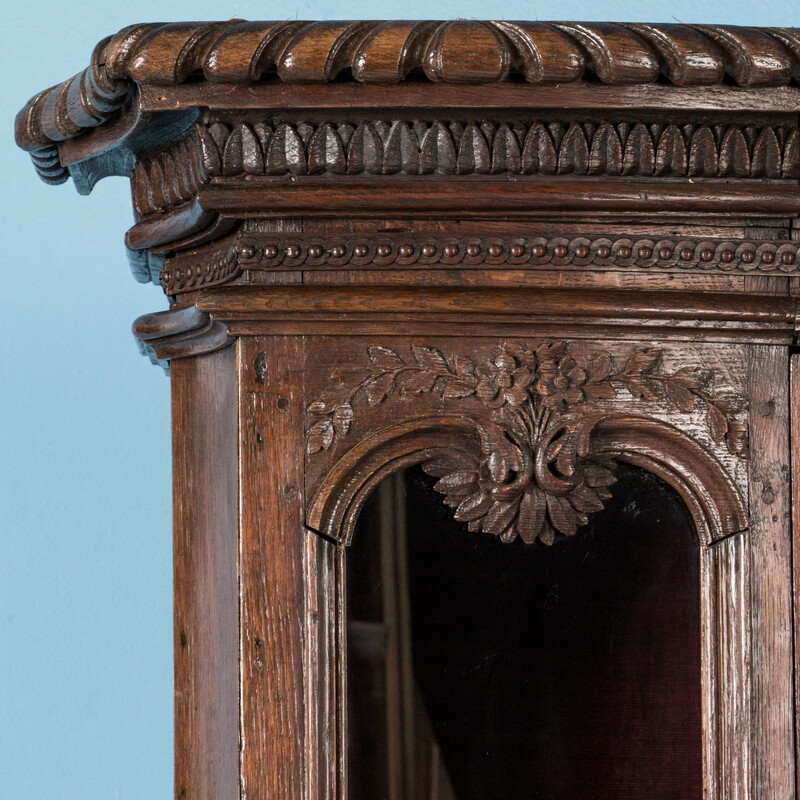 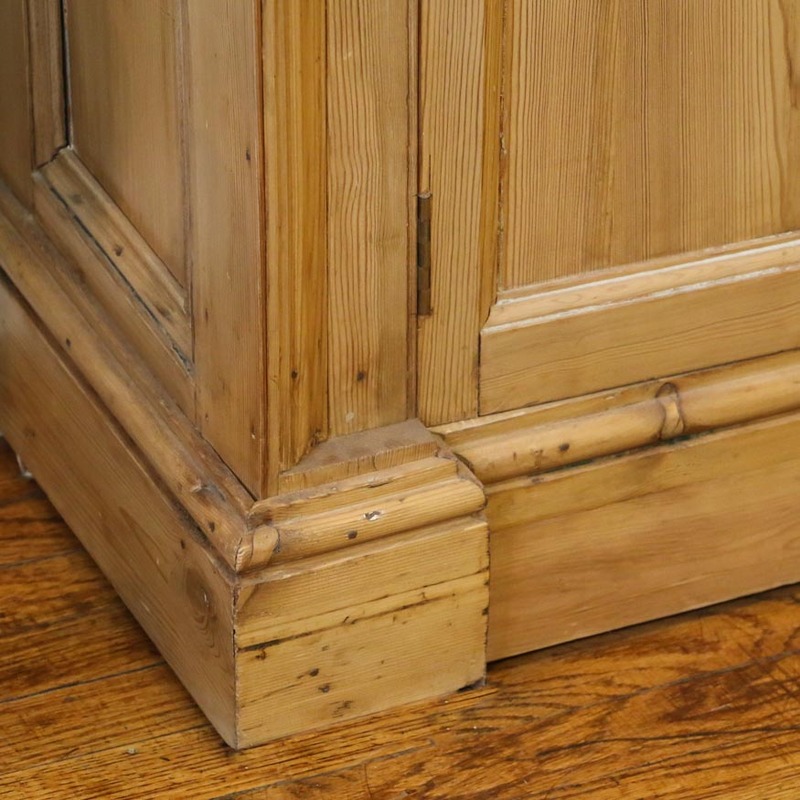 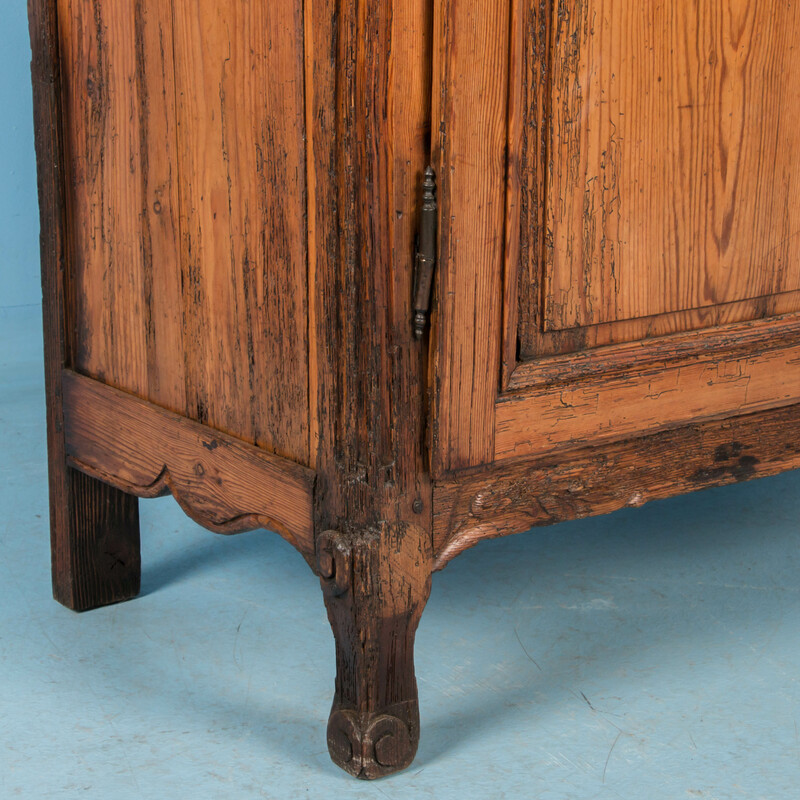 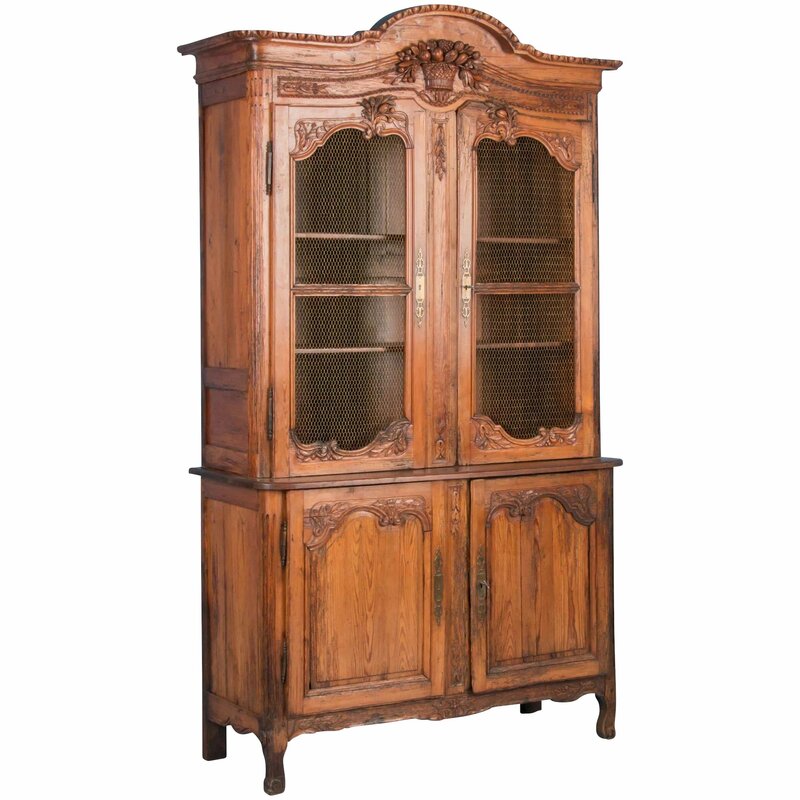 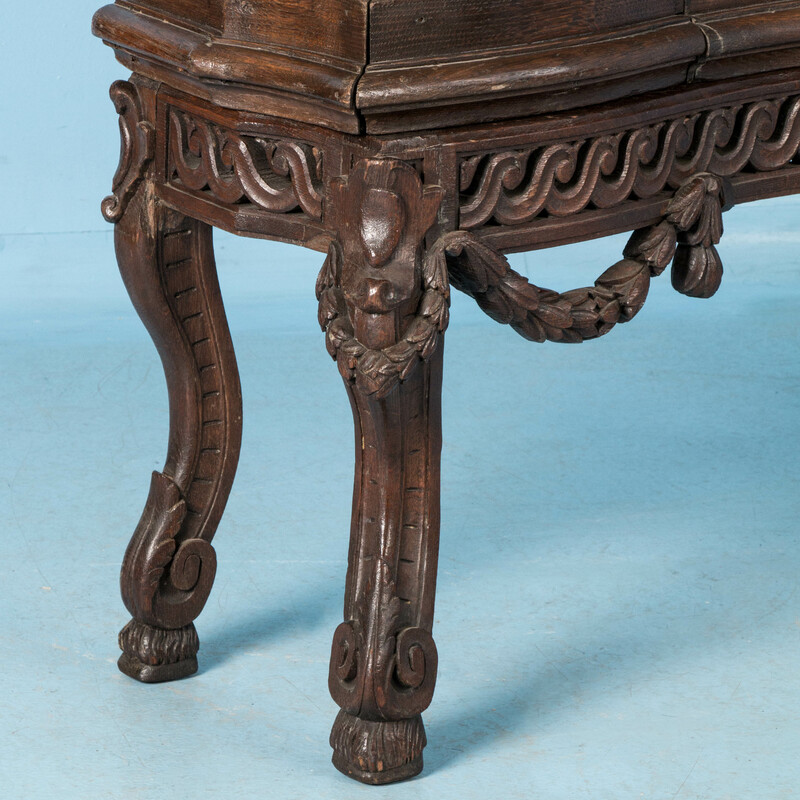 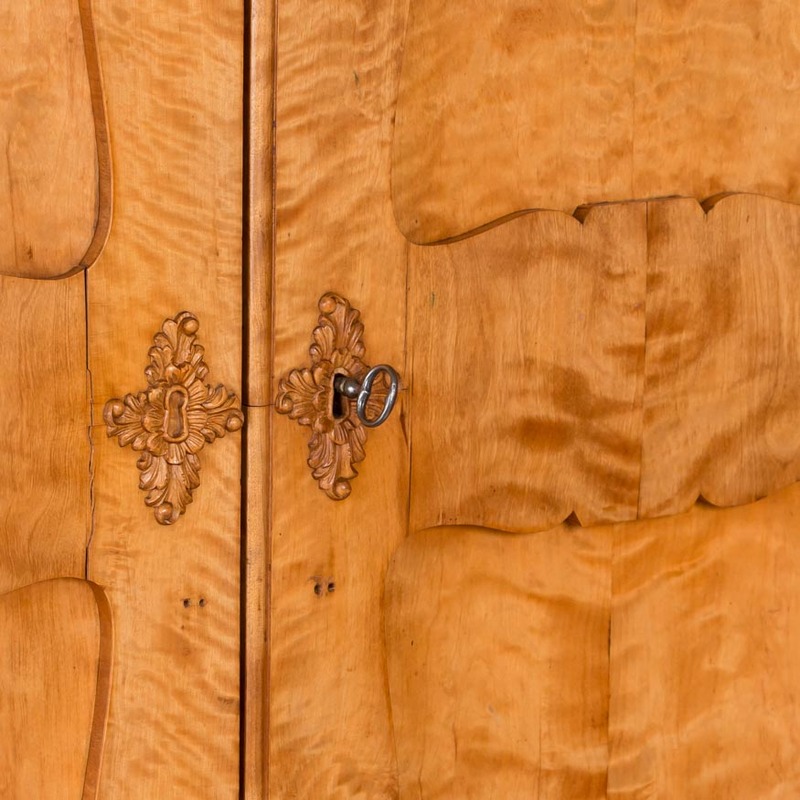 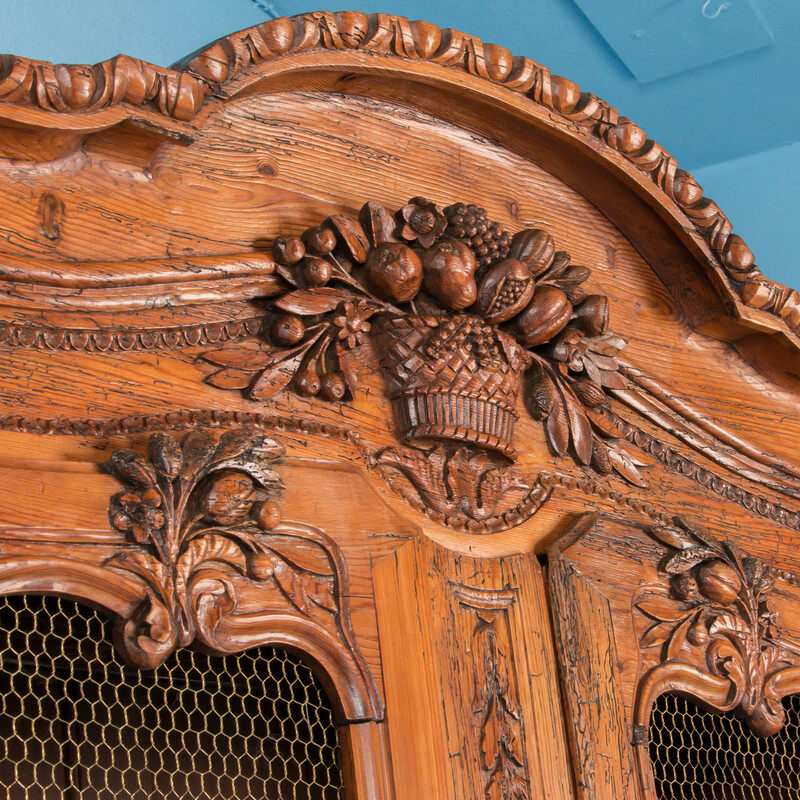 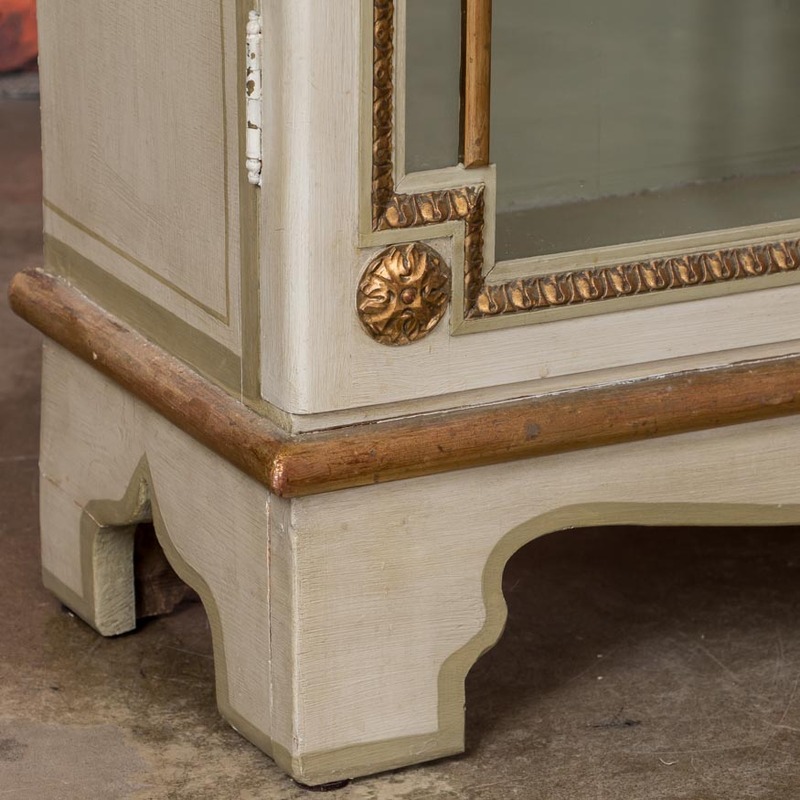 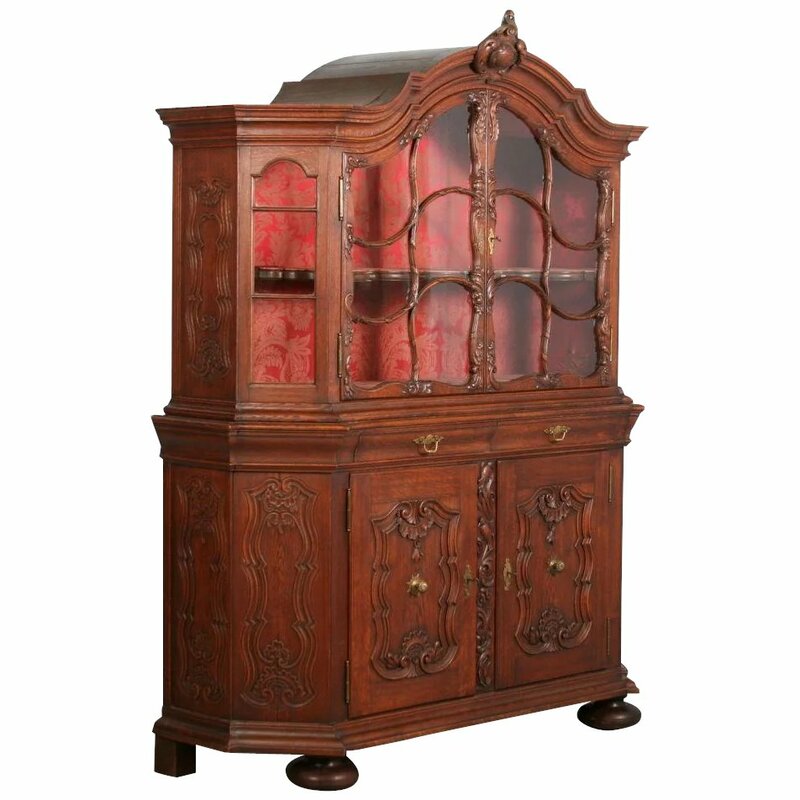 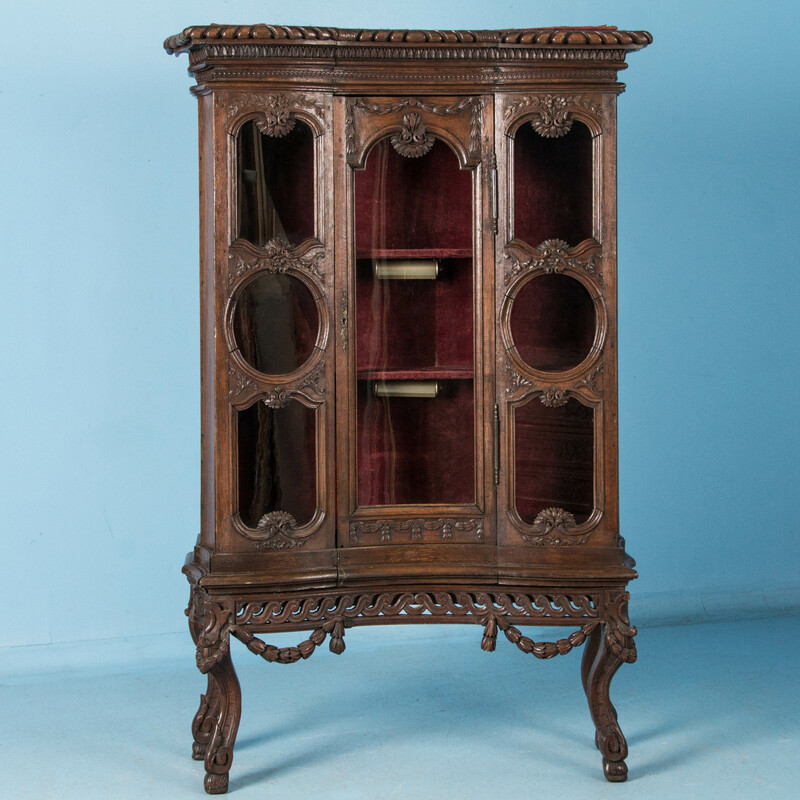 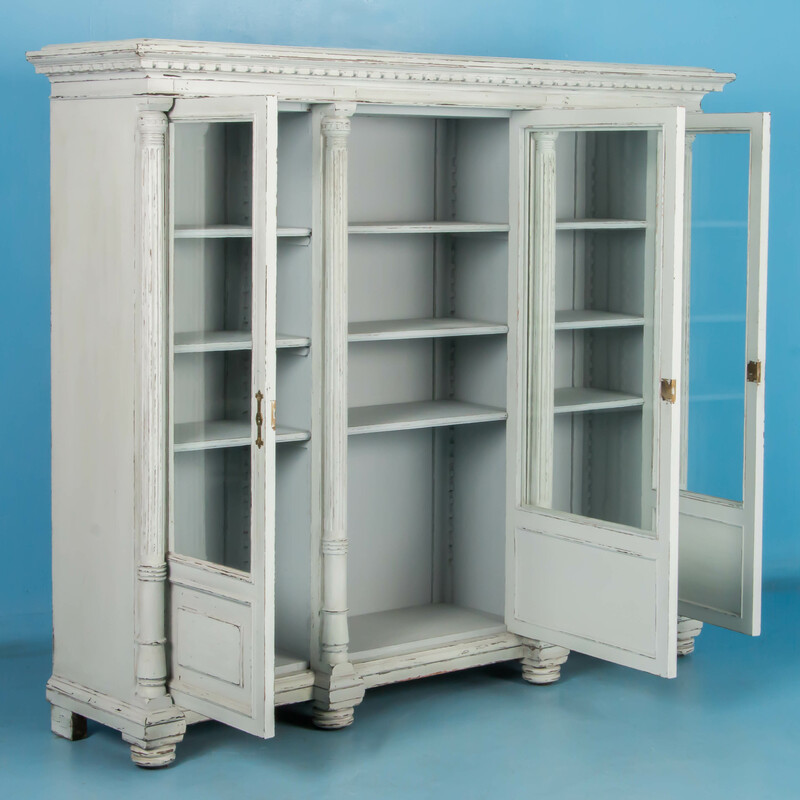 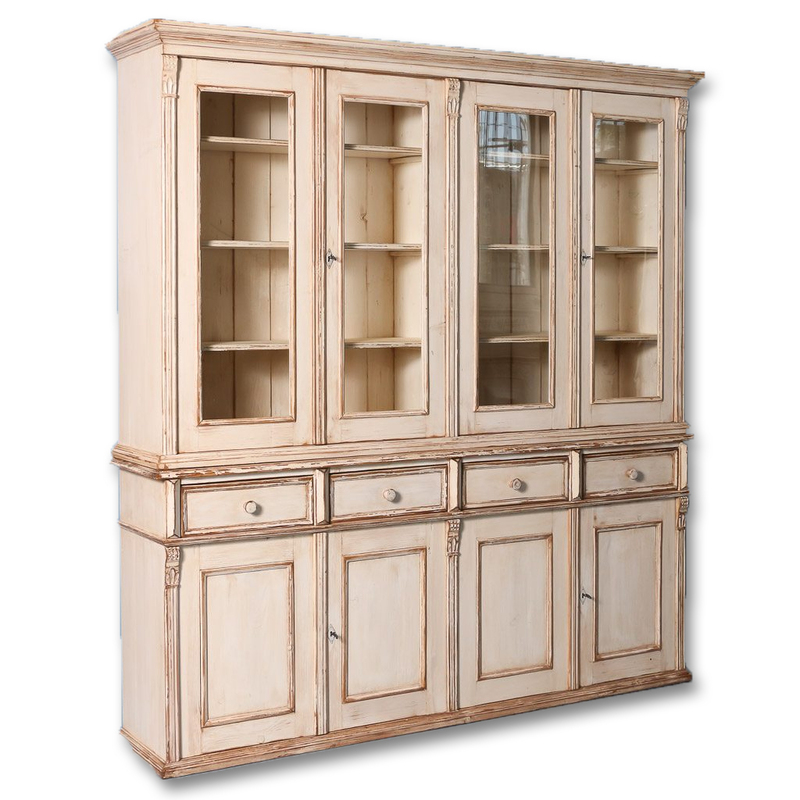 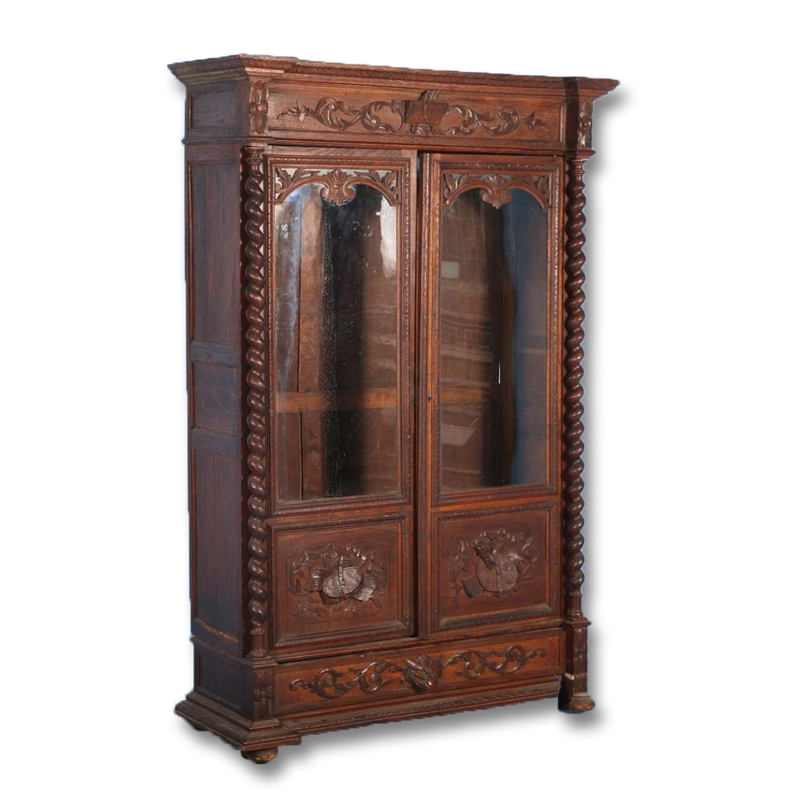 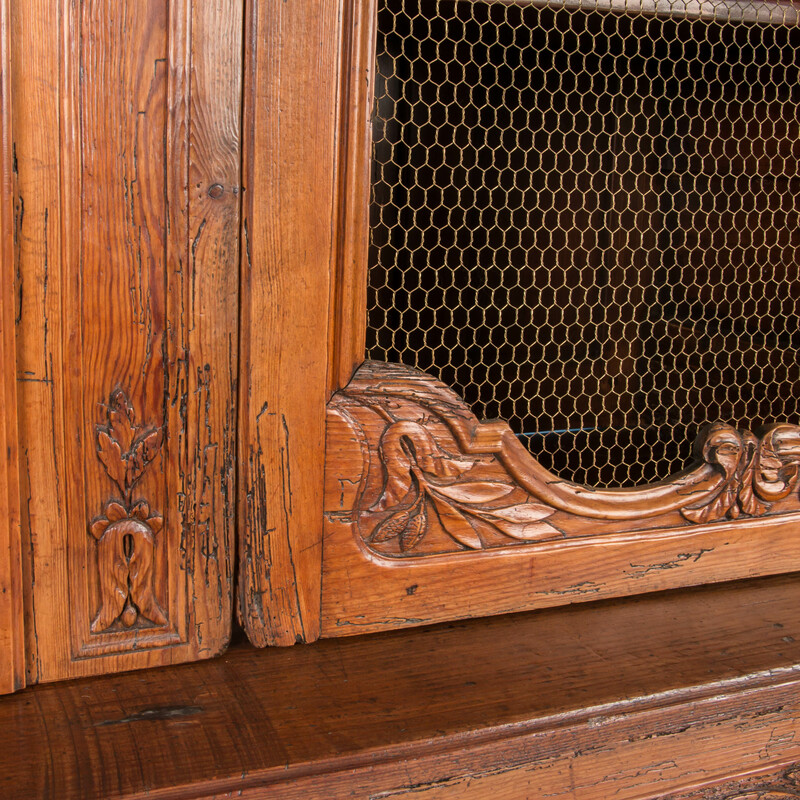 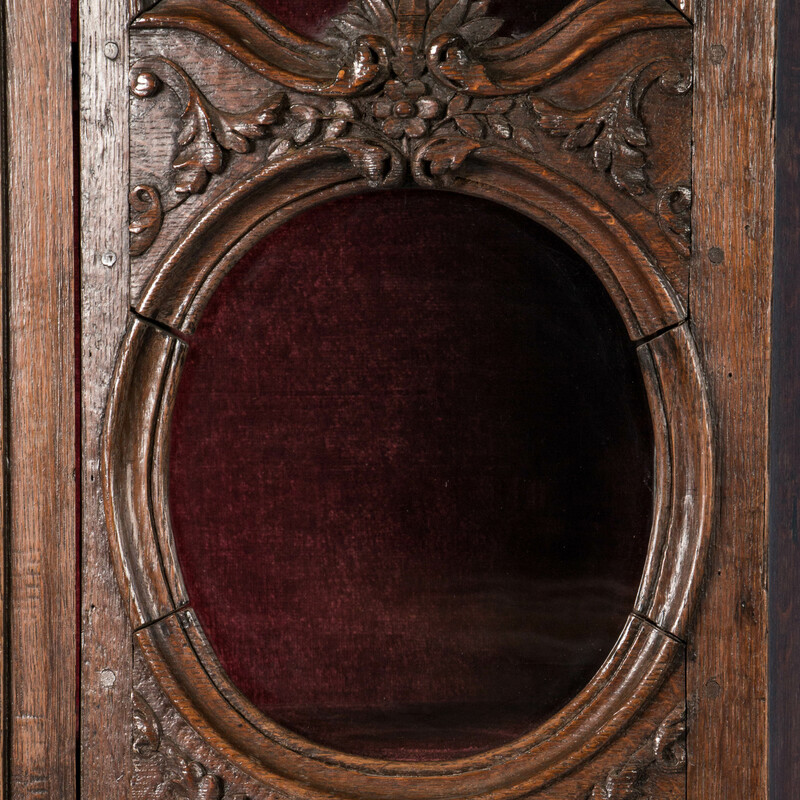 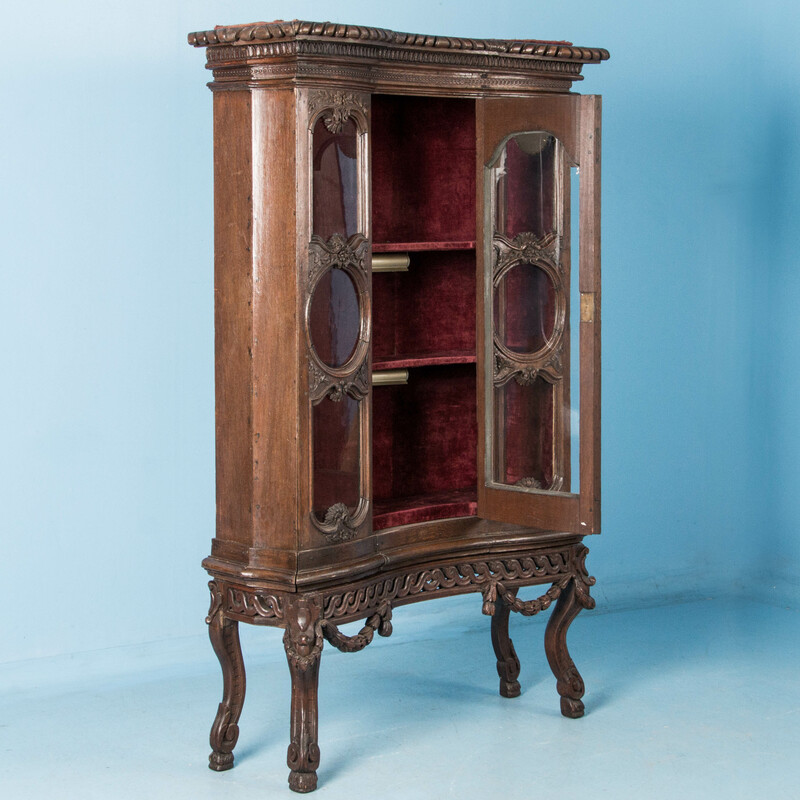 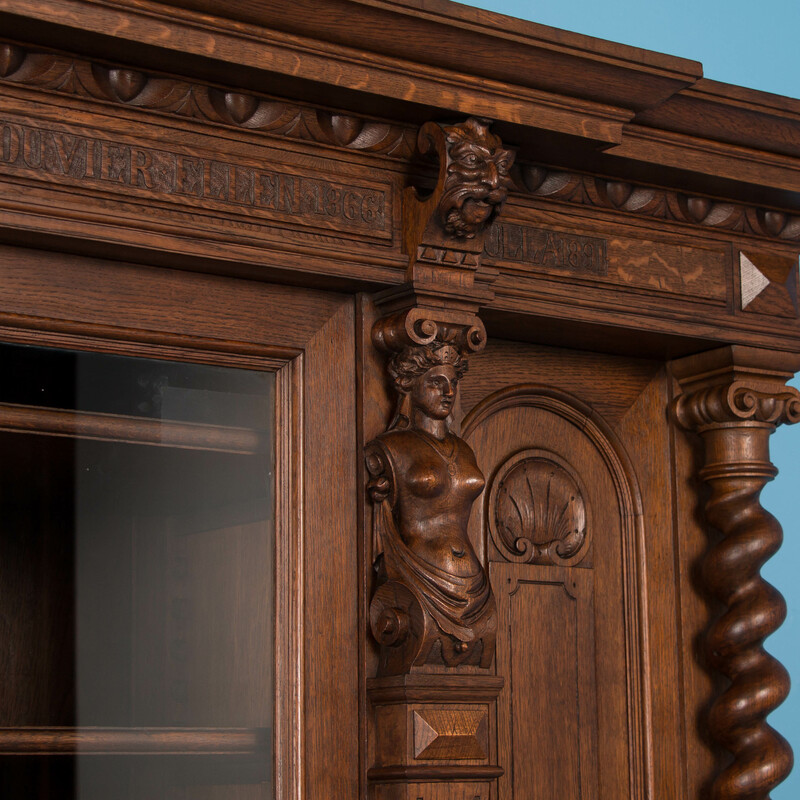 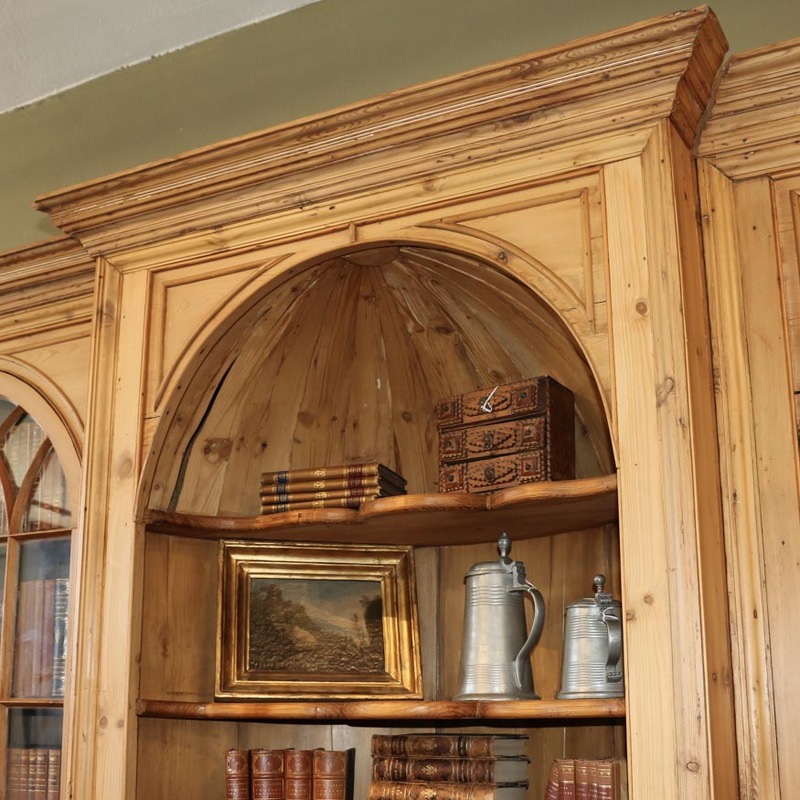 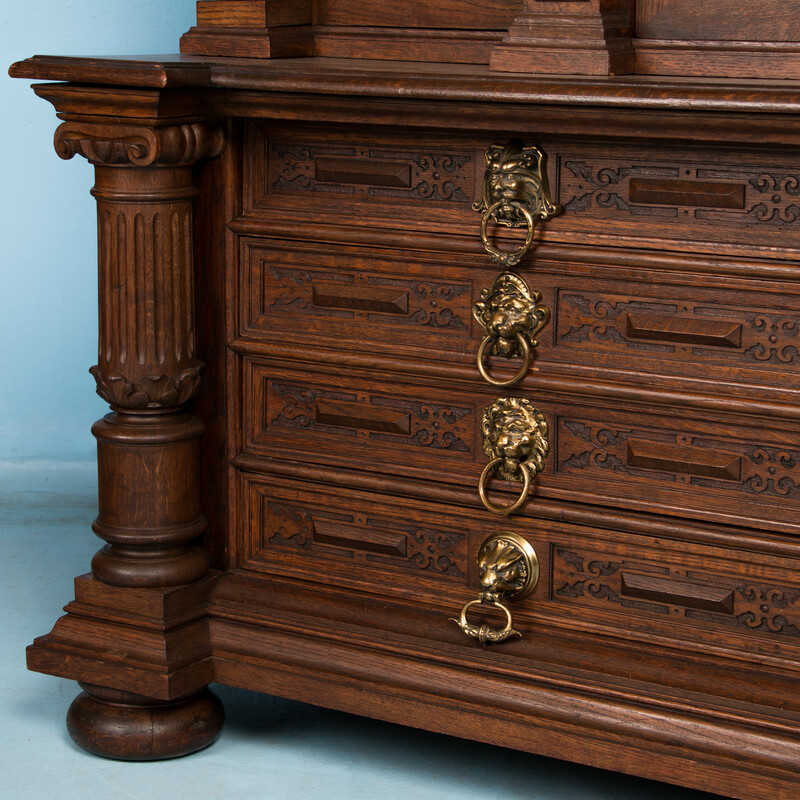 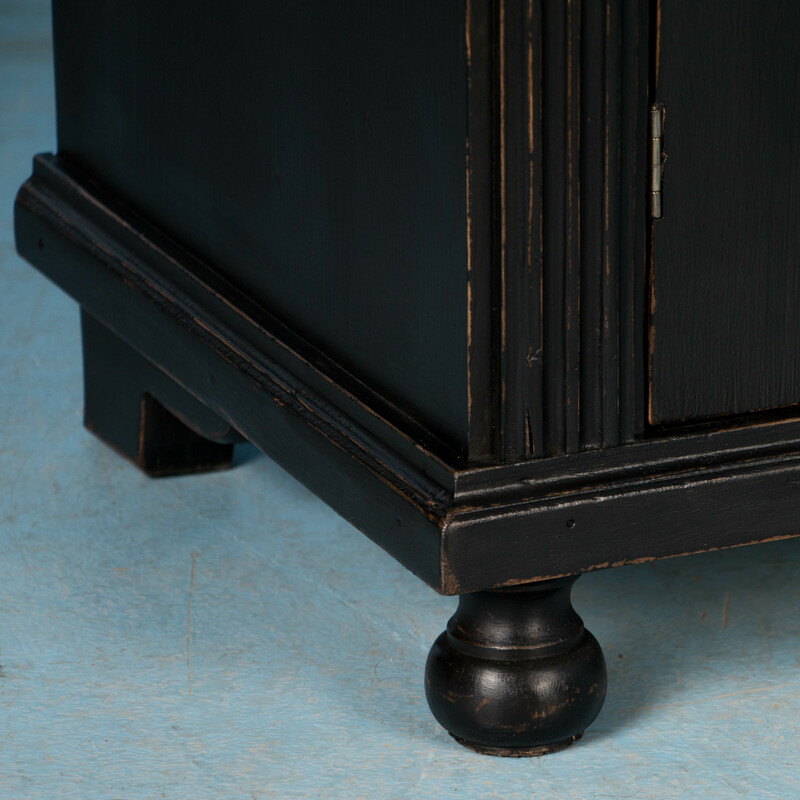 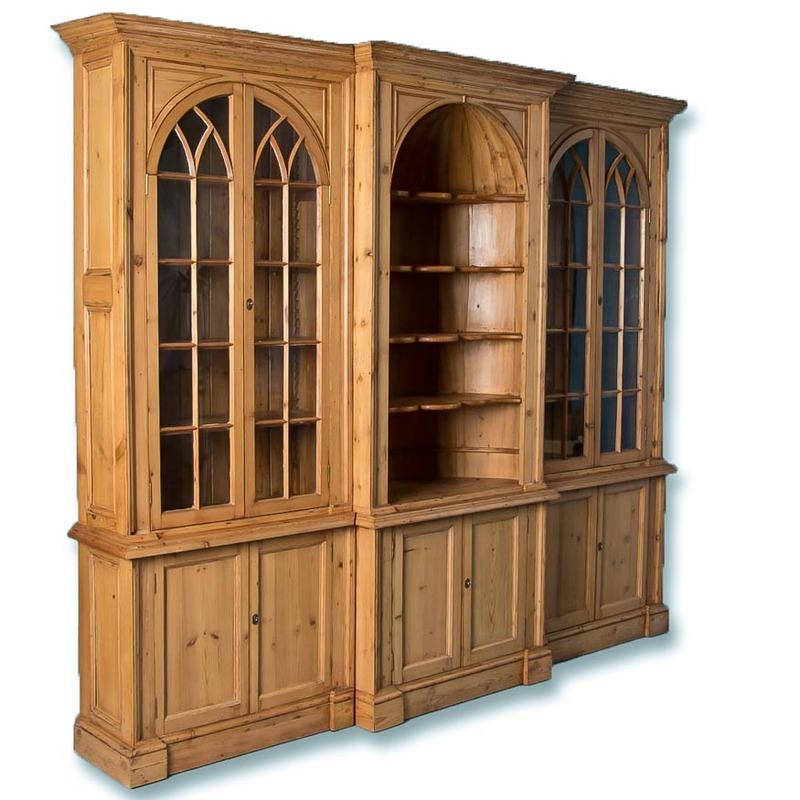 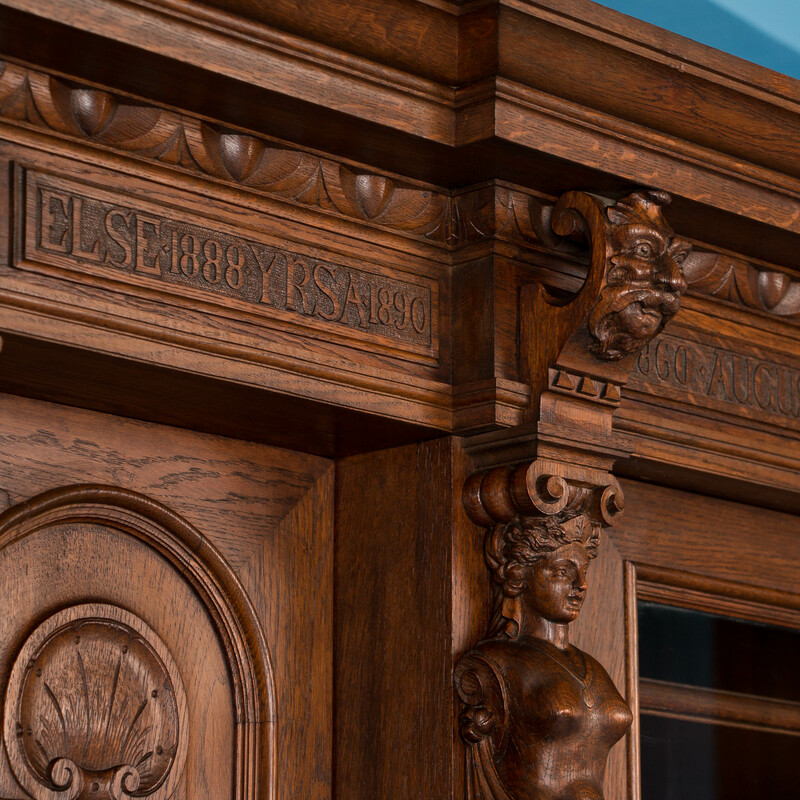 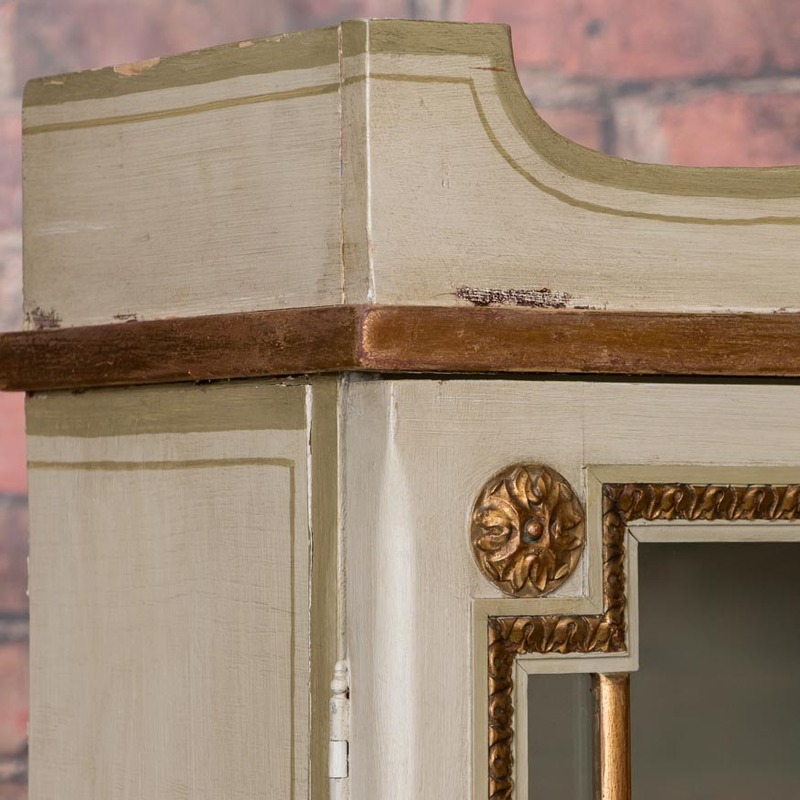 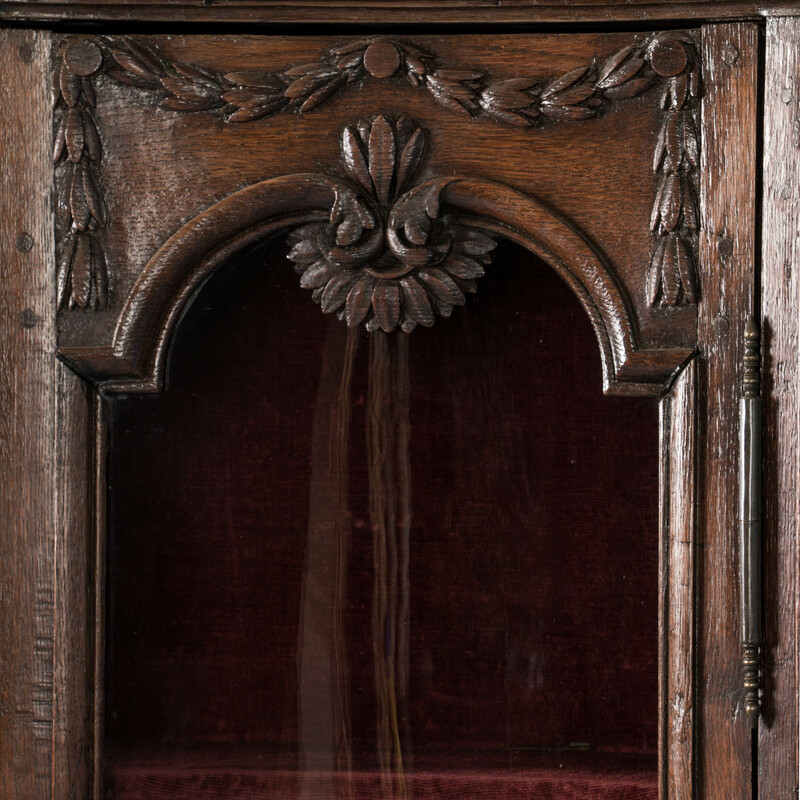 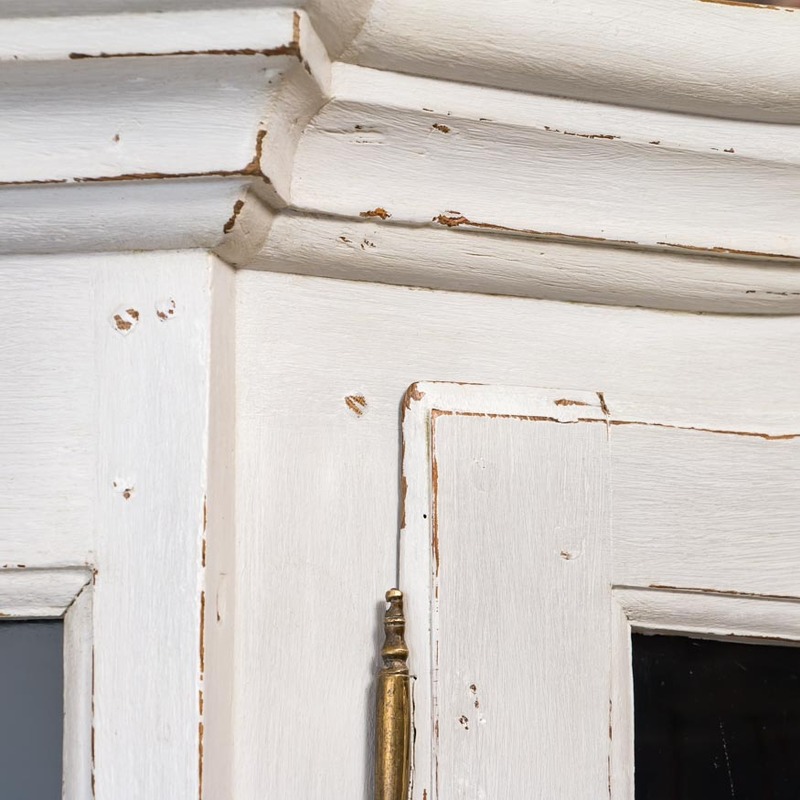 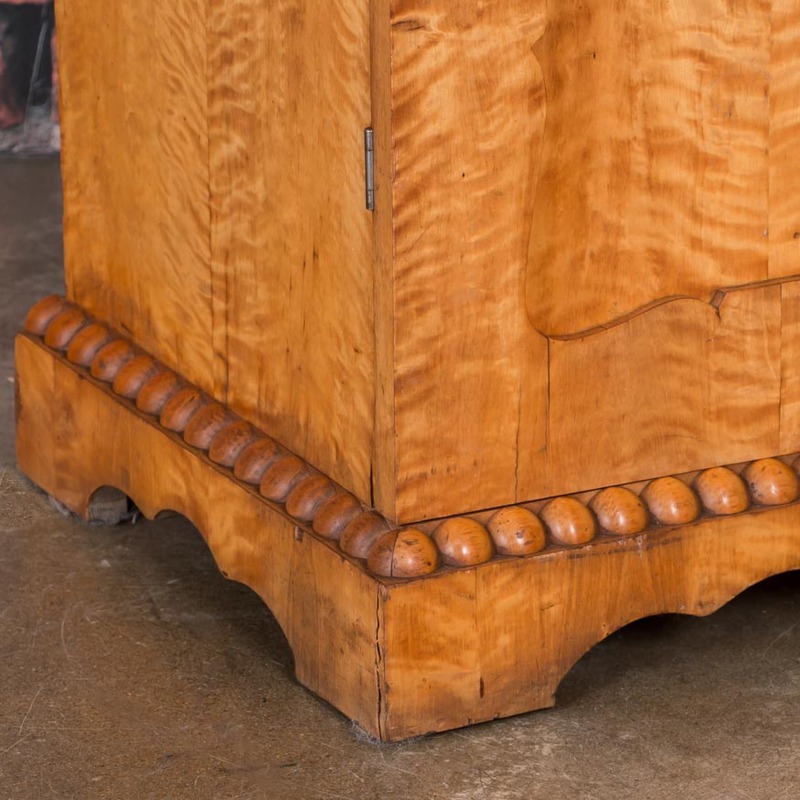 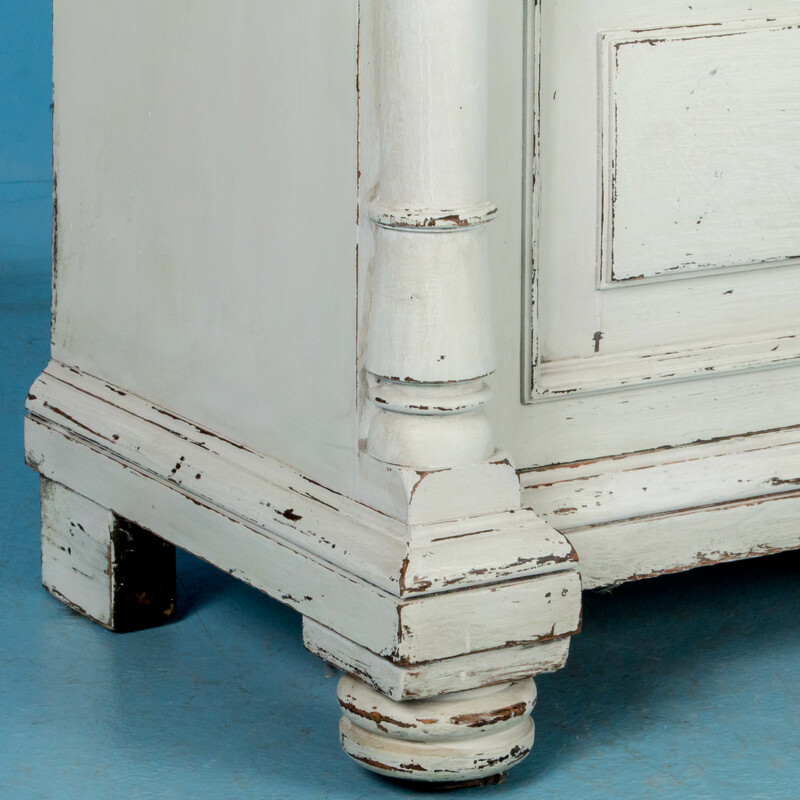 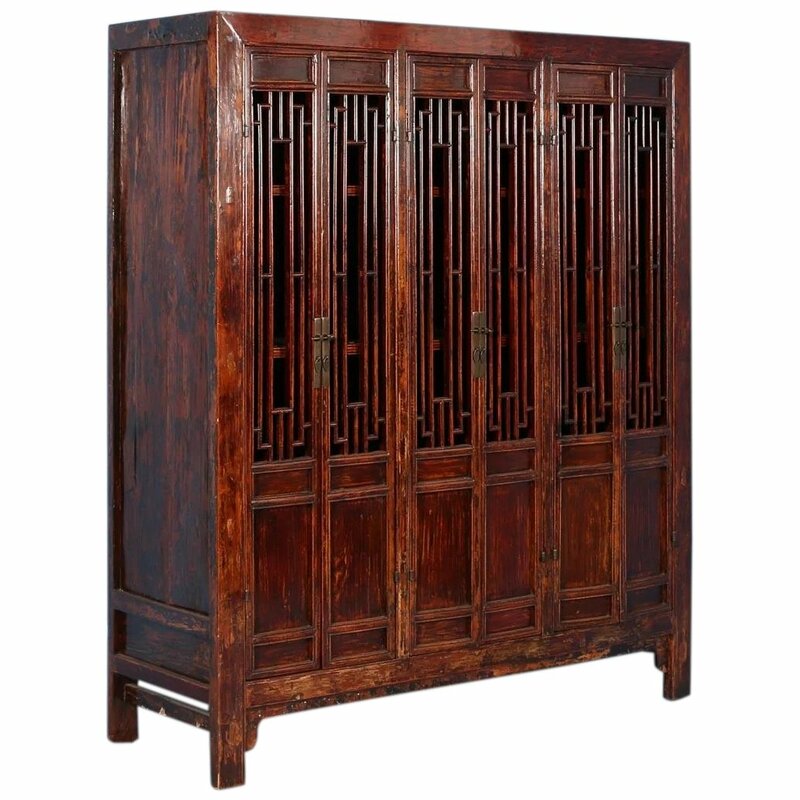 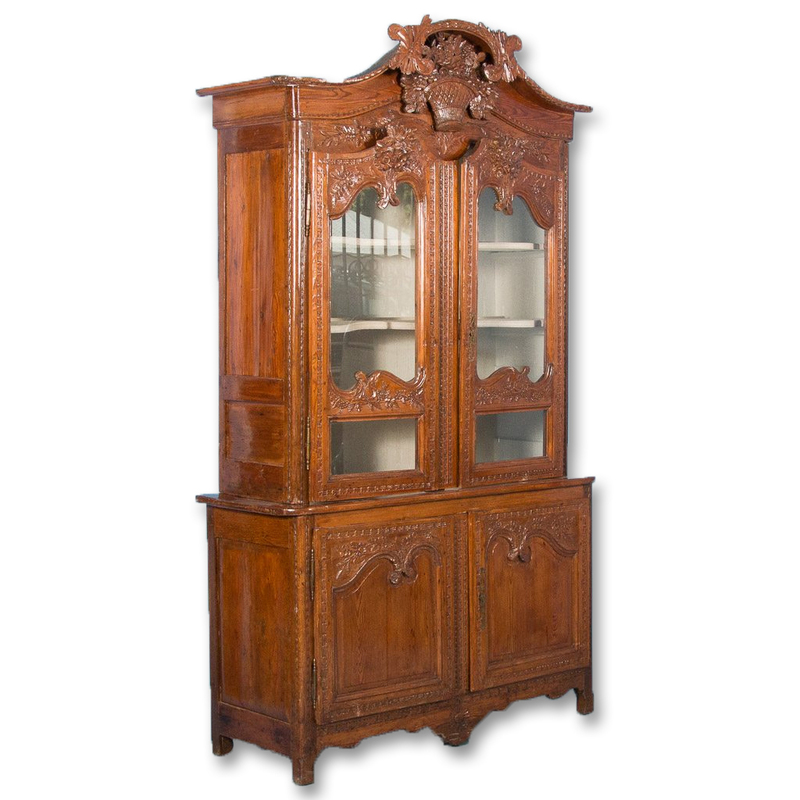 Remarkable wood and craftsmanship are the hallmarks of this stunning French piece. 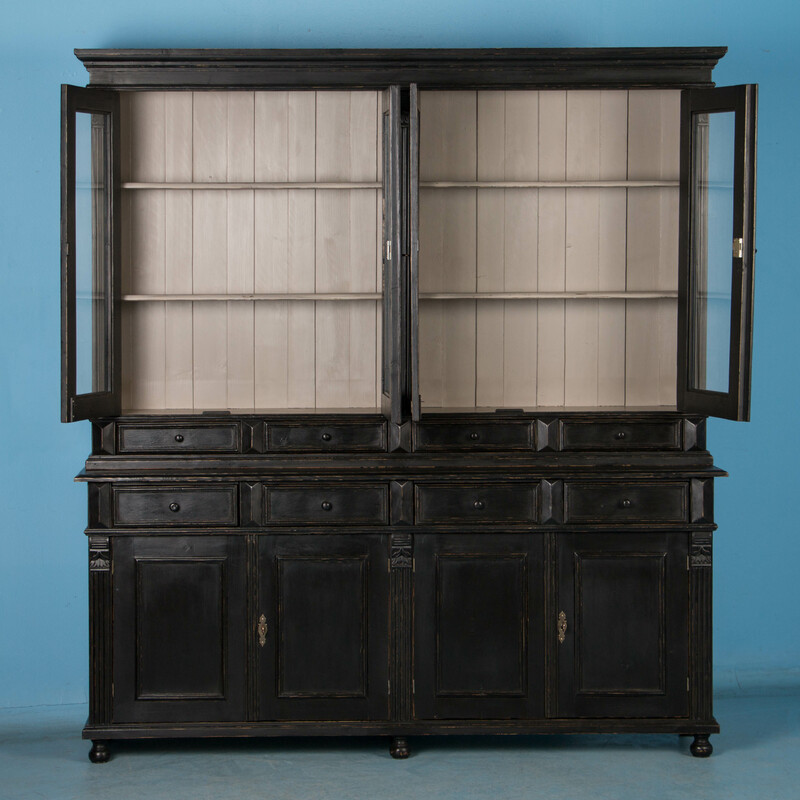 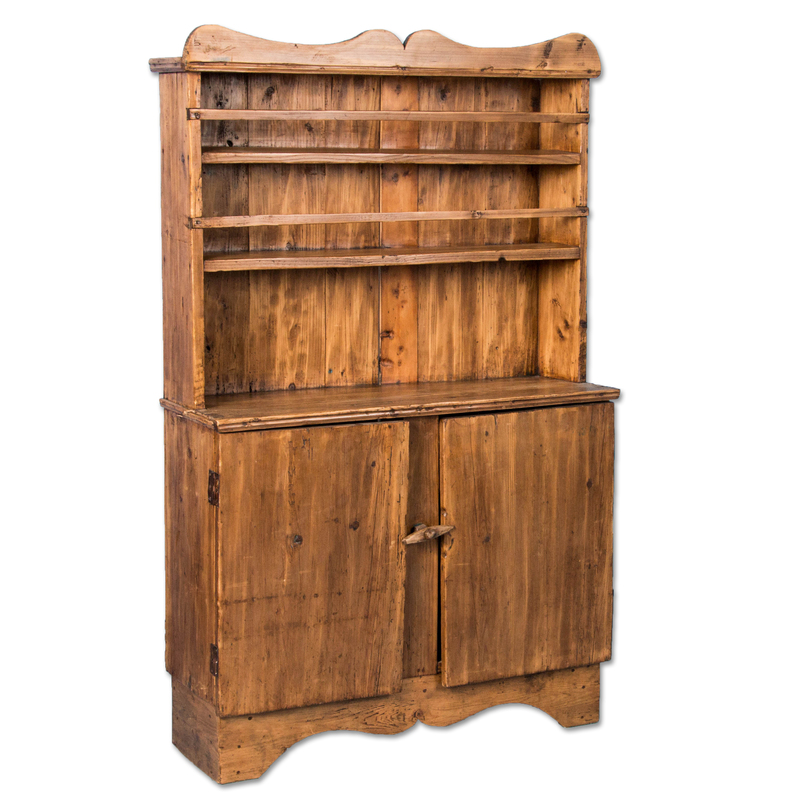 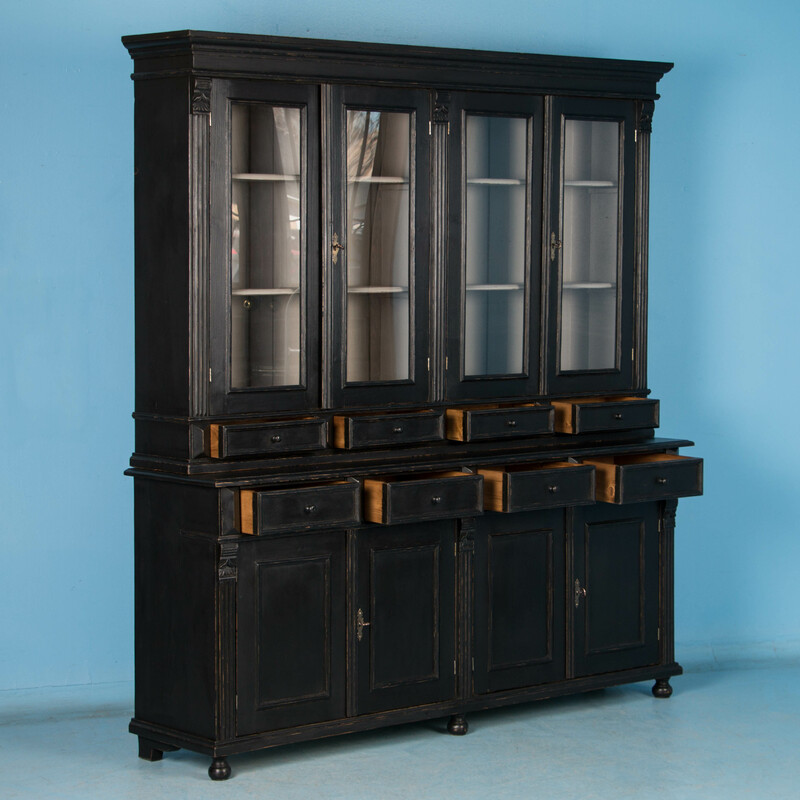 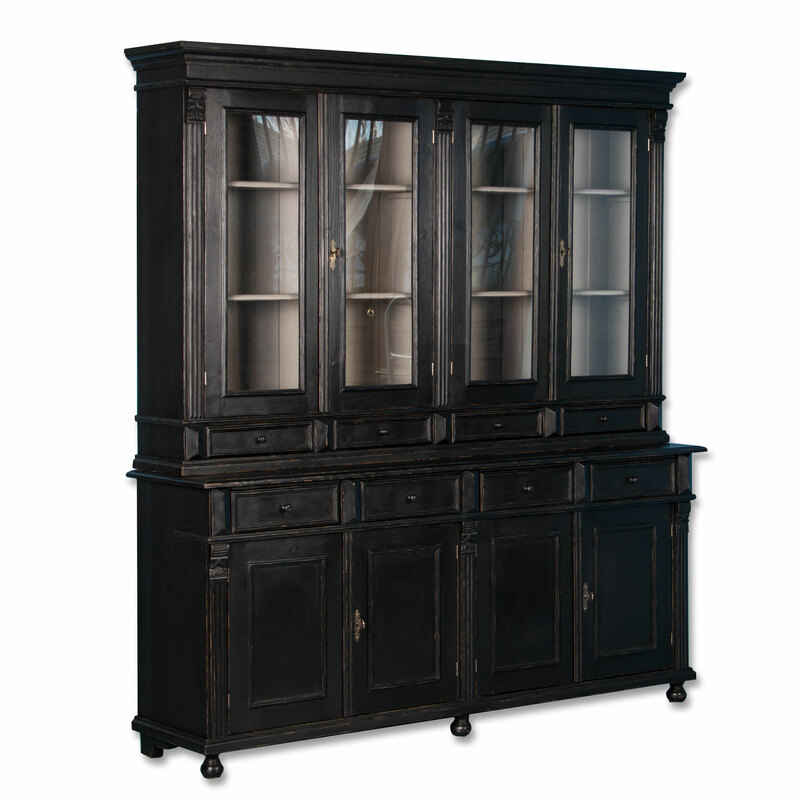 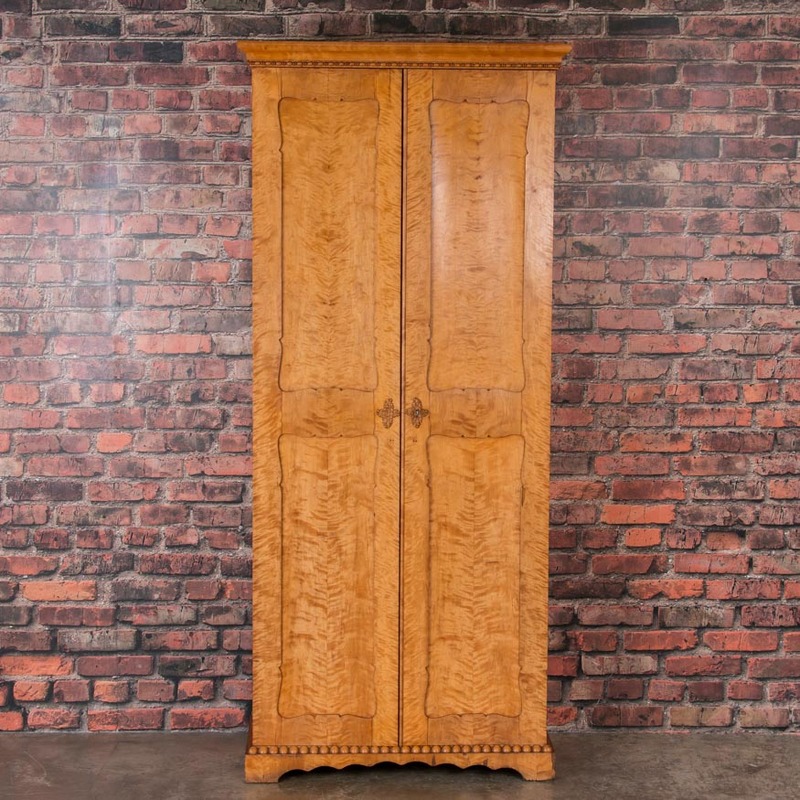 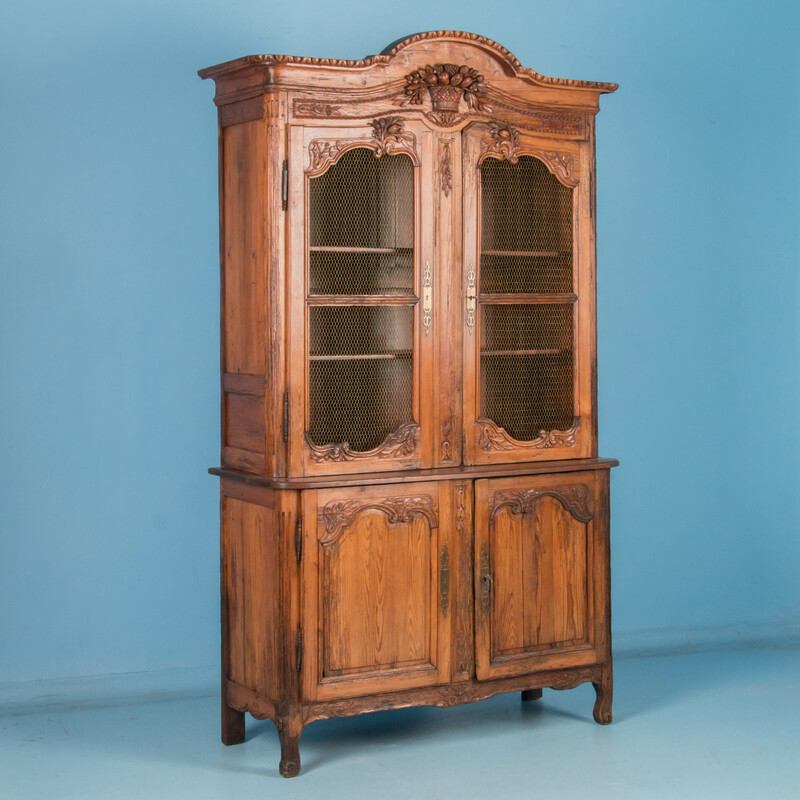 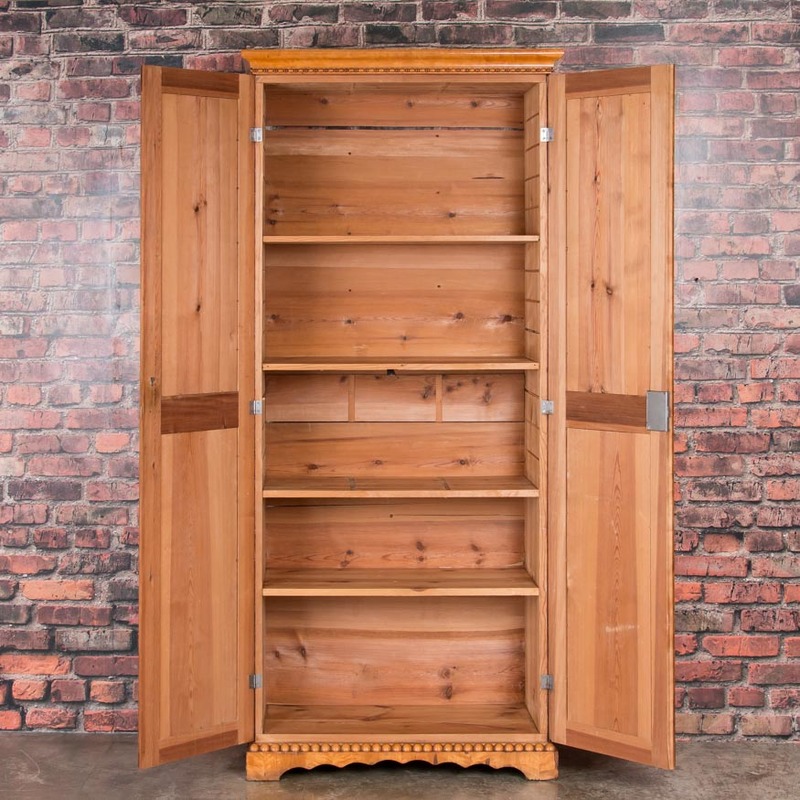 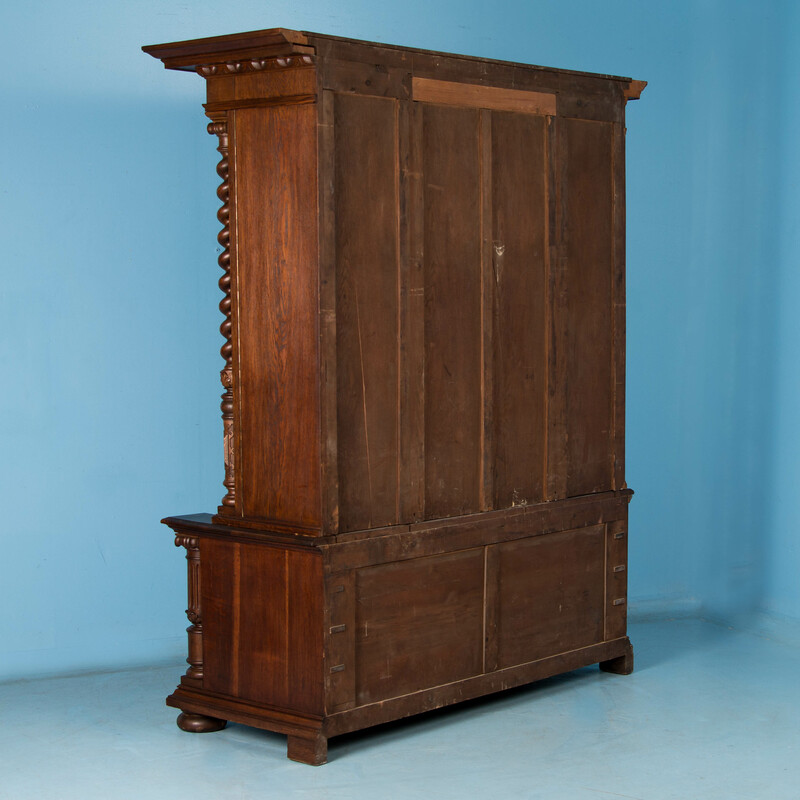 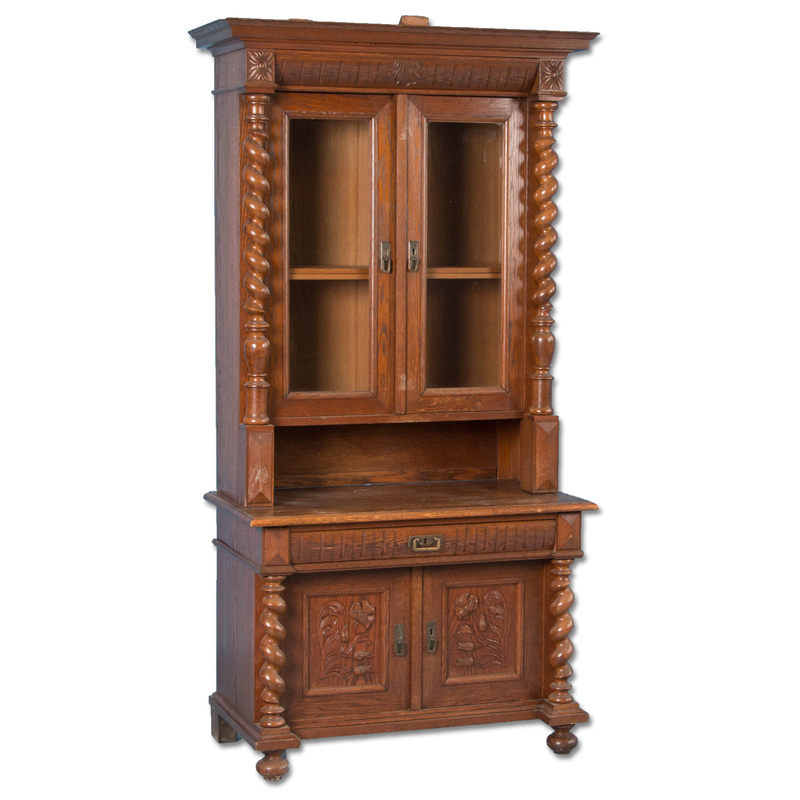 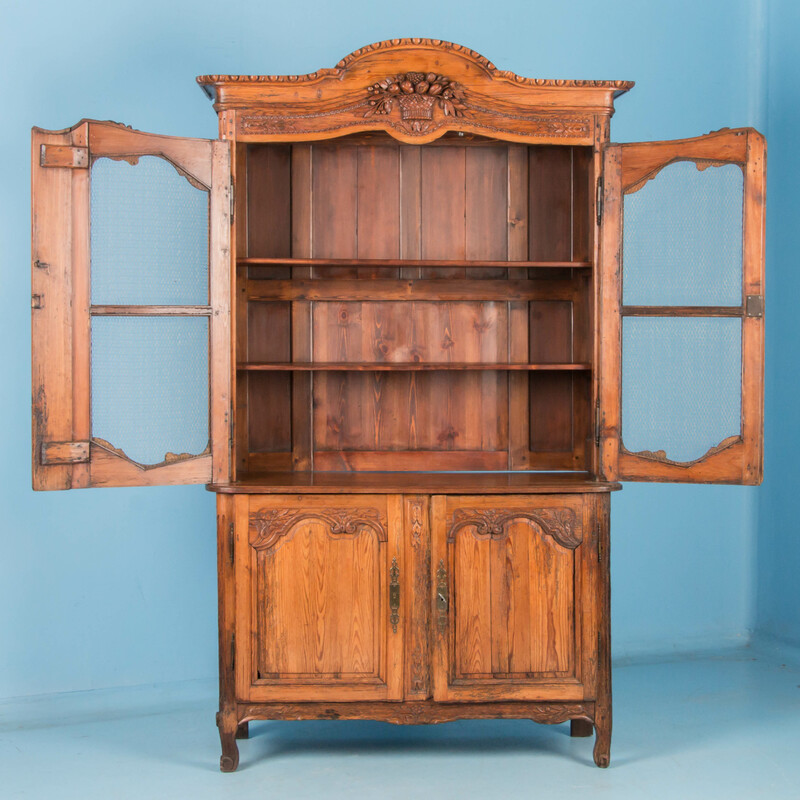 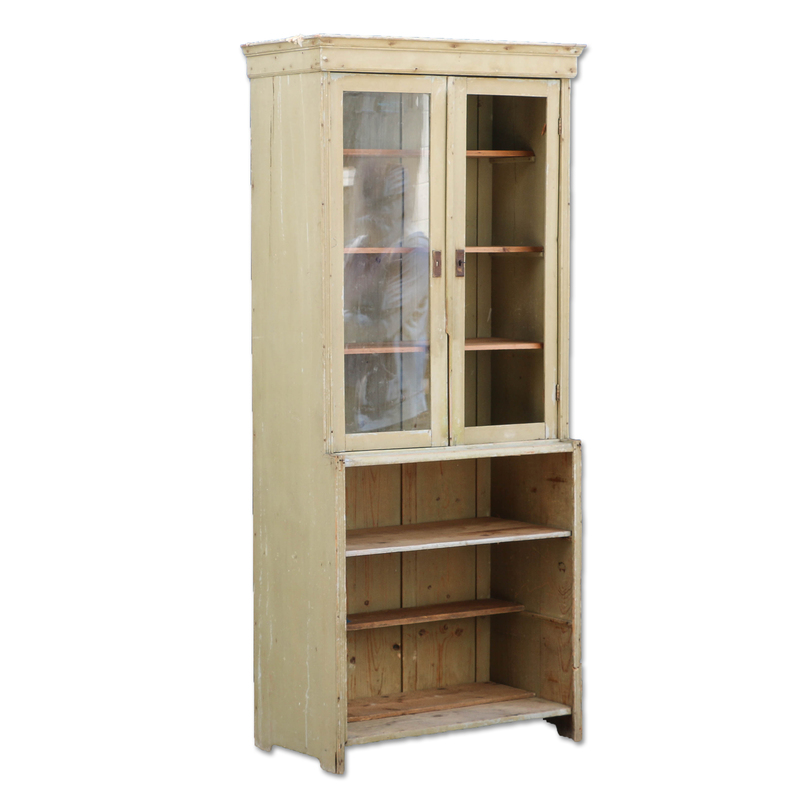 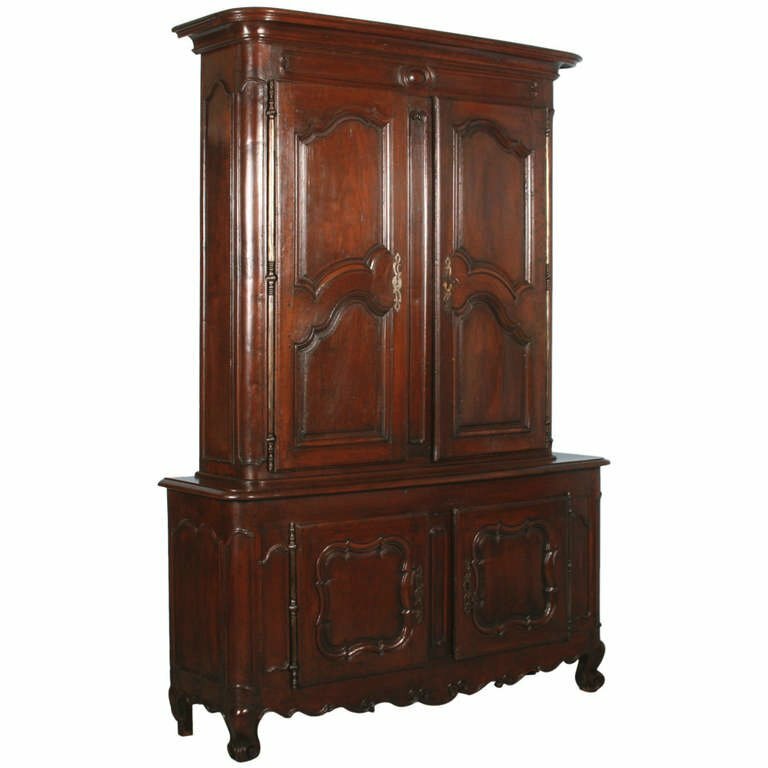 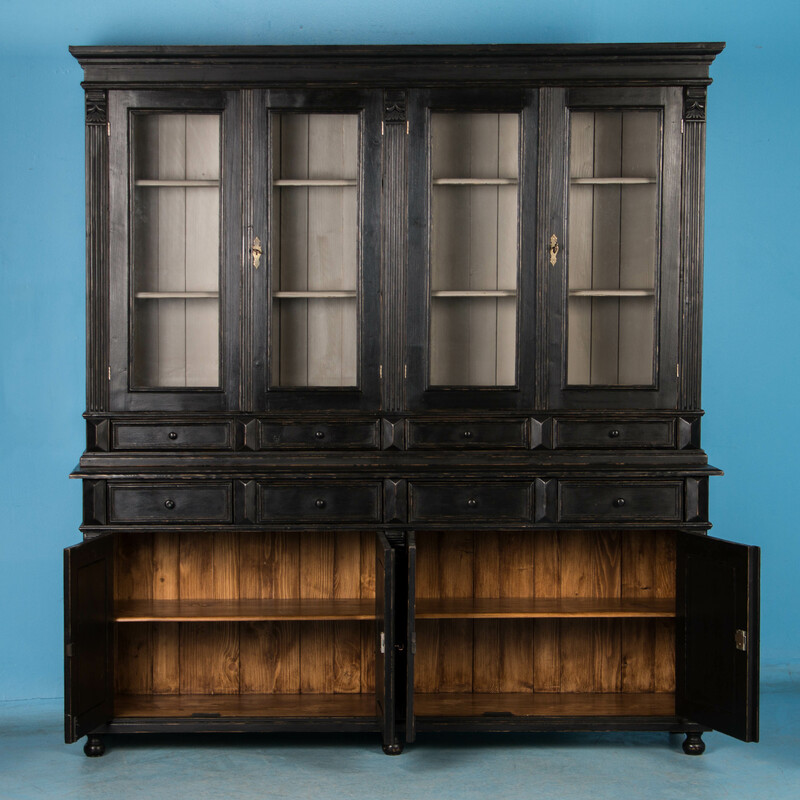 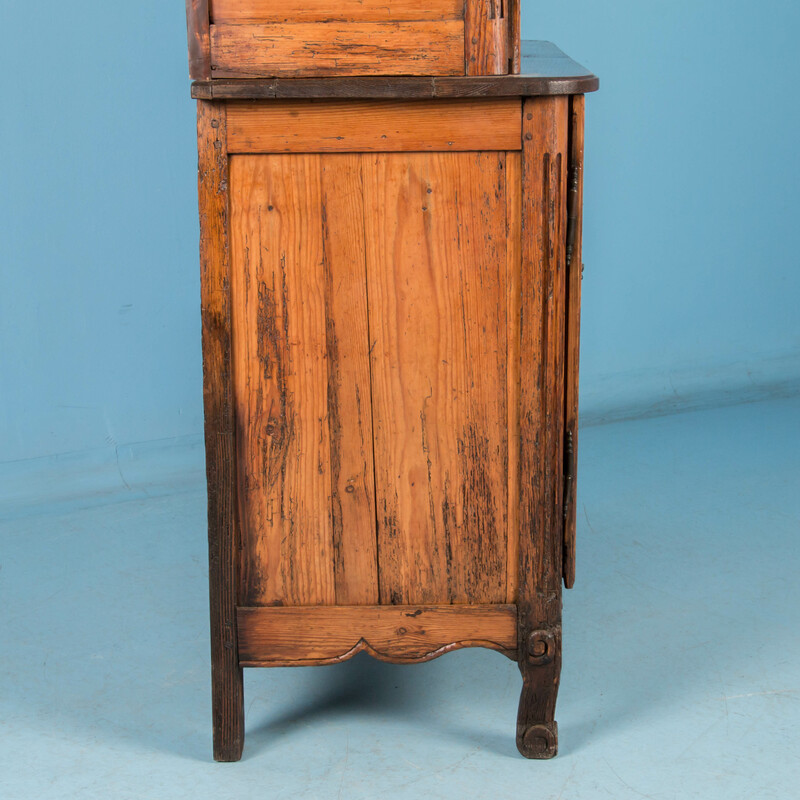 Tall pine cabinet from Hungary circa 1900, with 2 glass doors and 5 shelves. 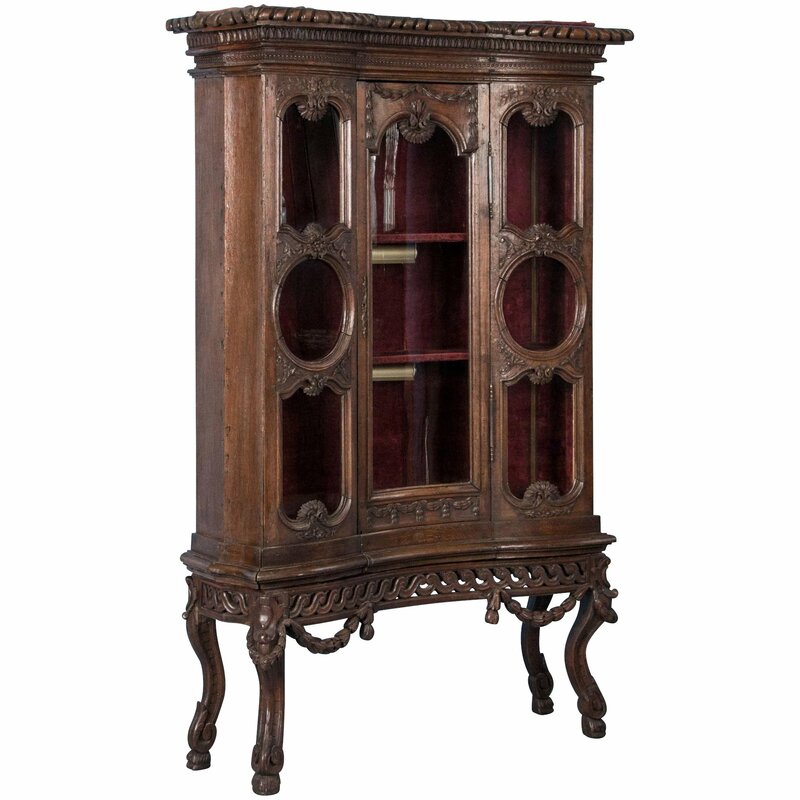 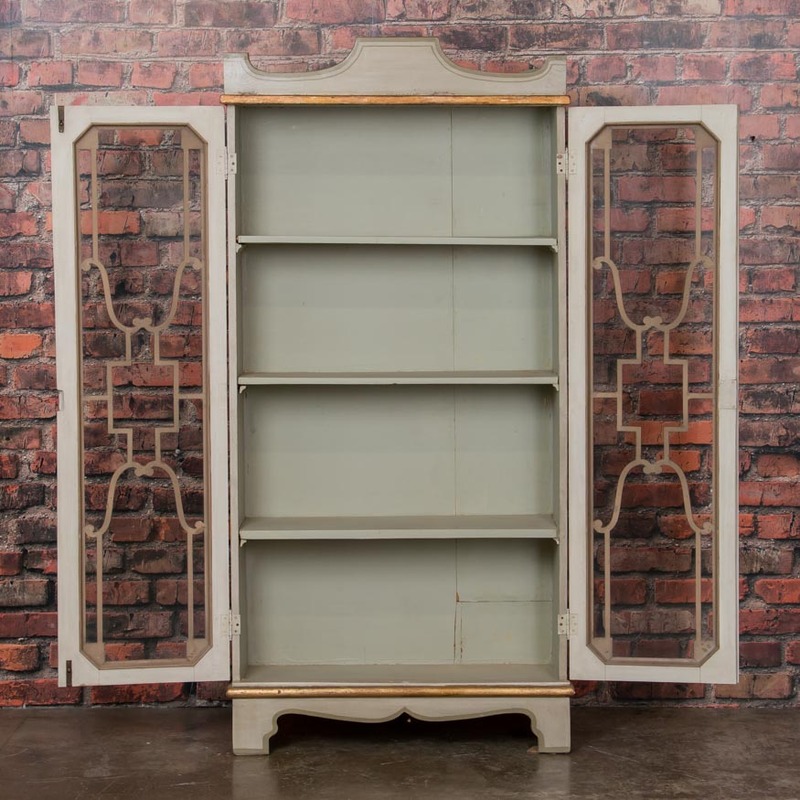 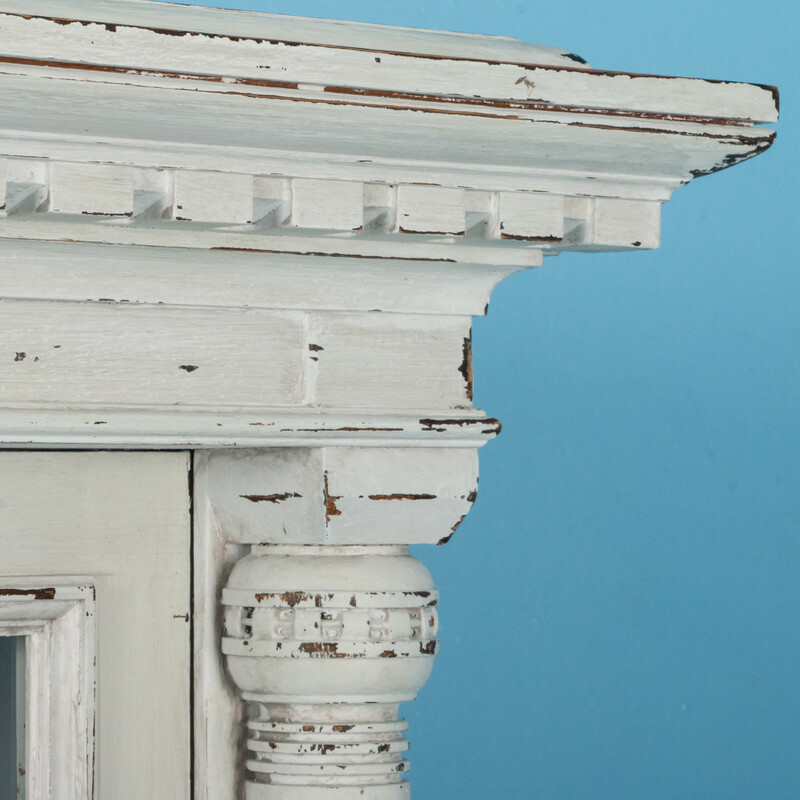 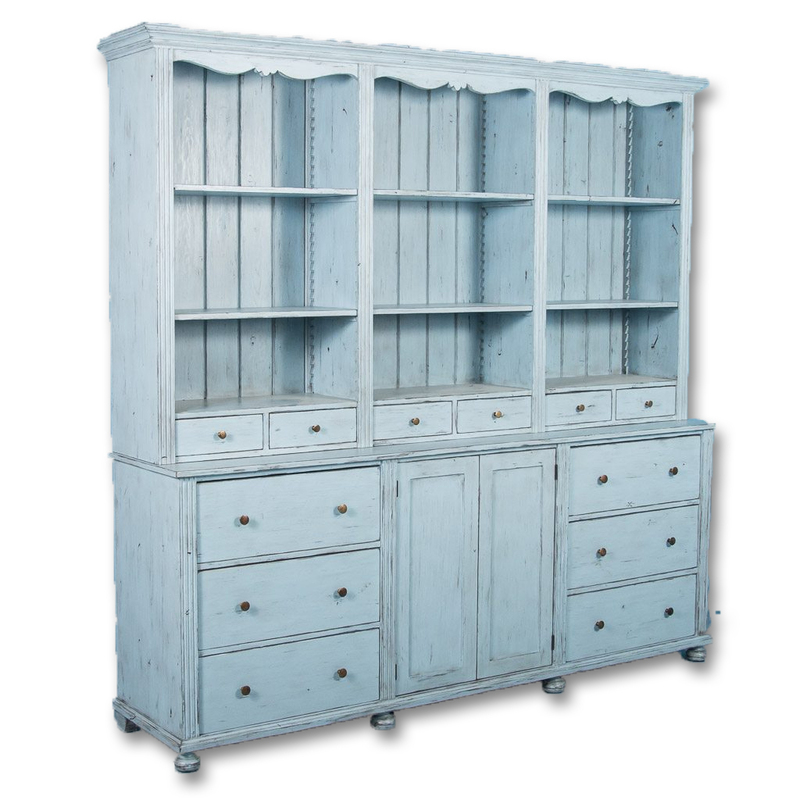 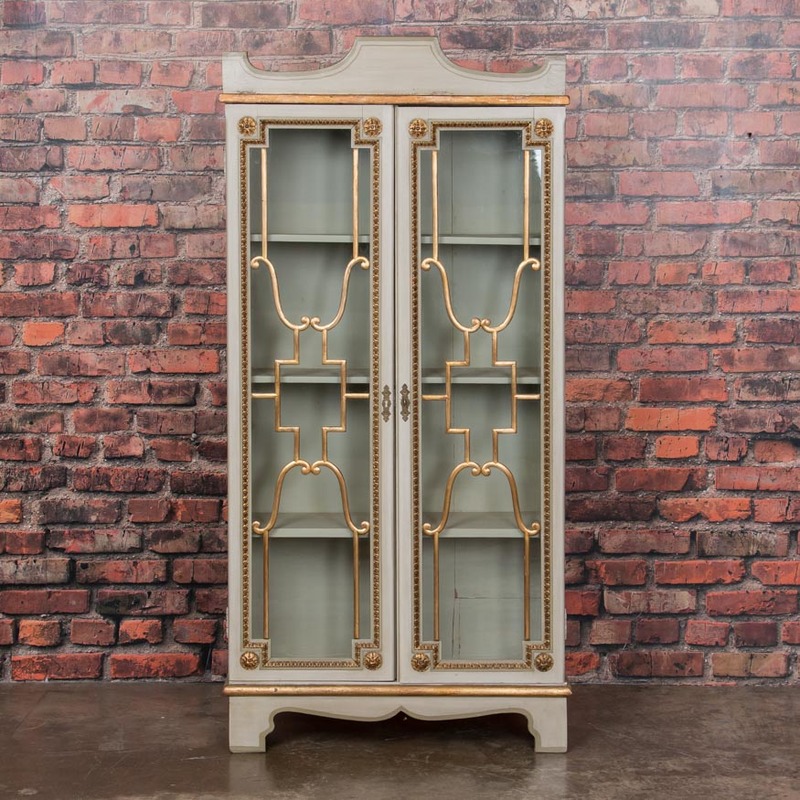 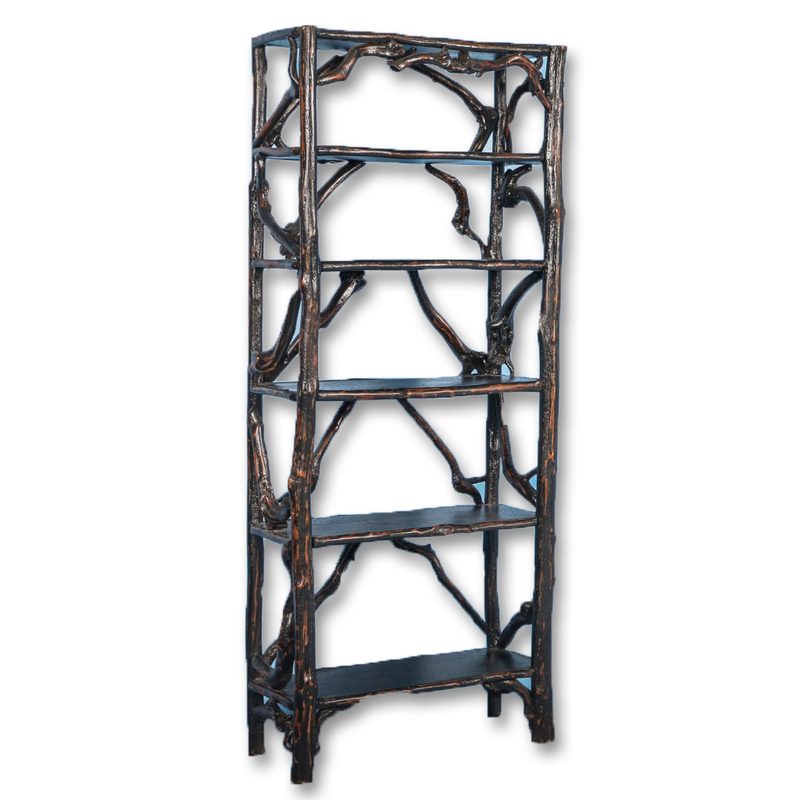 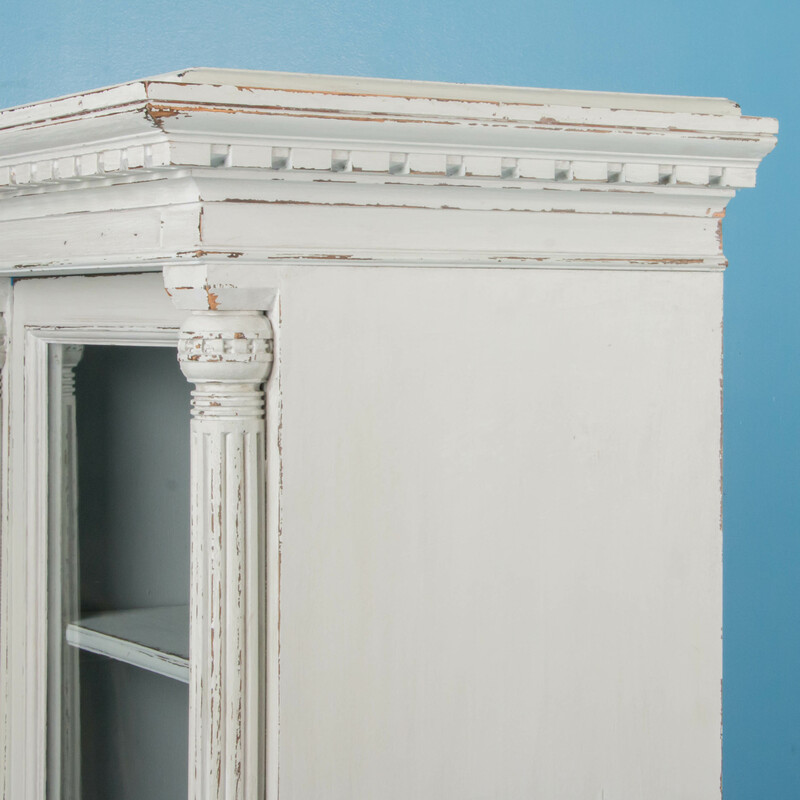 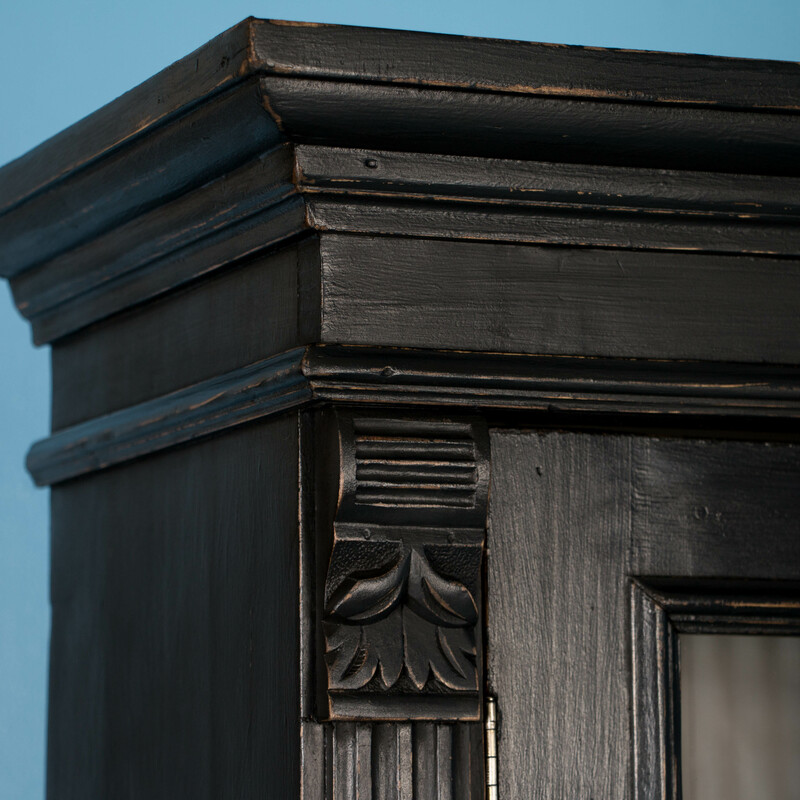 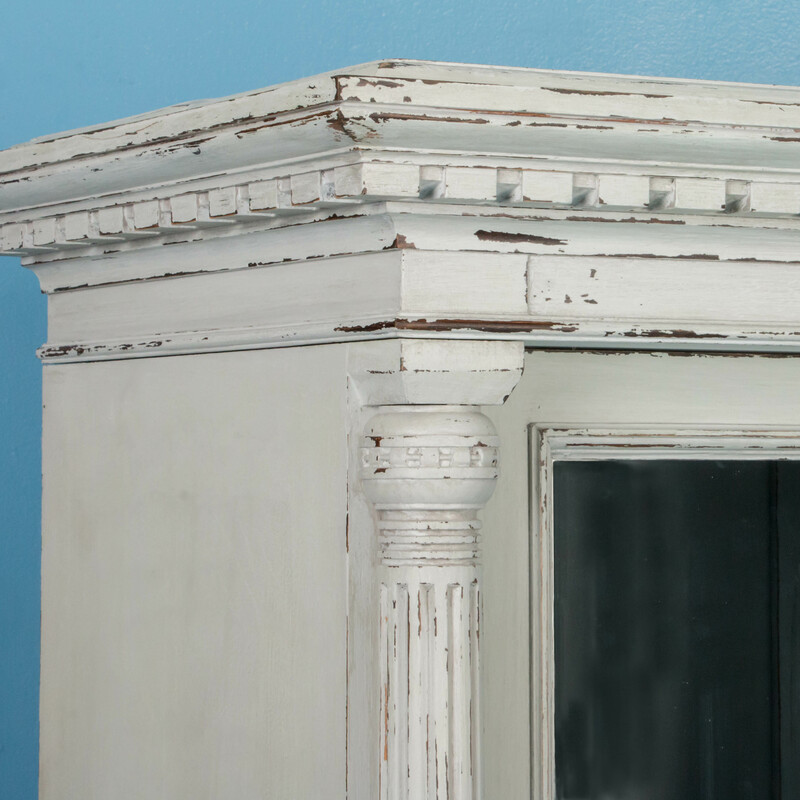 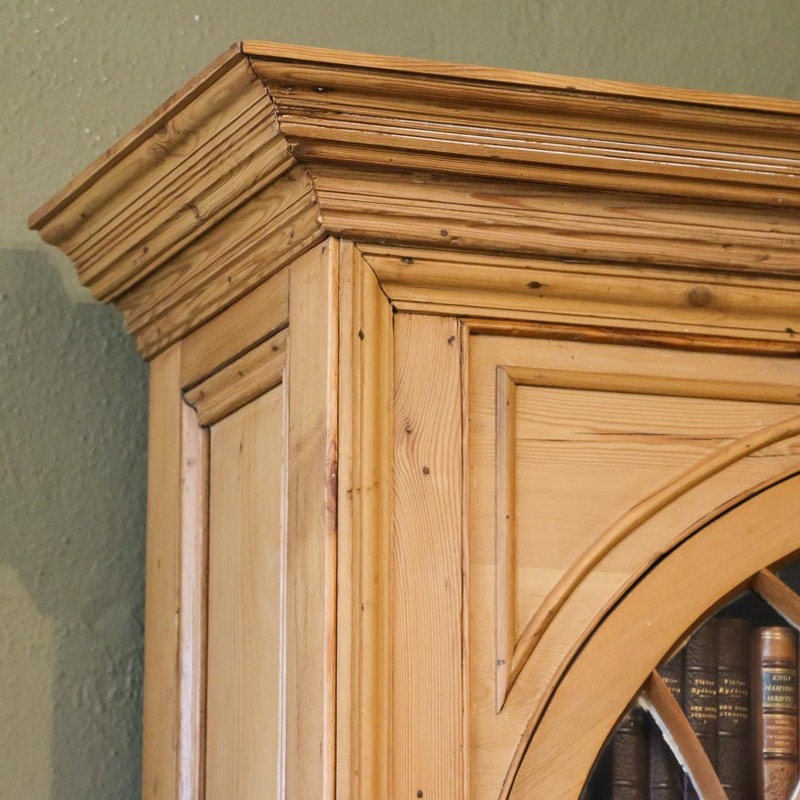 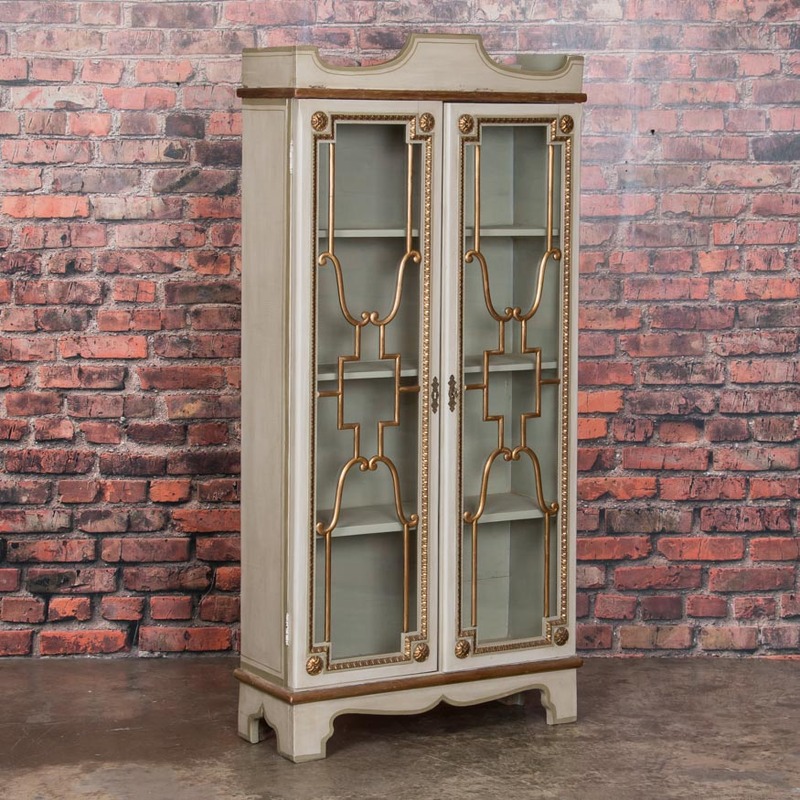 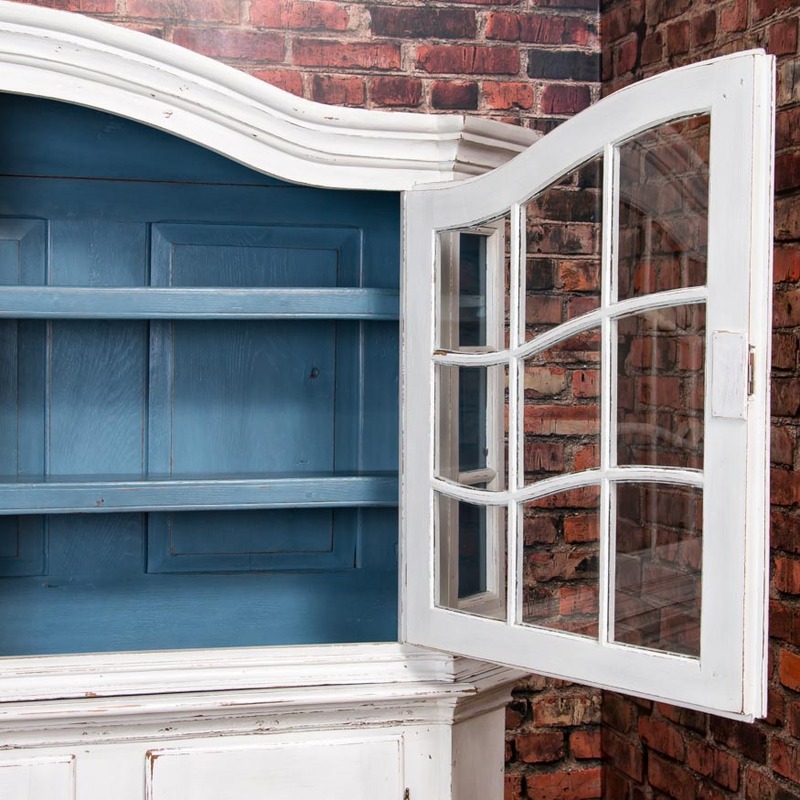 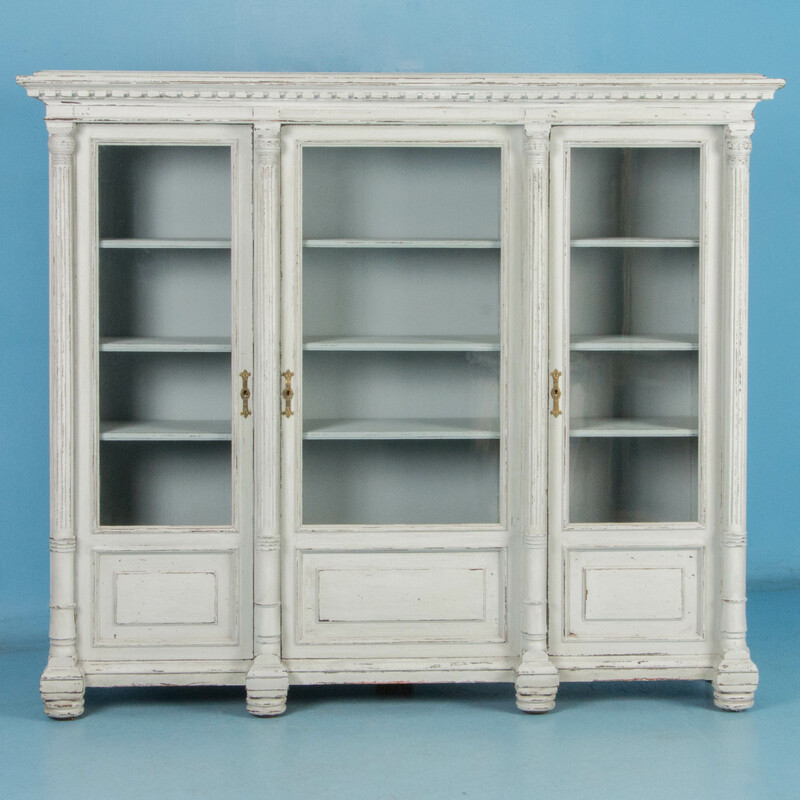 The painted wood grain finish is original - this would make a great display cabinet or bookcase. 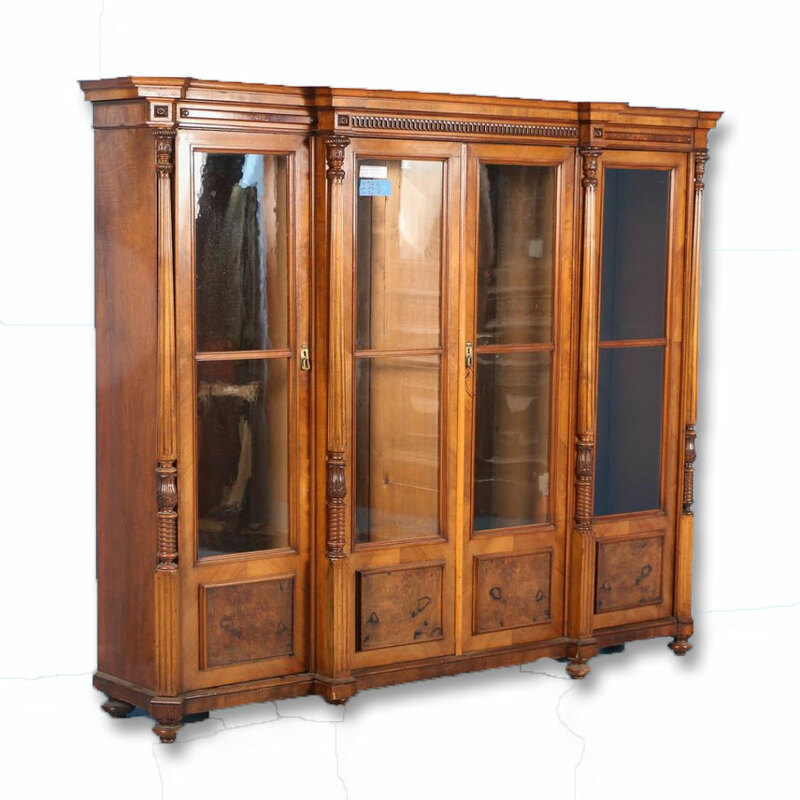 This large commercial, purpose built store cabinet was made in two sections. 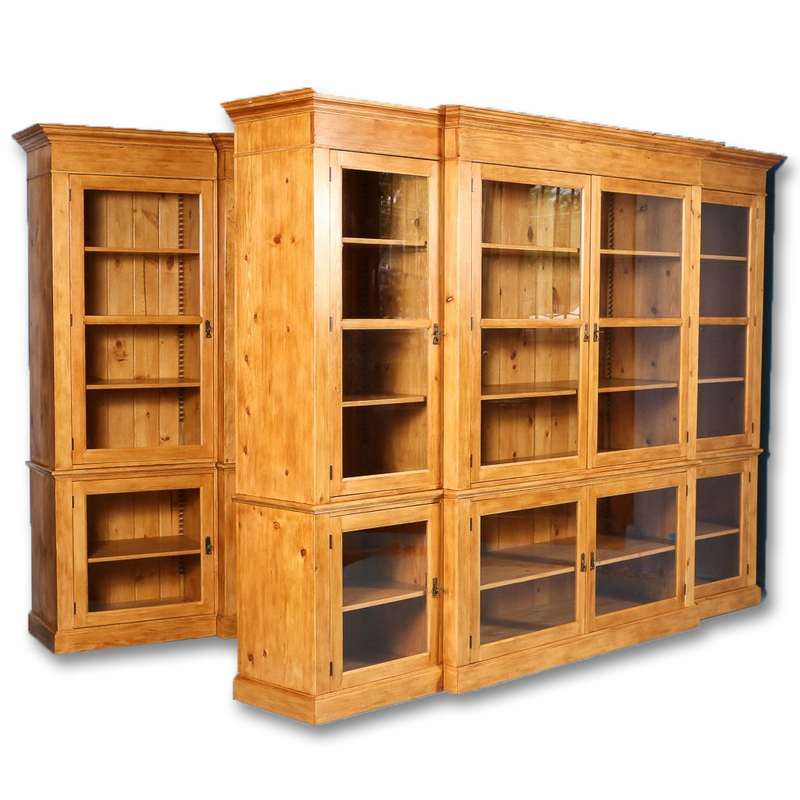 The upper section has four sliding glass doors, and the bottom features ten rows of four drawers that graduate in size. 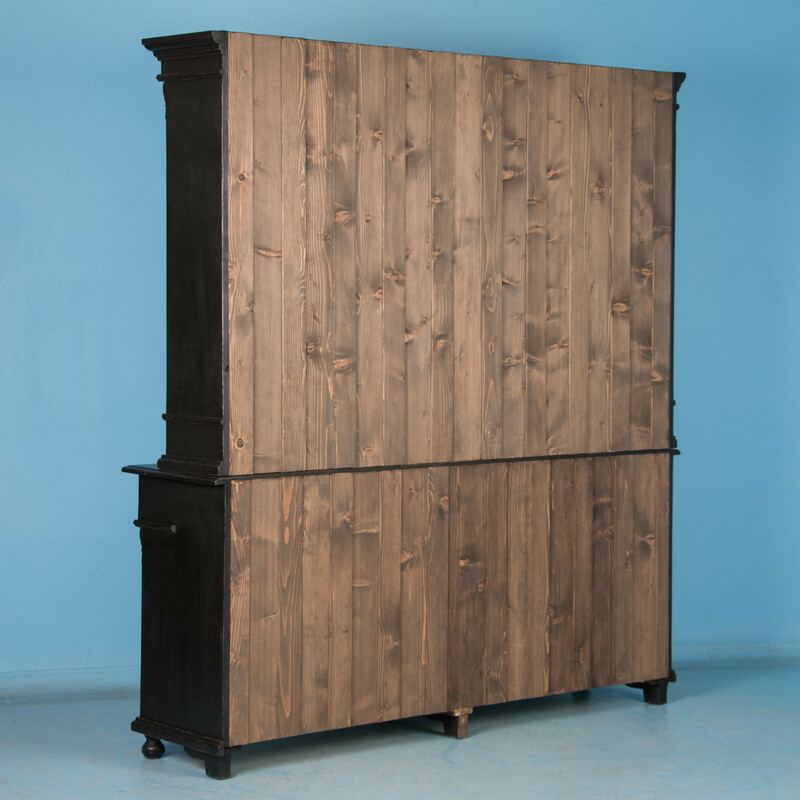 Purpose built as a behind the counter display and storage for a Danish grocer, the cabinet is one large cabinet with open shelves above and multiple drawers in a varity of sizes below. 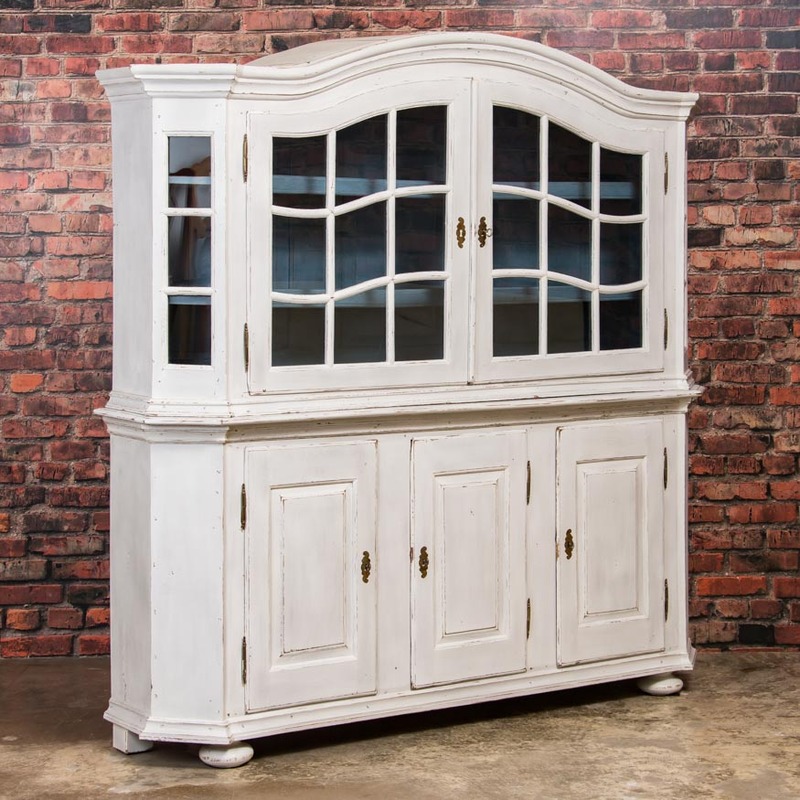 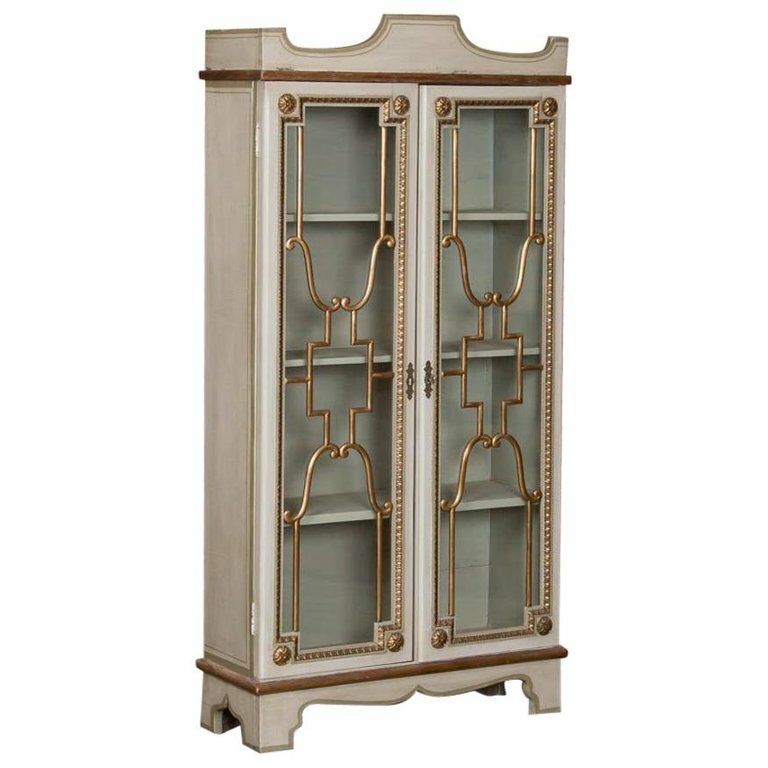 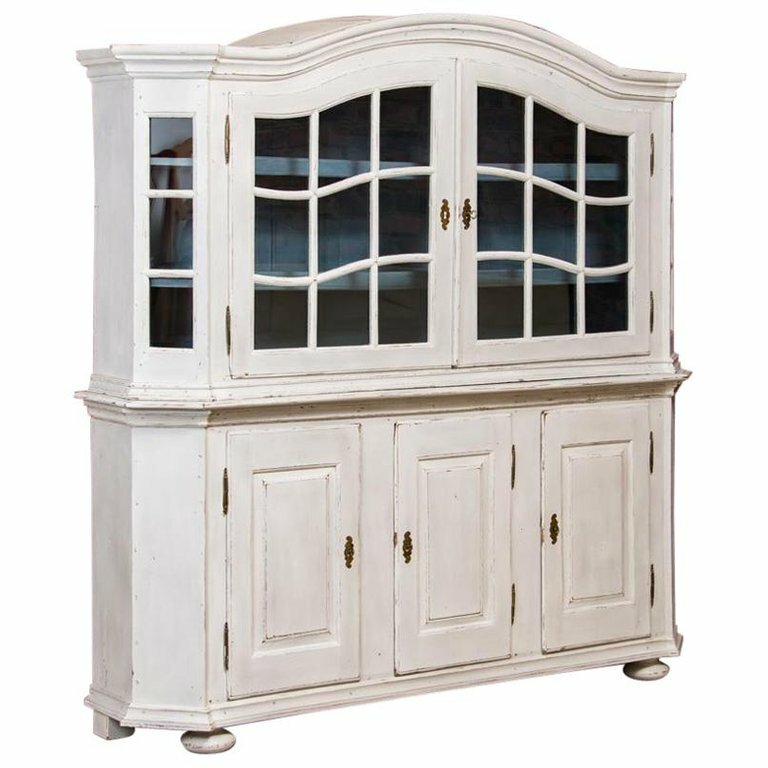 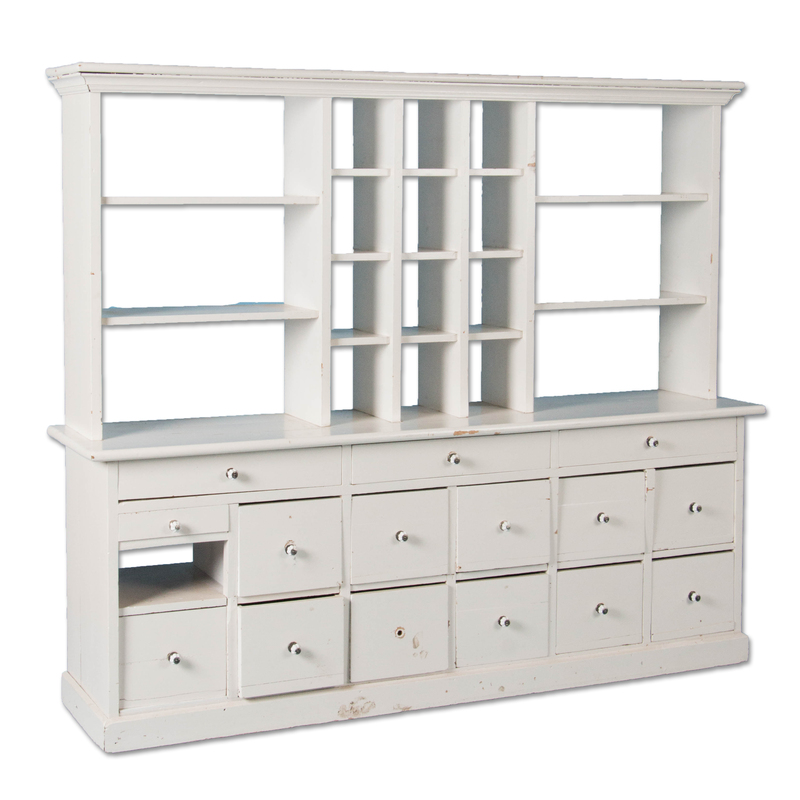 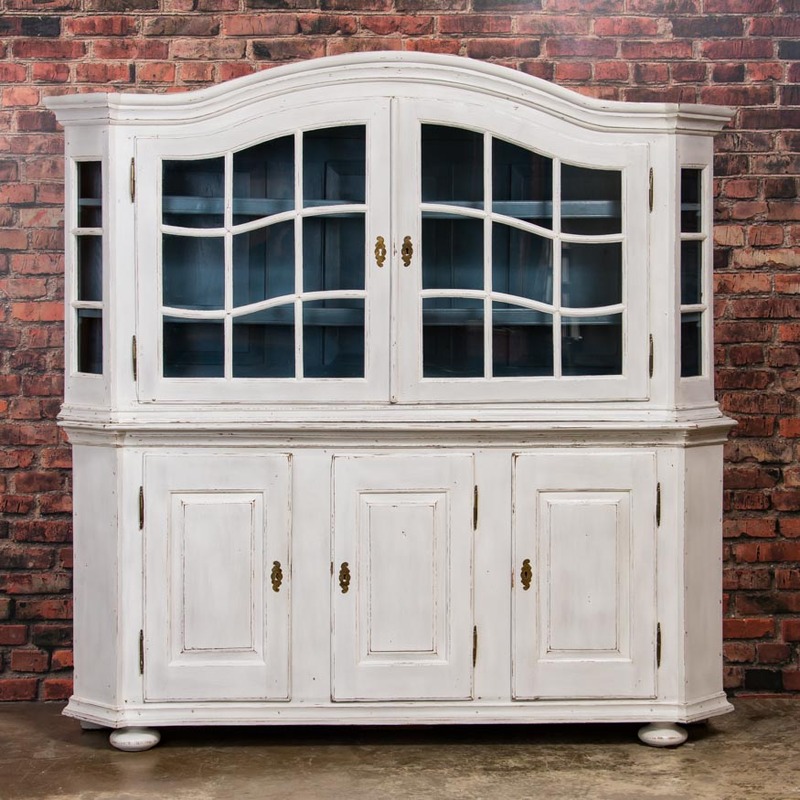 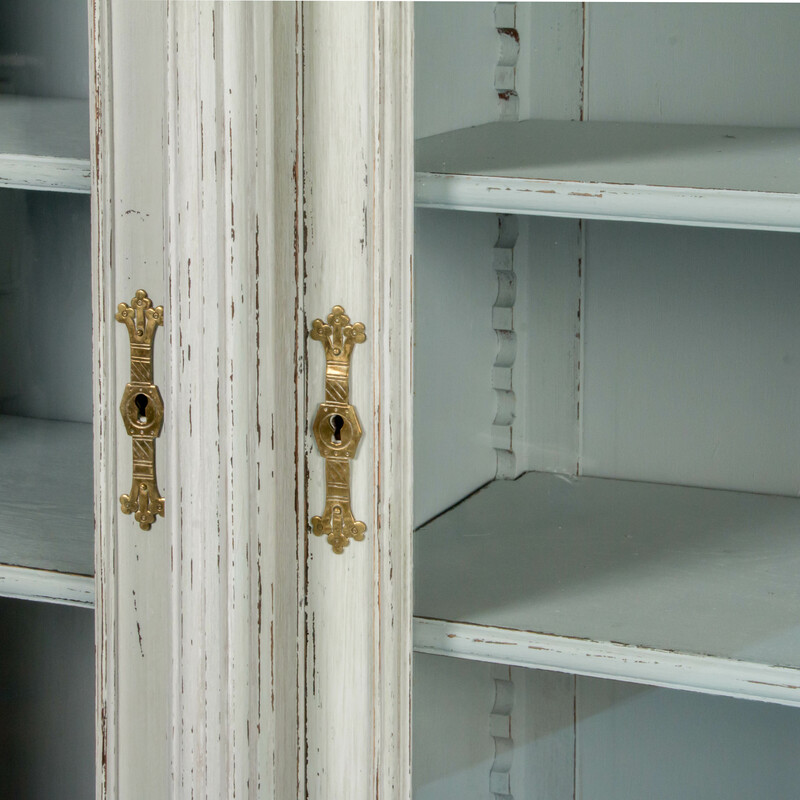 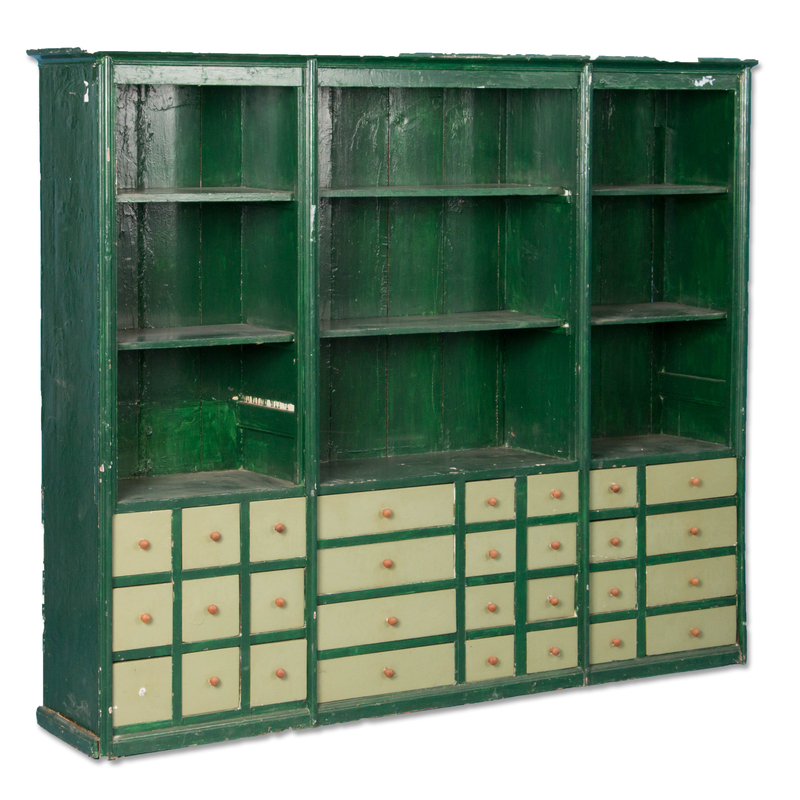 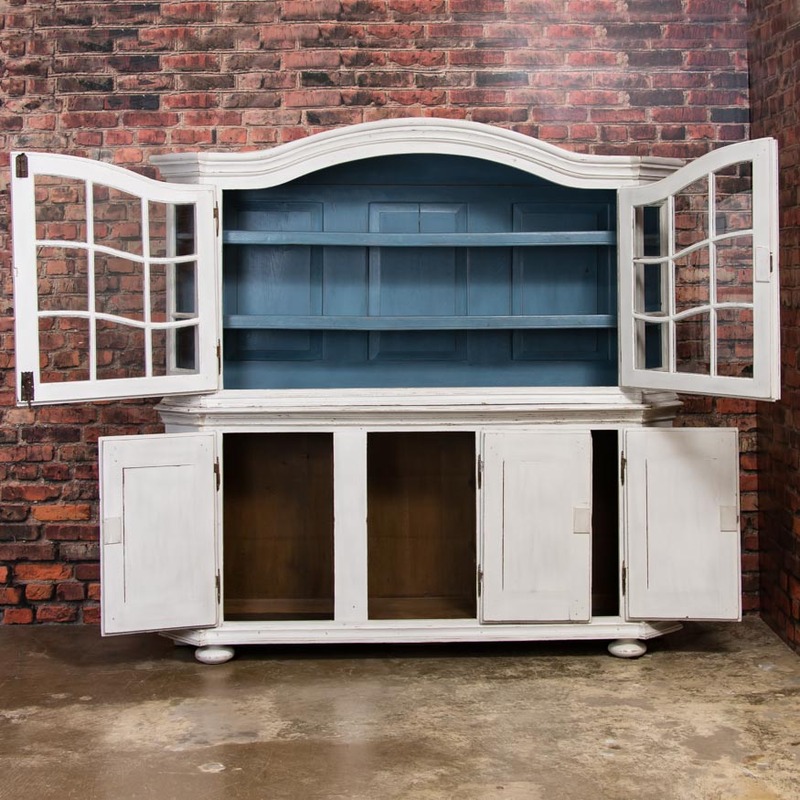 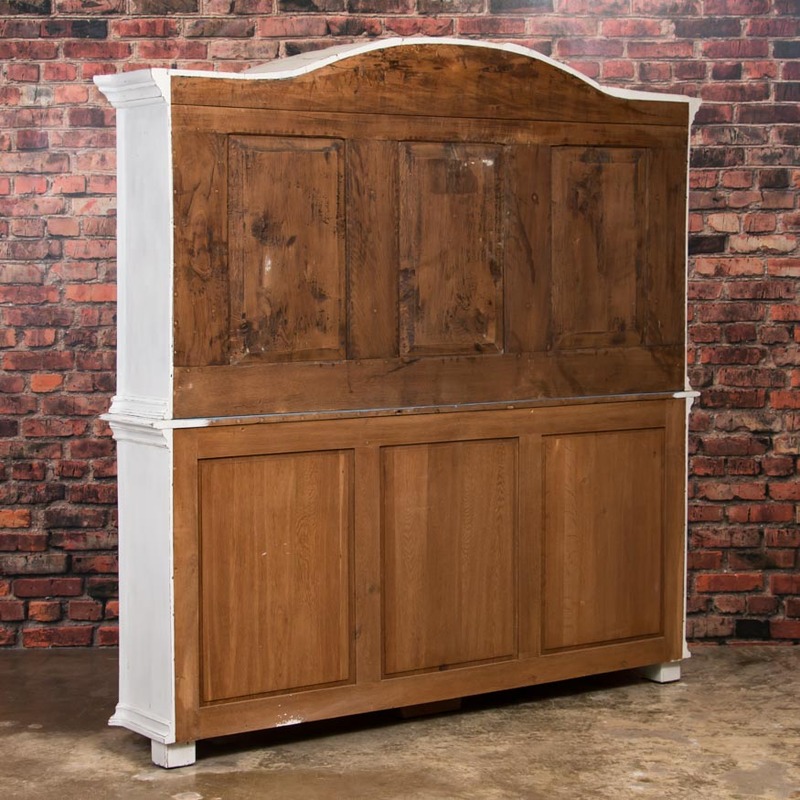 Made to display and store dry goods behind a store counter, this one piece cabinet would make a great entertainment center or bookcase. 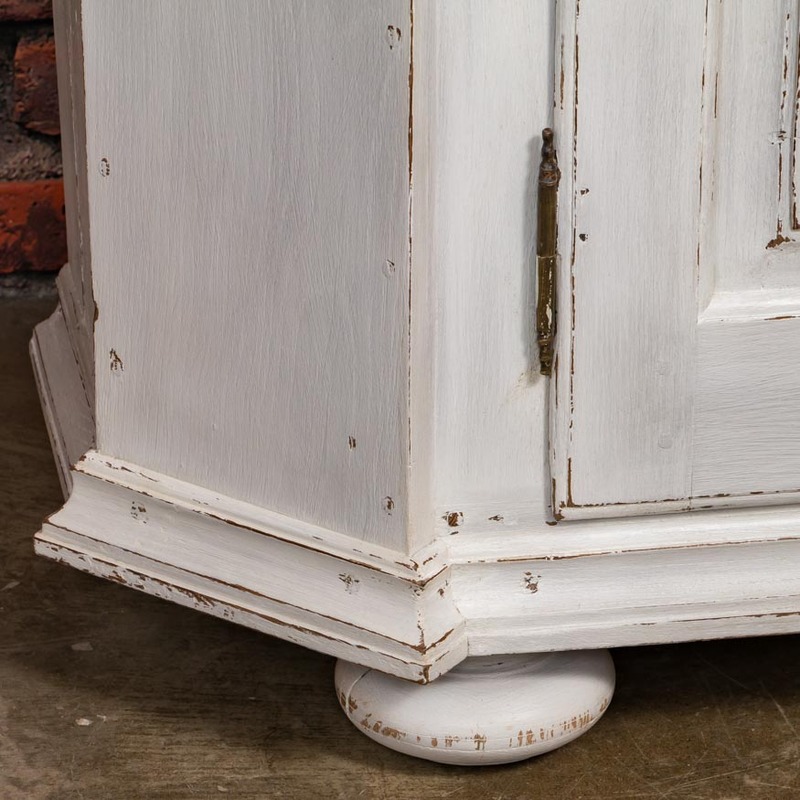 The pine has been painted white and is shown with porcelain knobs. 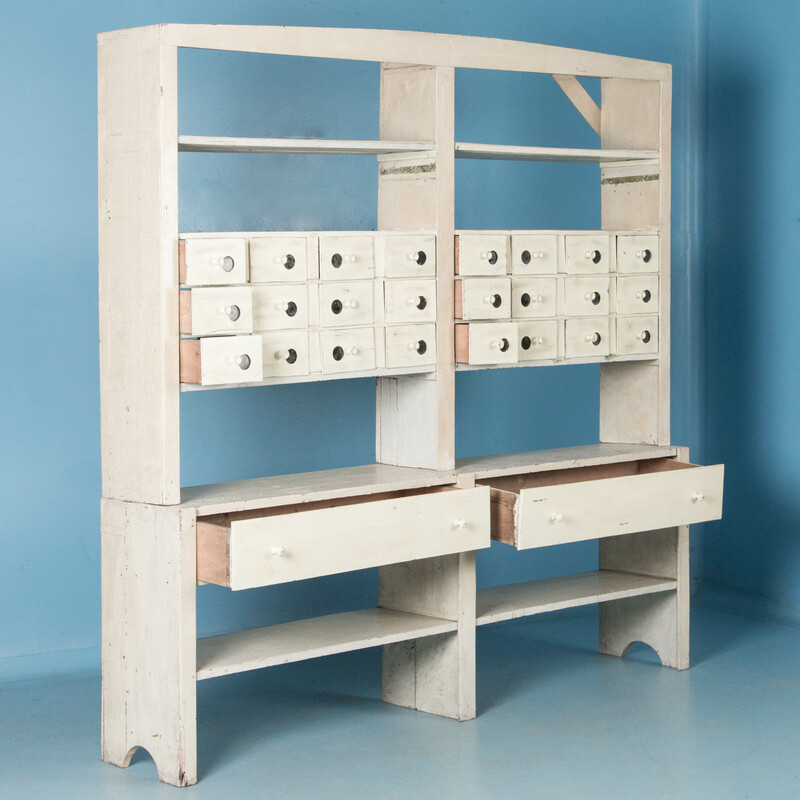 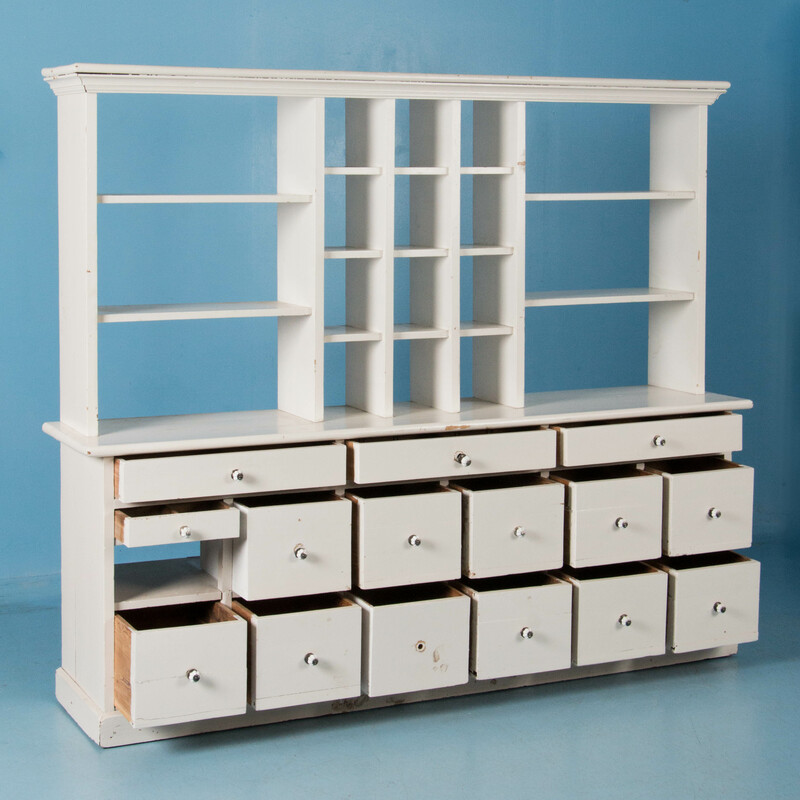 Large open shelving made in two sections with 24 small drawers and 2 full size drawers. 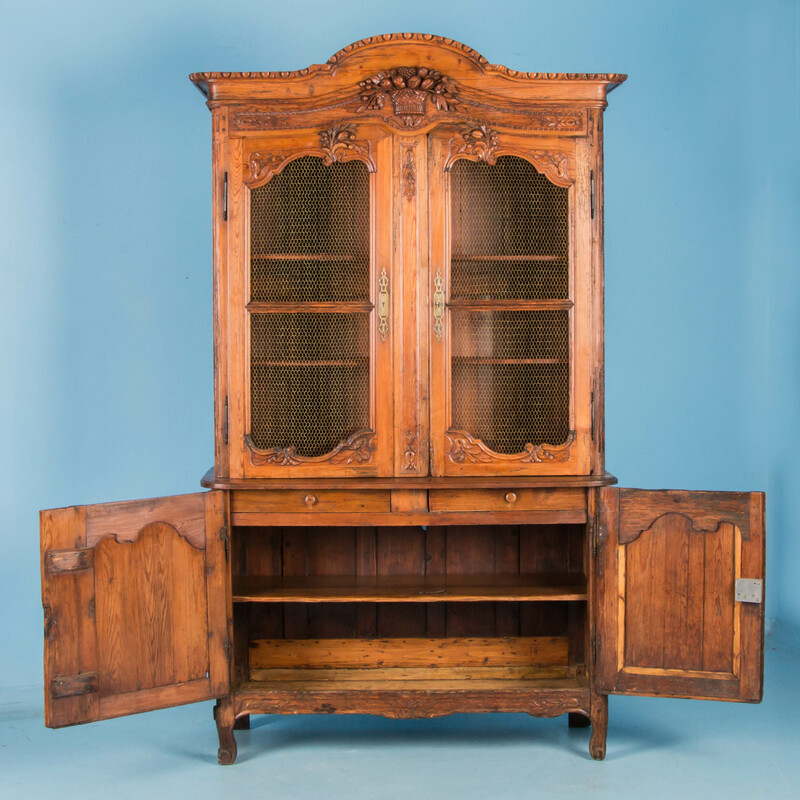 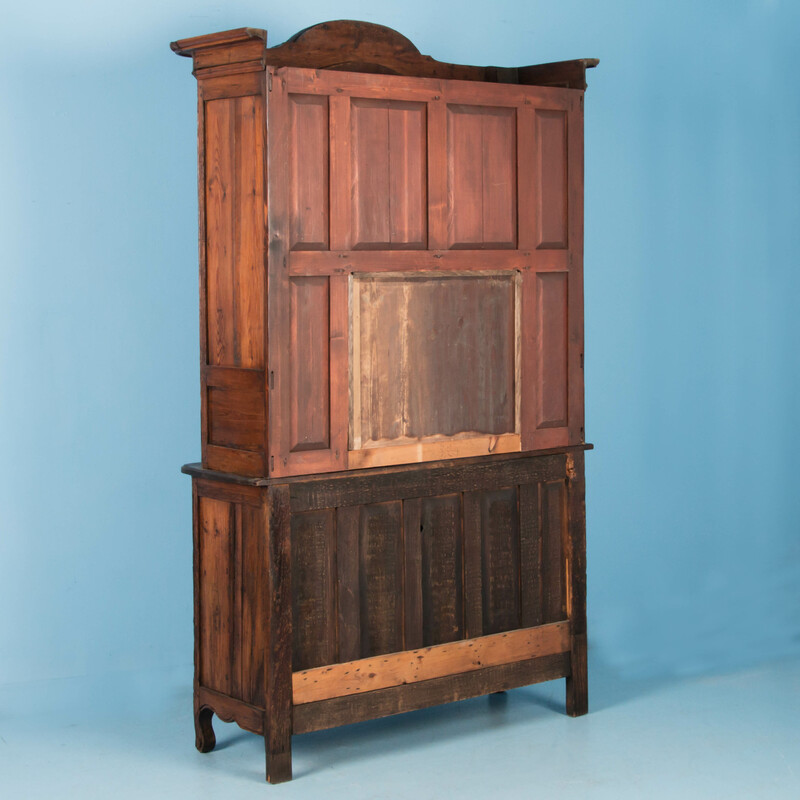 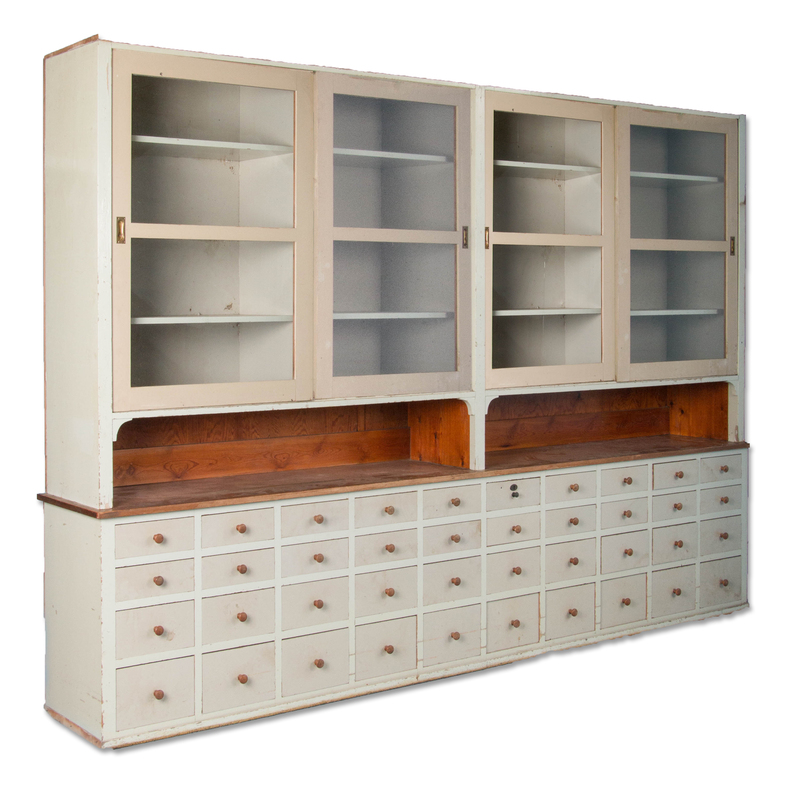 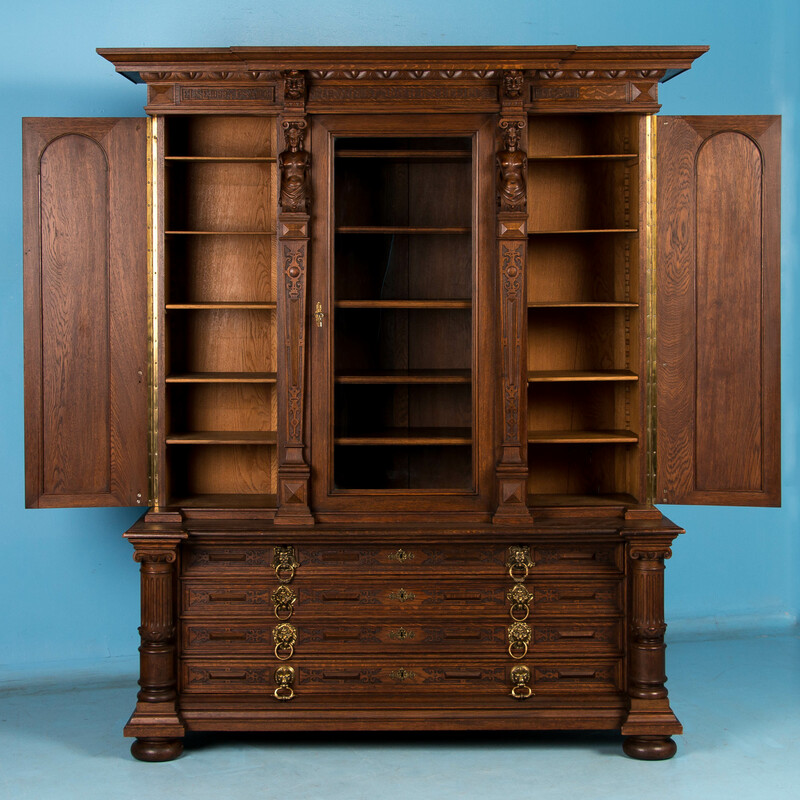 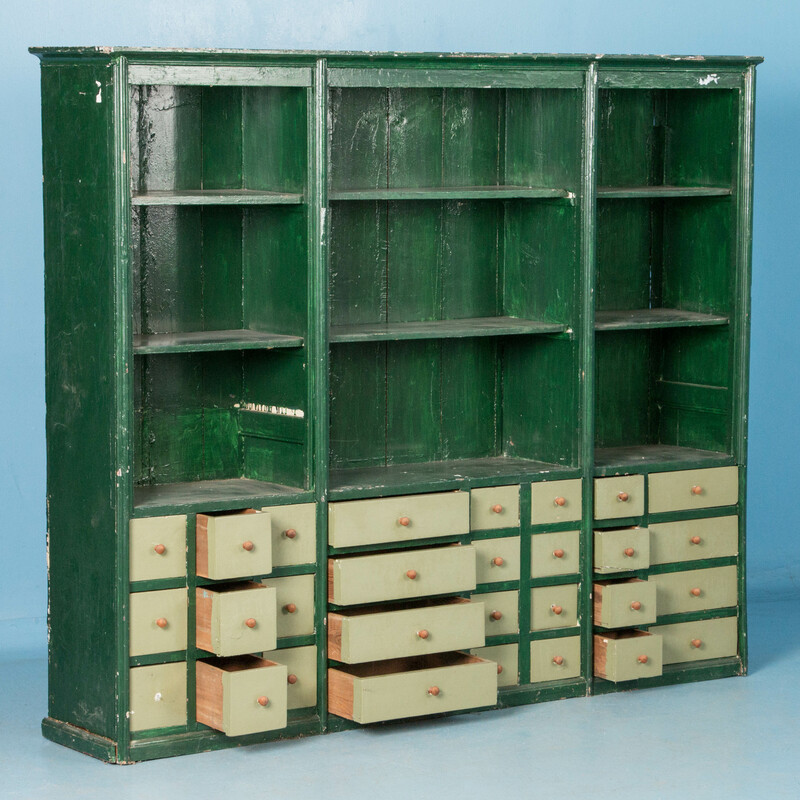 Open bookcase from Denmark circa 1890, with adjustable shelves and cupboard space below, featuring barley twist columns. 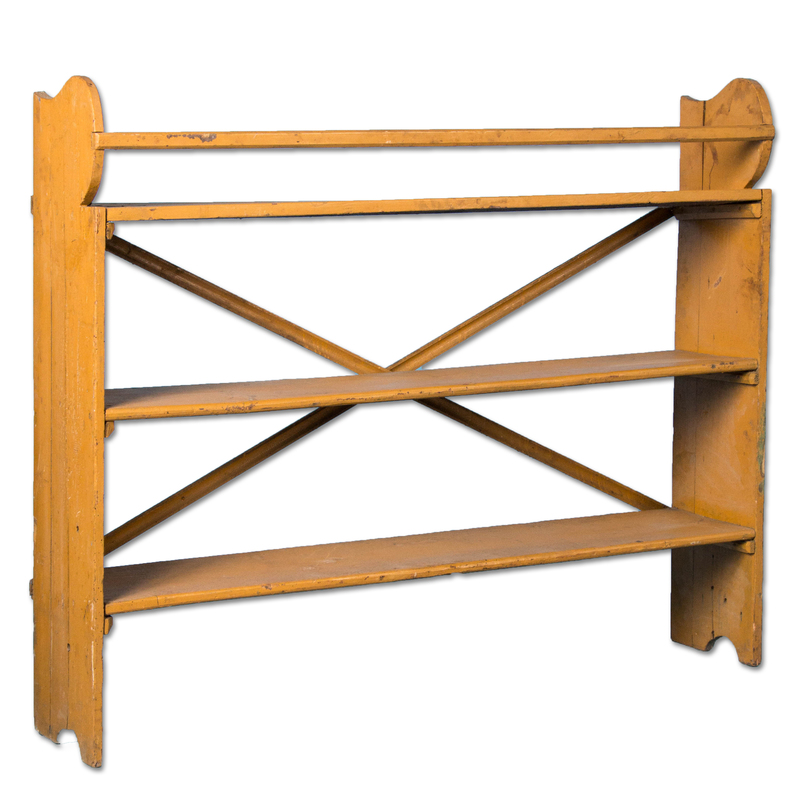 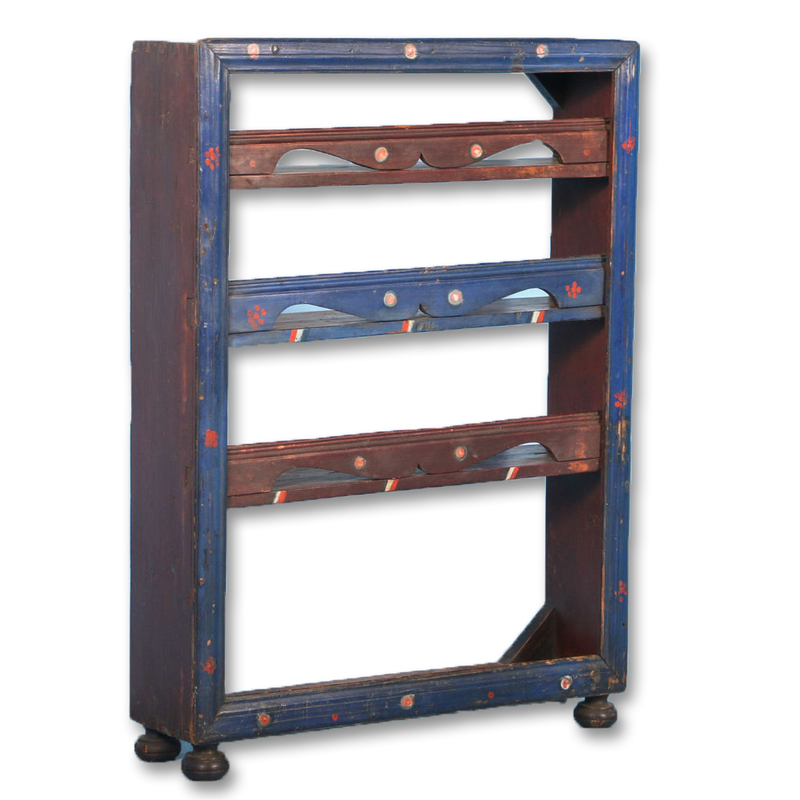 The traditional folk art is all original on this painted pine plate rack from Romania. 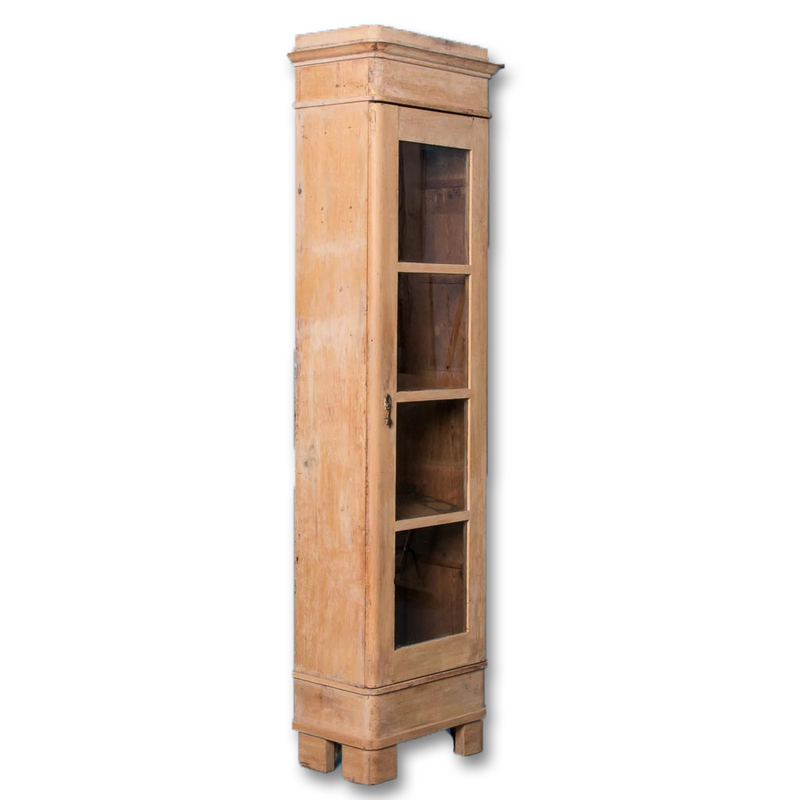 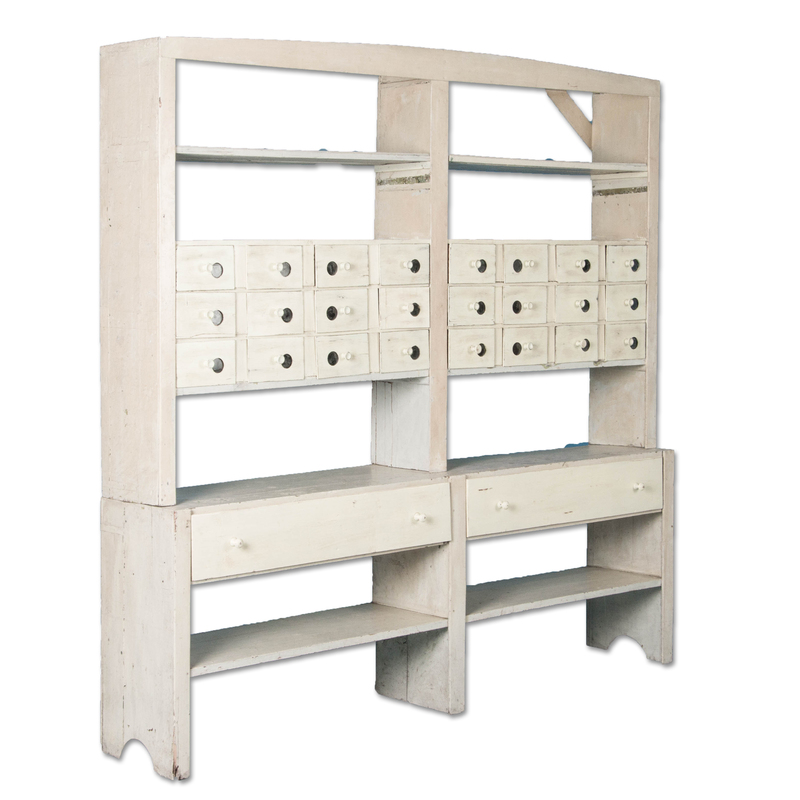 With its simple design, it will add a touch of European country charm wherever it is placed. 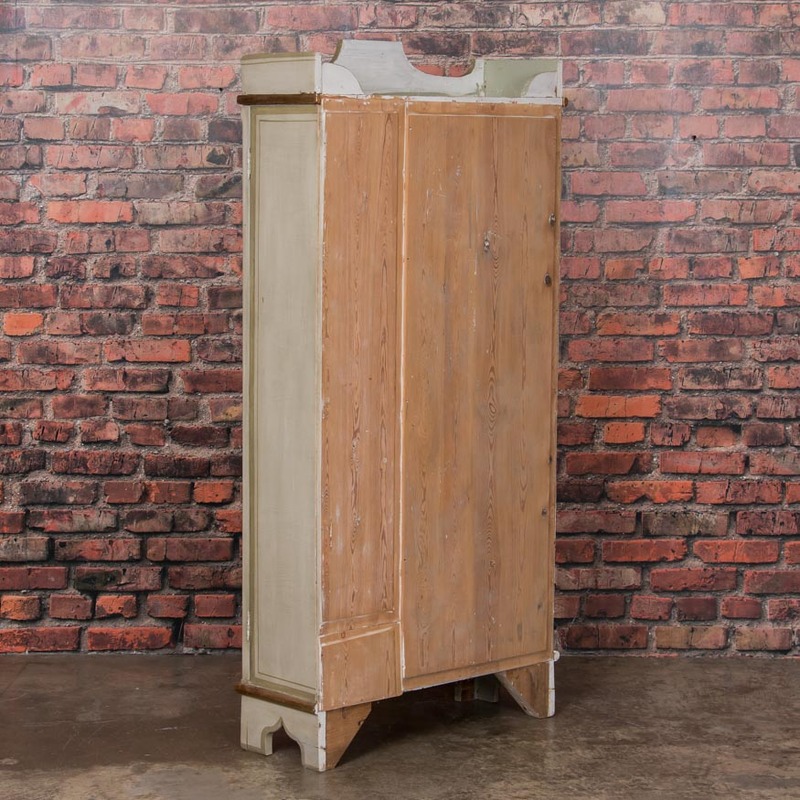 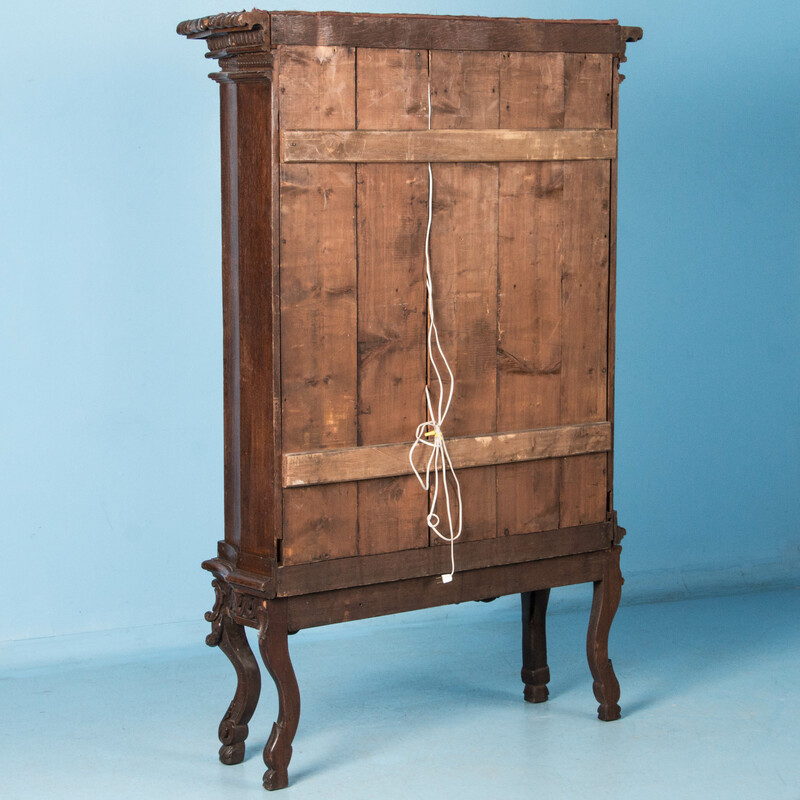 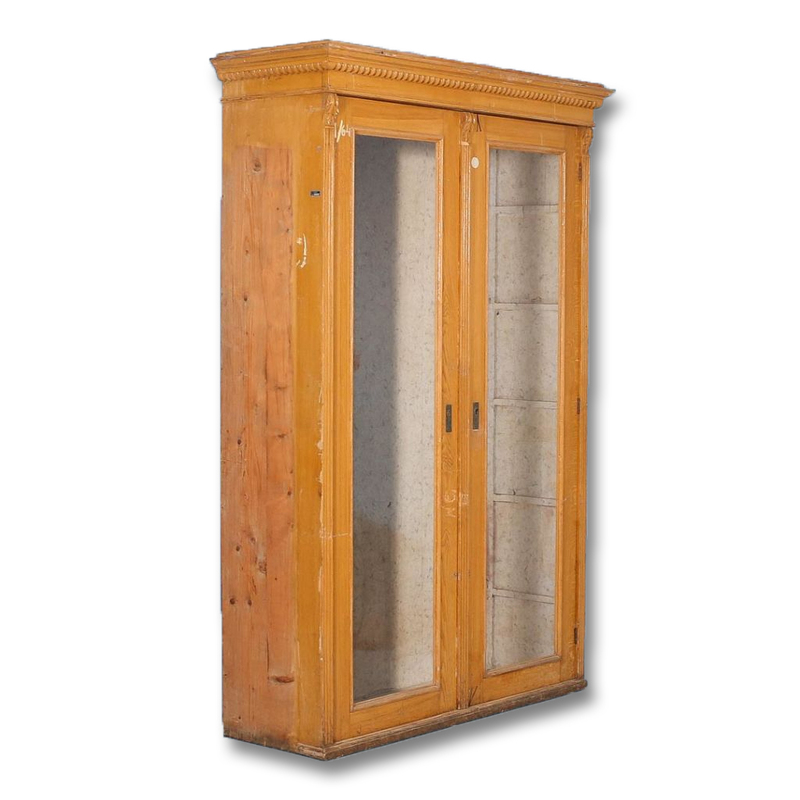 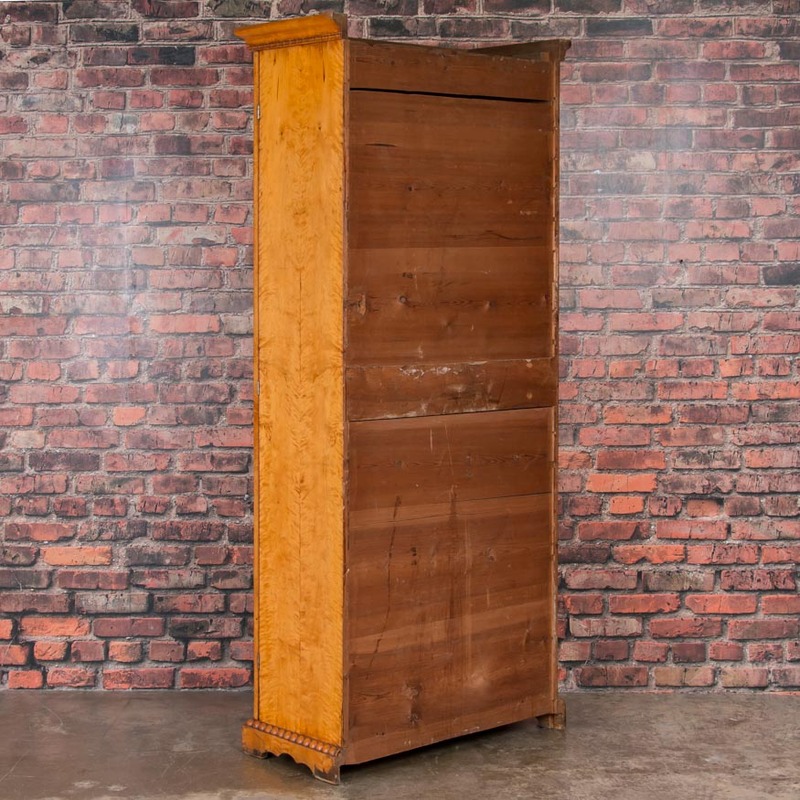 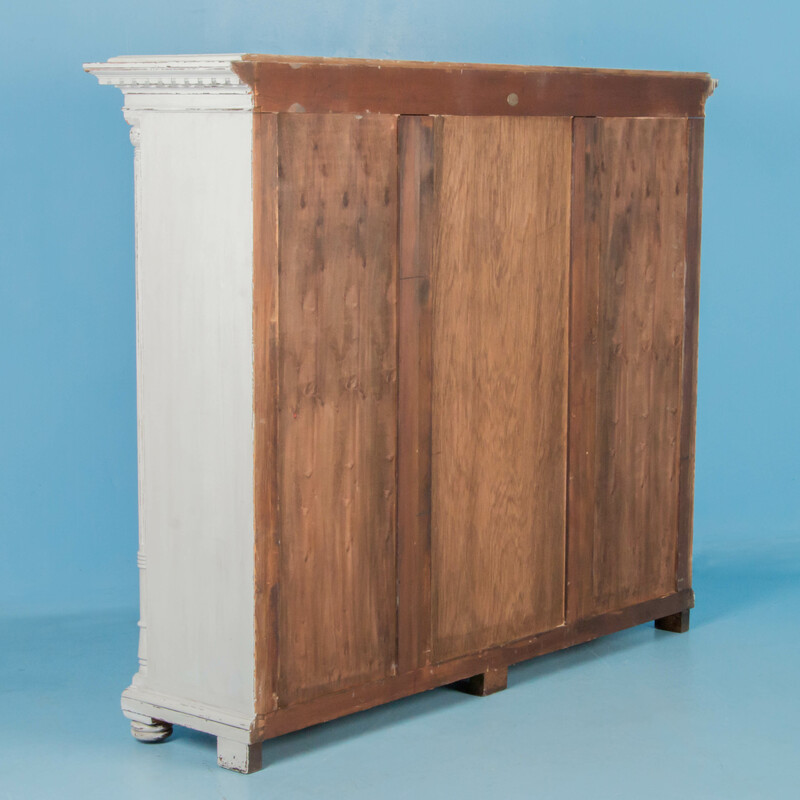 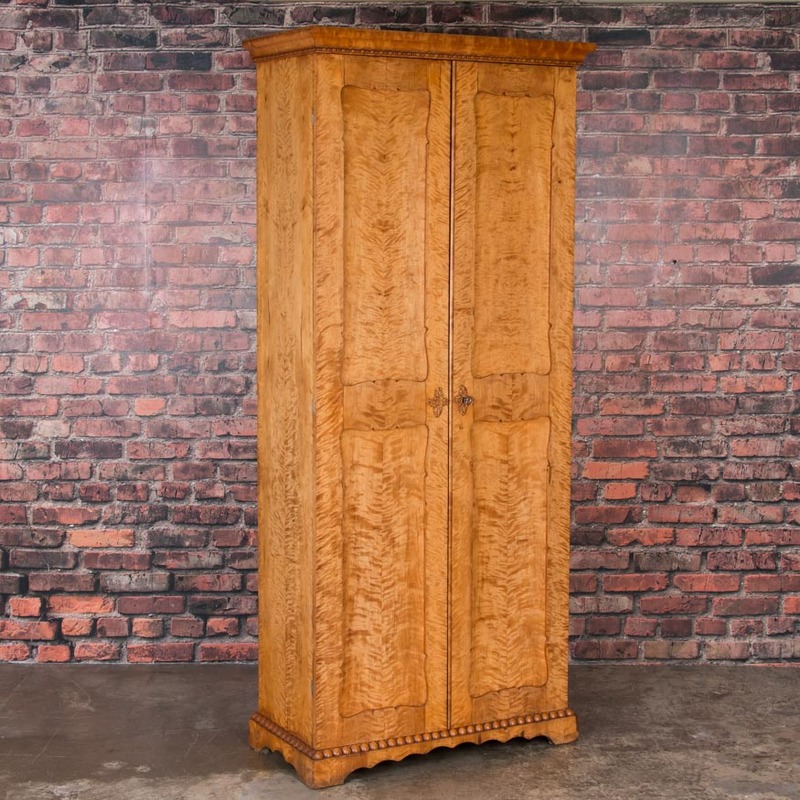 Tall and narrow antique pine cabinet from Denmark, circa 1880, with a single door and painted yellow. 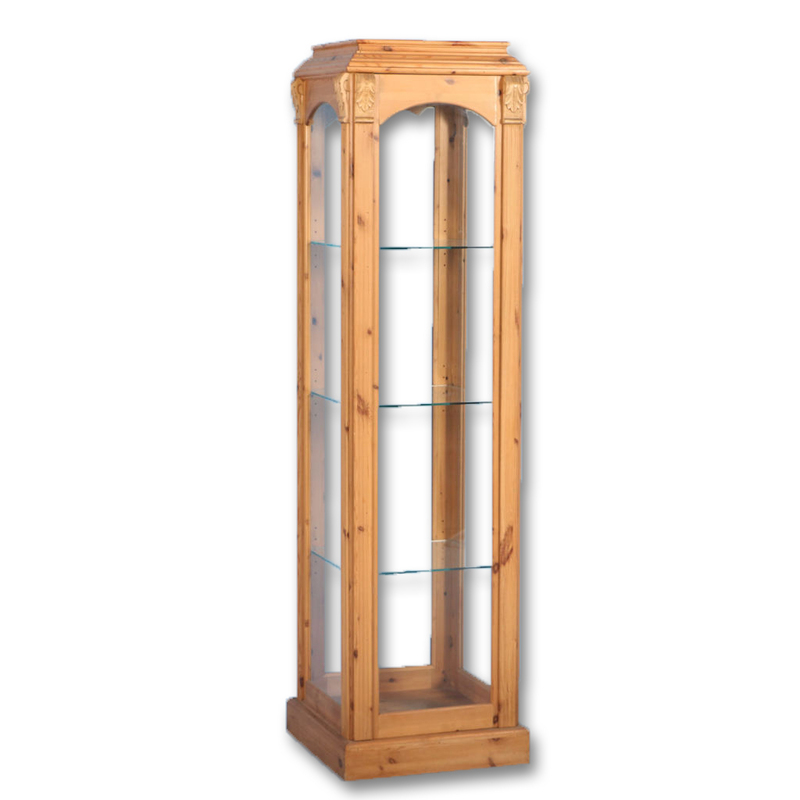 Reproduction Danish Pine Display Cabinet with glass doors, glass shelves and built in lighting.